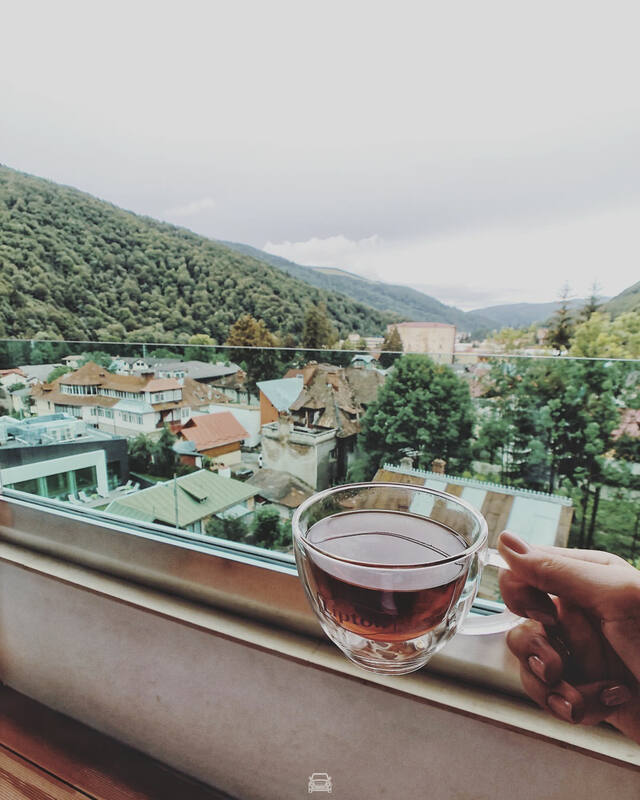 If you were to check a calendar, you would have relaxed in a hammock in the shade of a cherry tree, watching the small fruits ripening red. 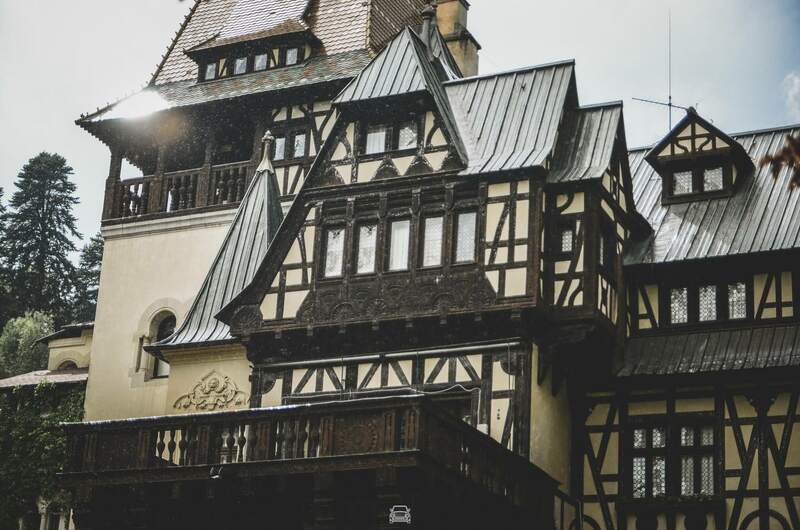 However, it looked more like a veritable late autumn day, with a cold and piffling rain and a milky mist surrounding the fir trees. 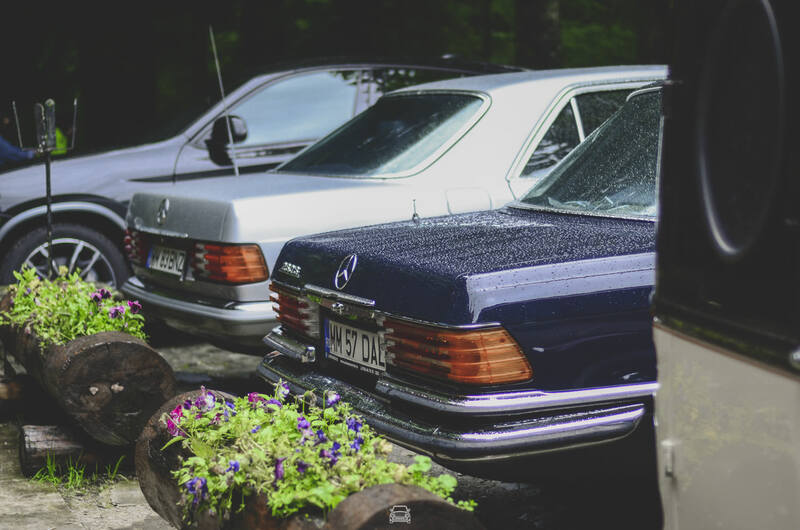 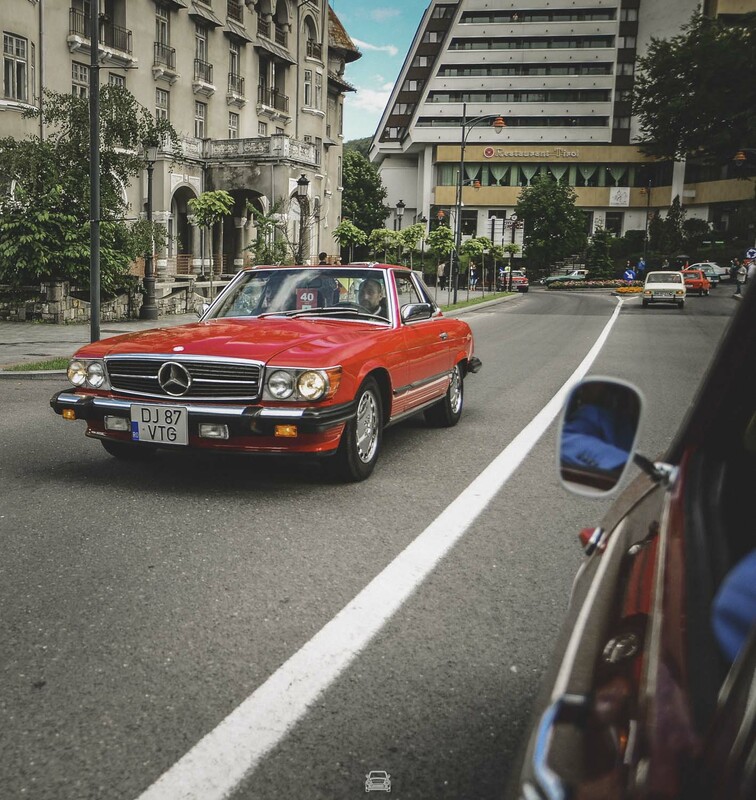 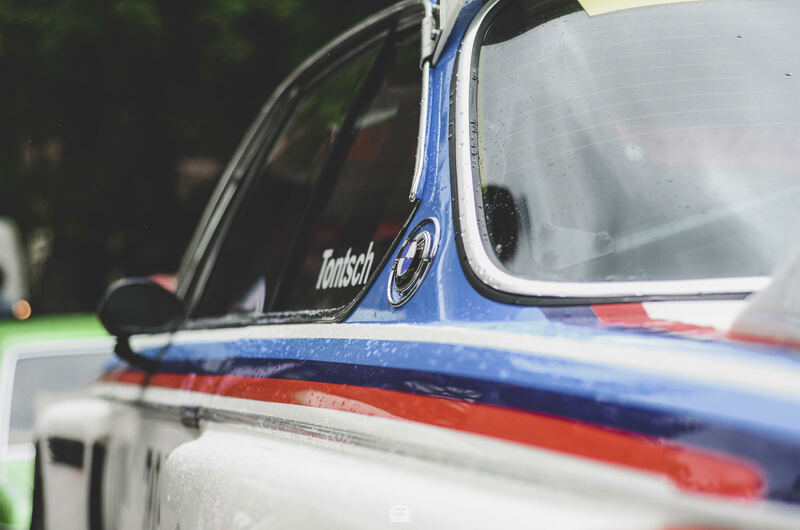 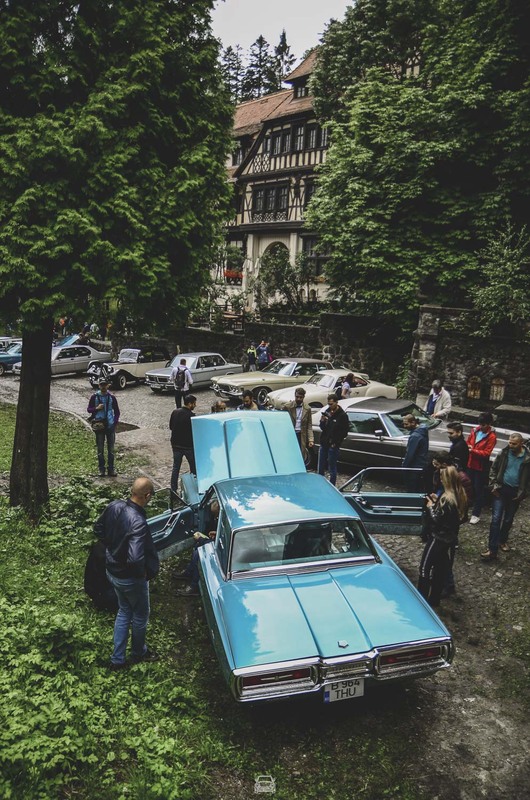 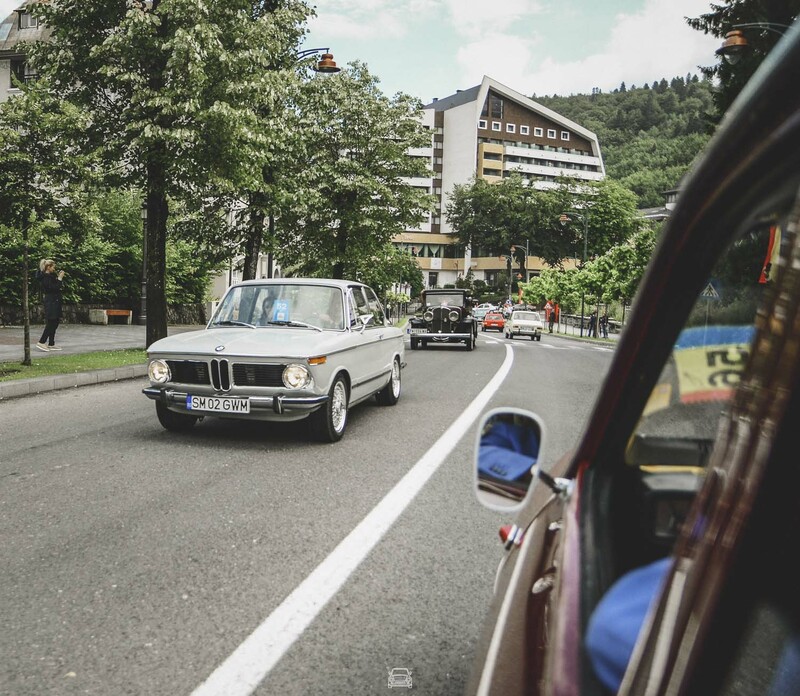 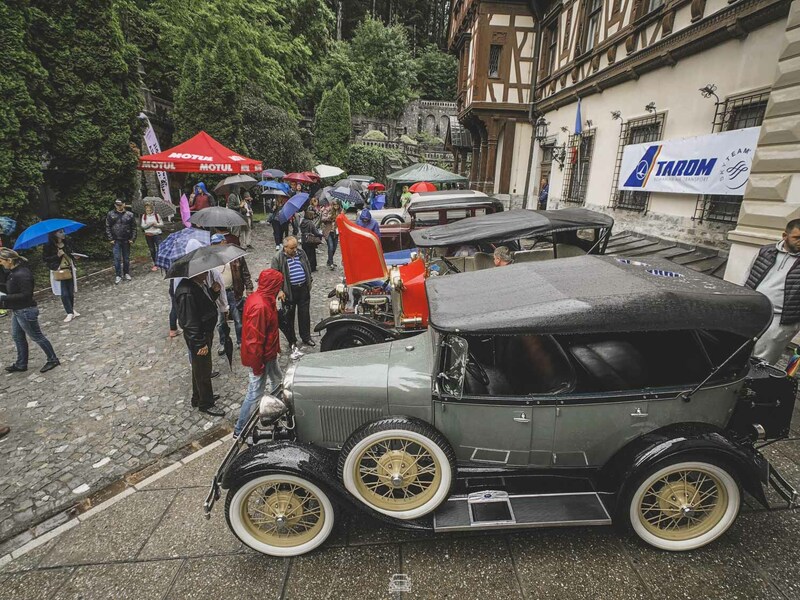 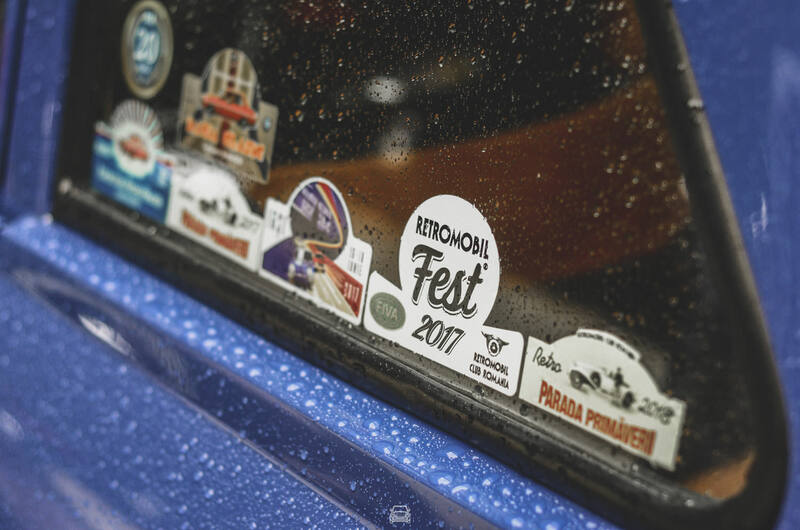 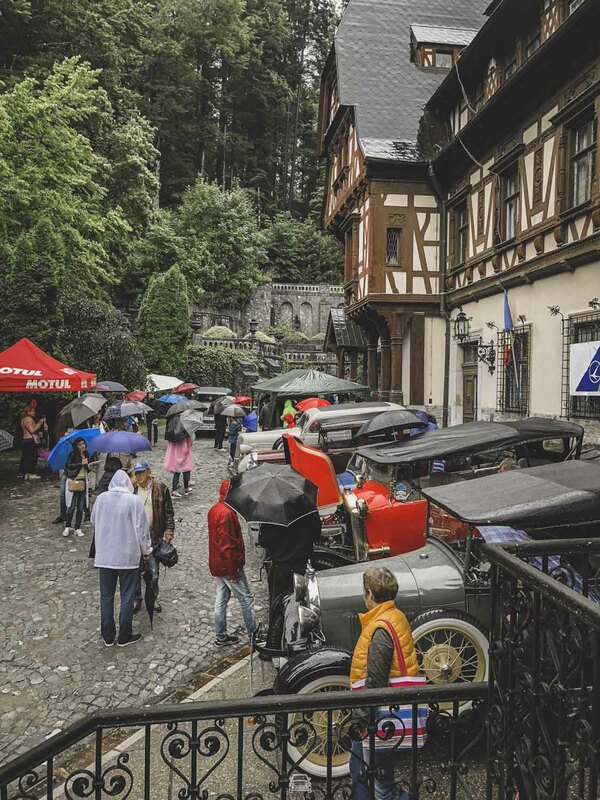 It was June 30th 2018 and people with petrol in their veins had all gathered in Sinaia. 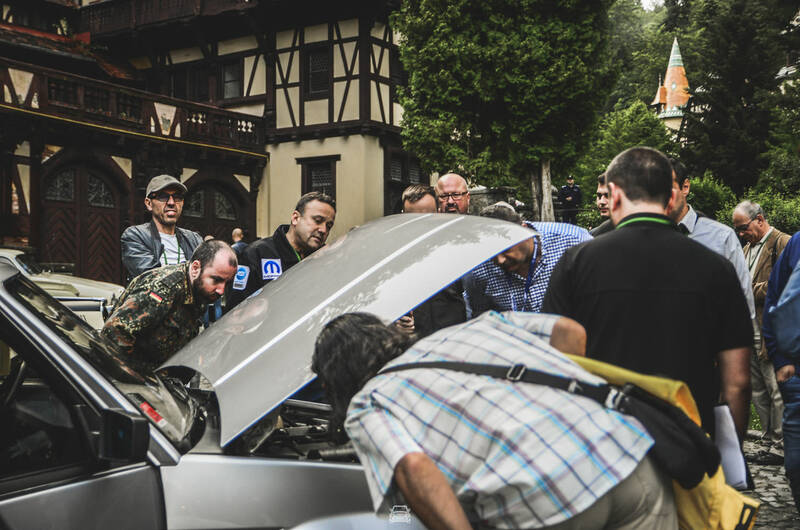 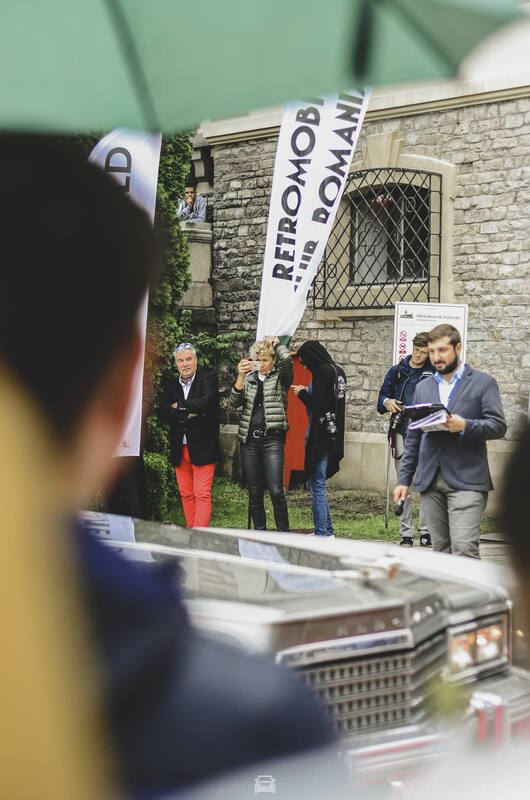 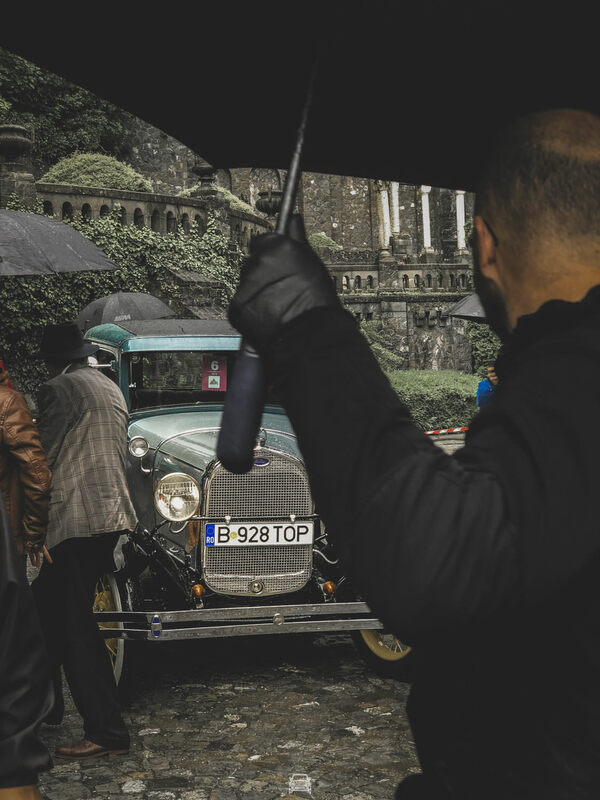 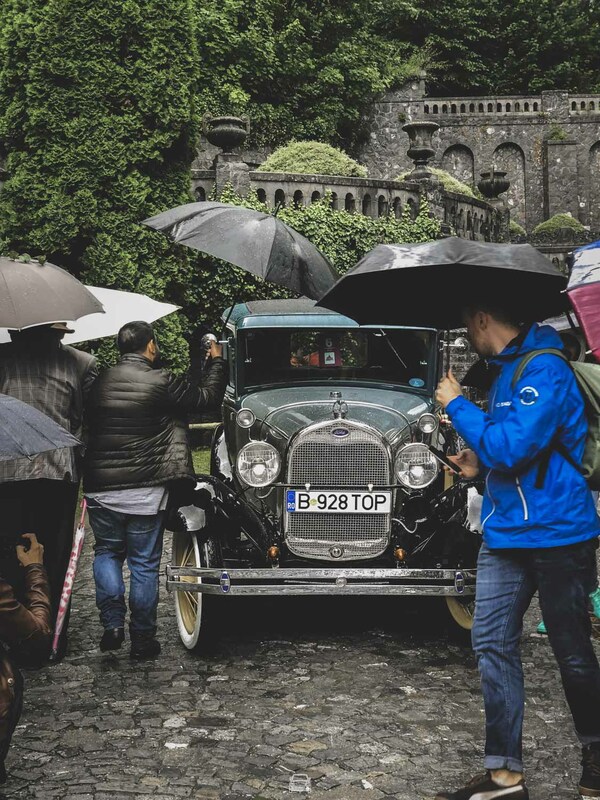 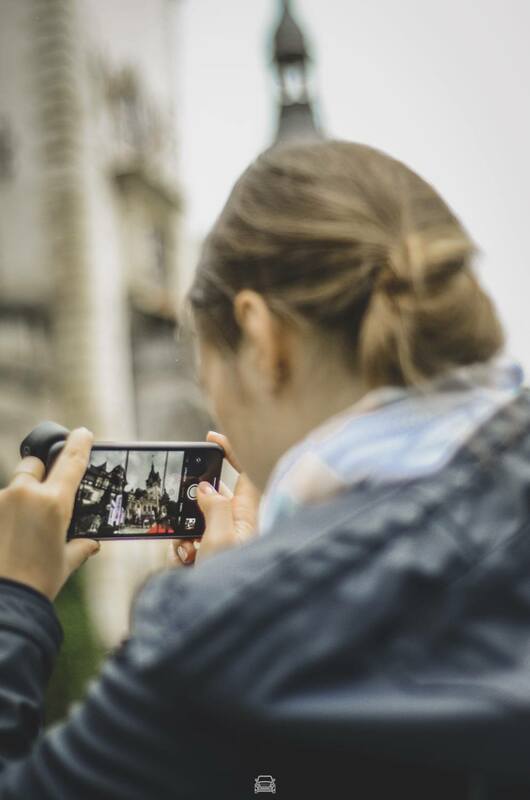 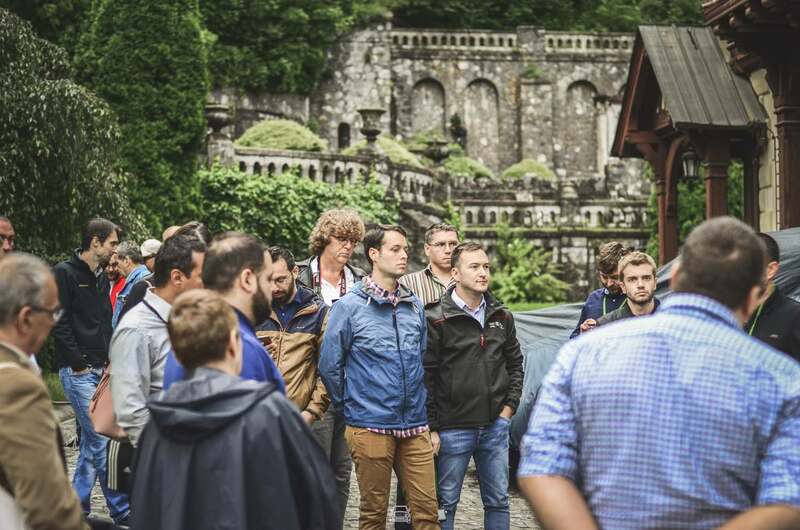 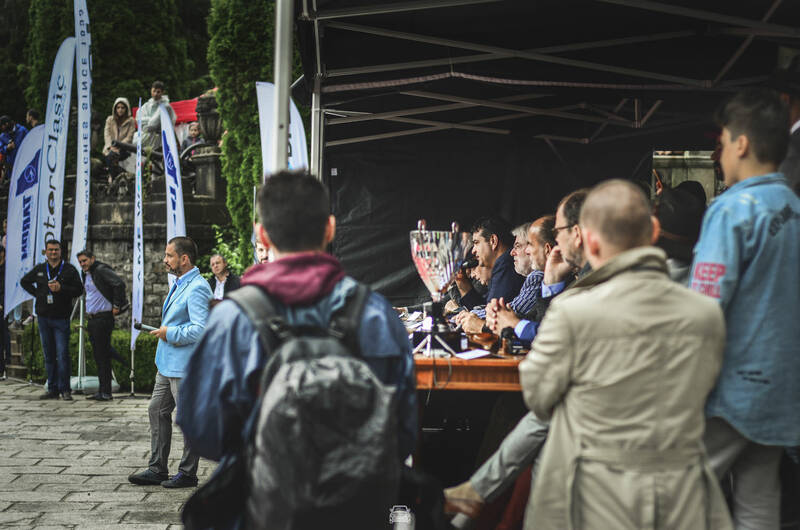 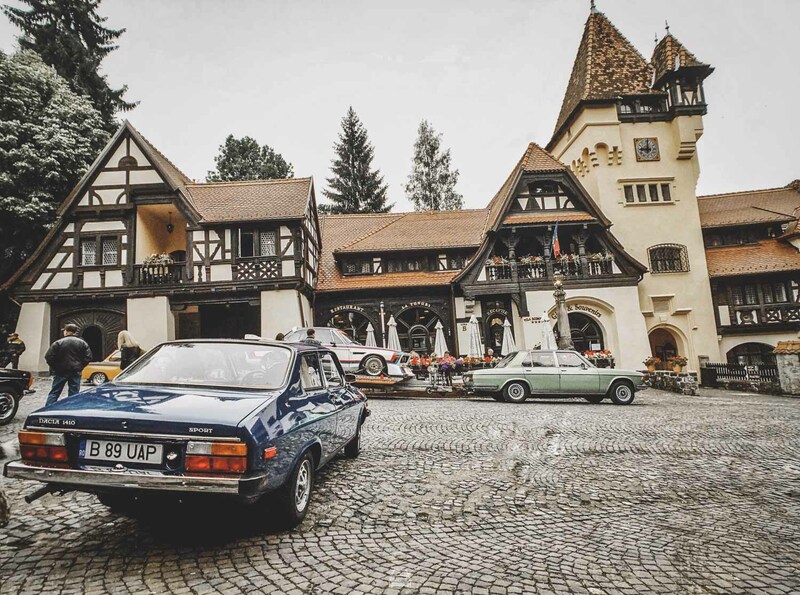 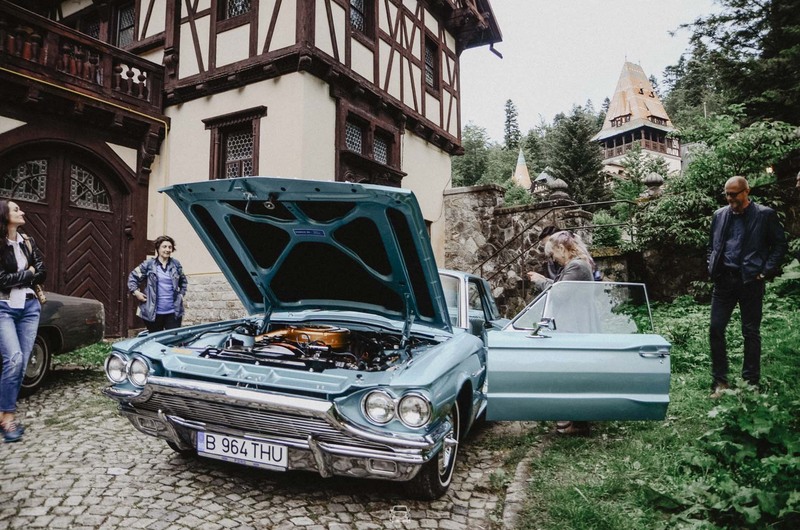 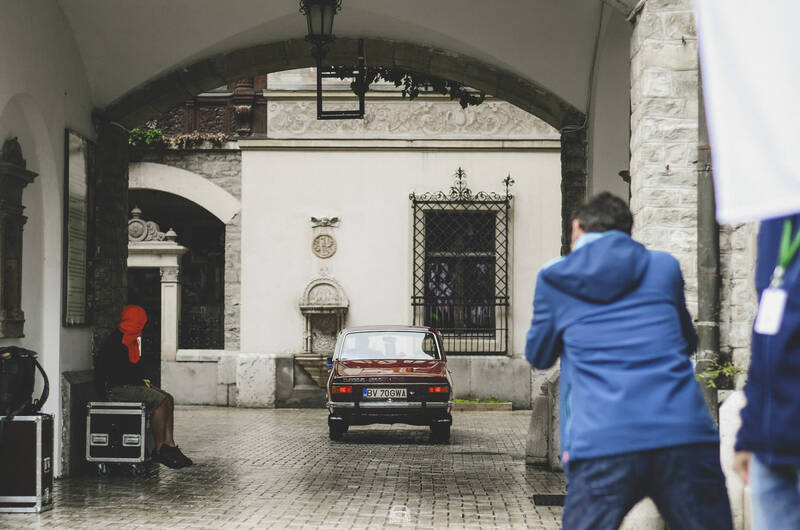 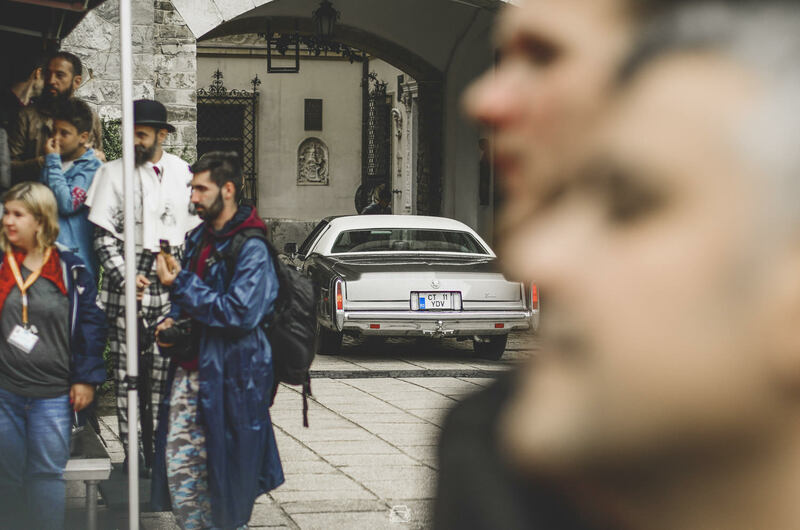 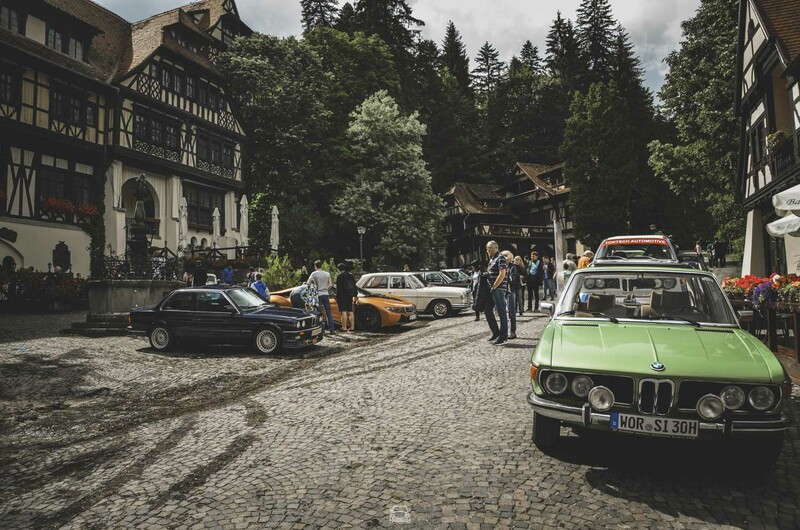 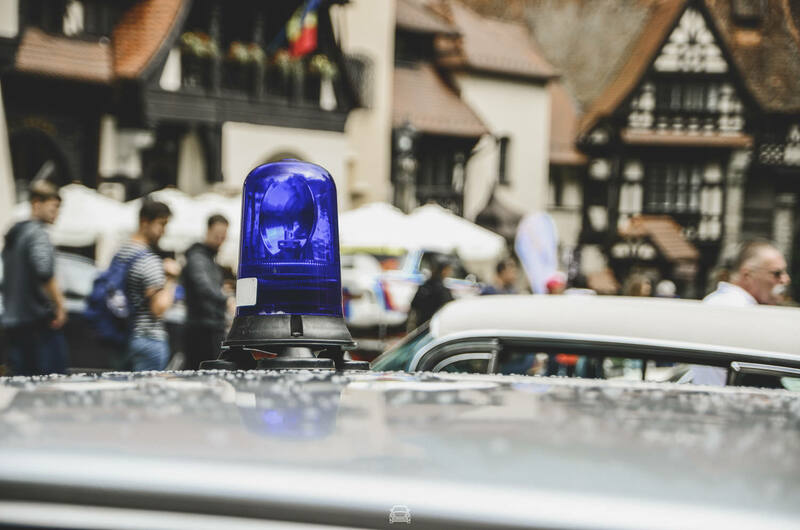 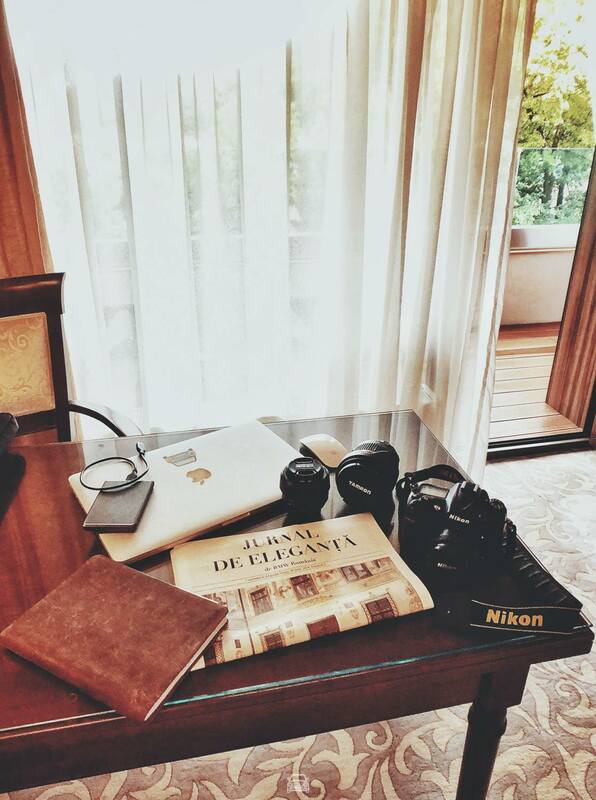 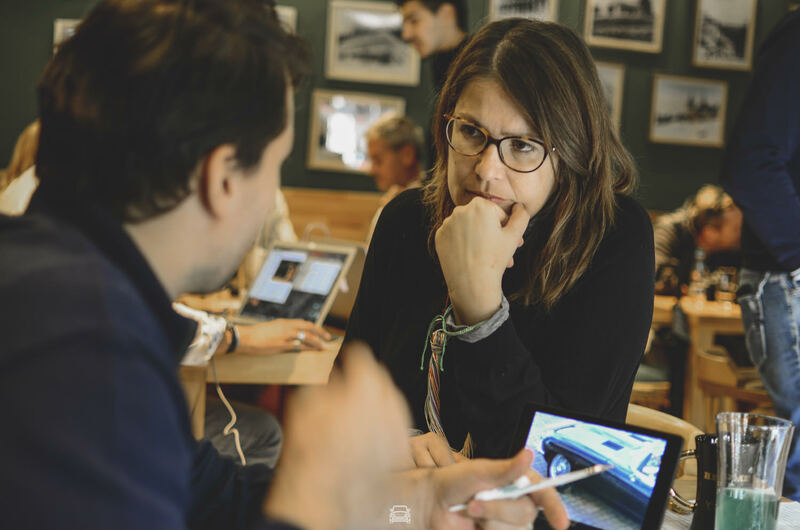 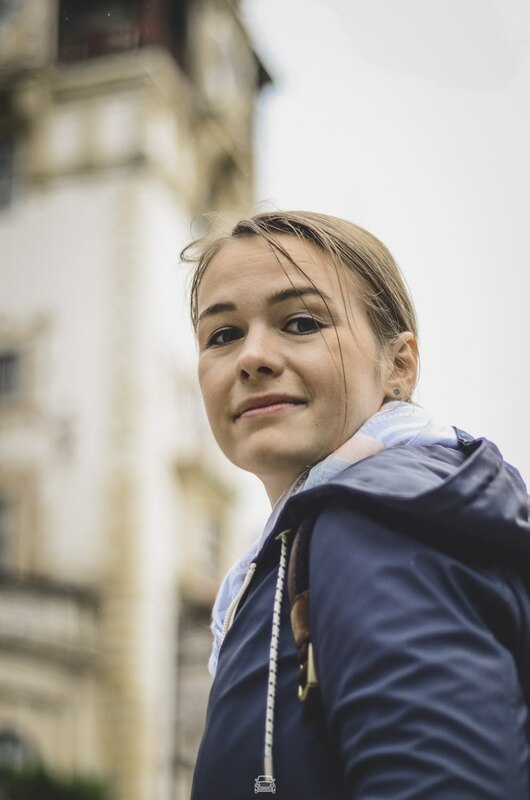 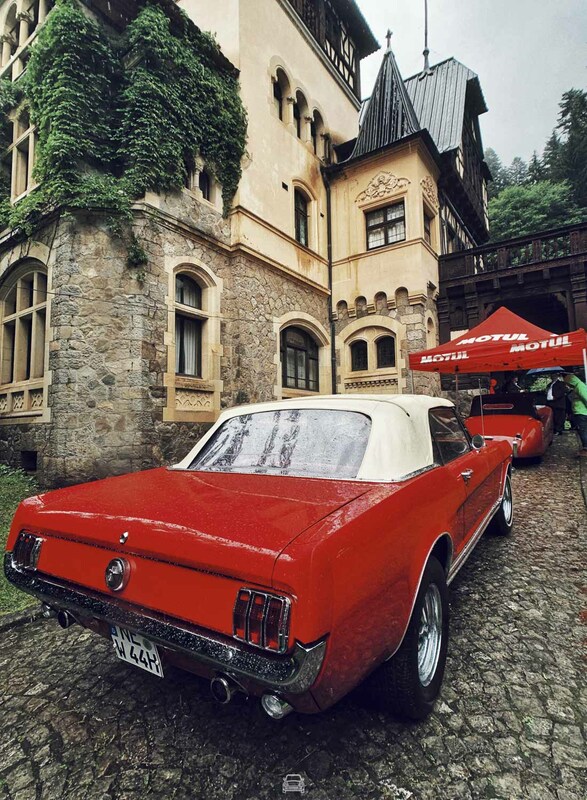 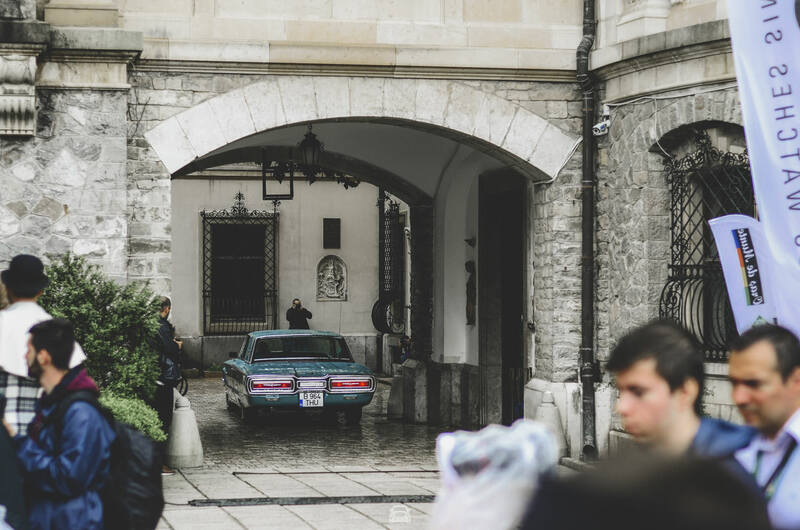 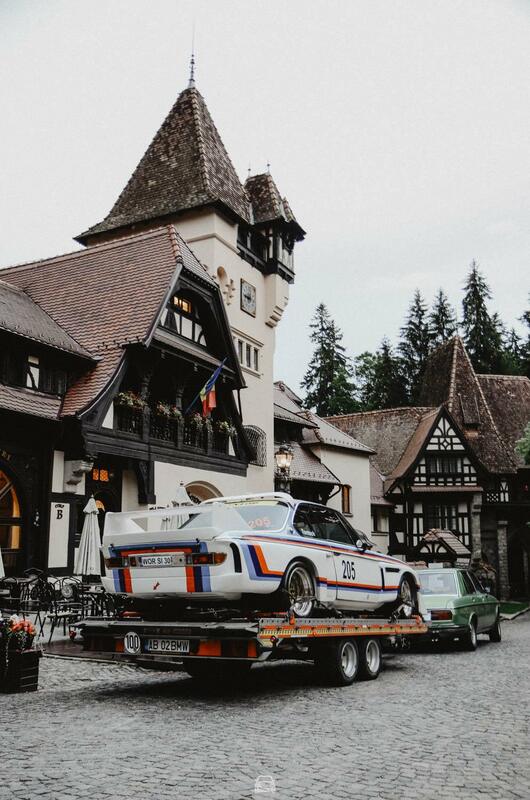 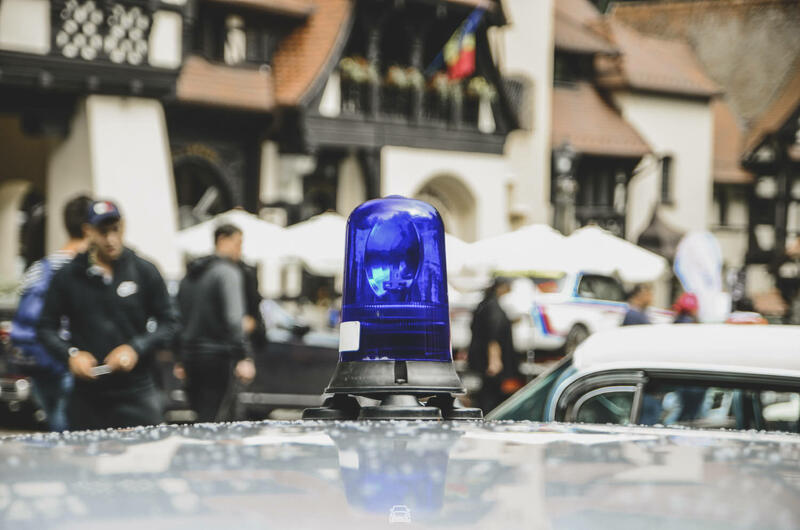 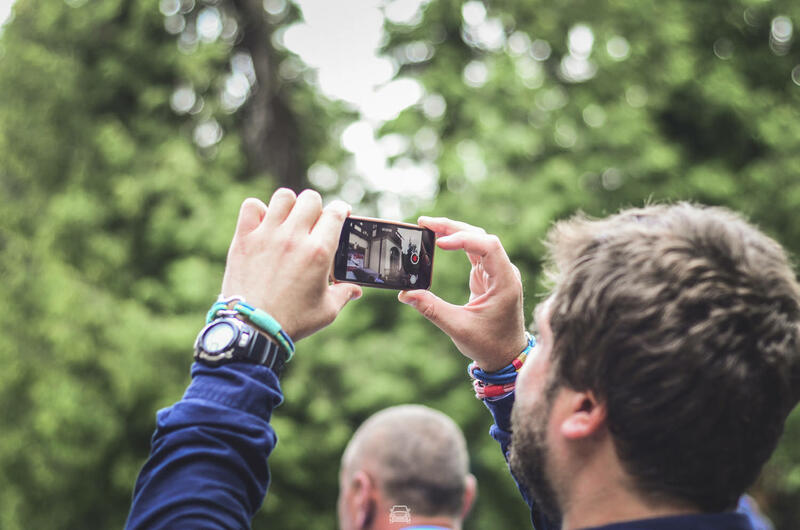 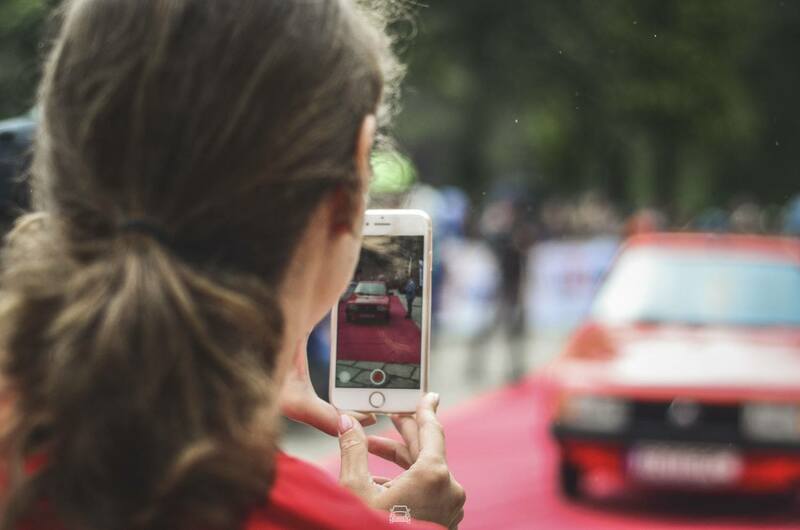 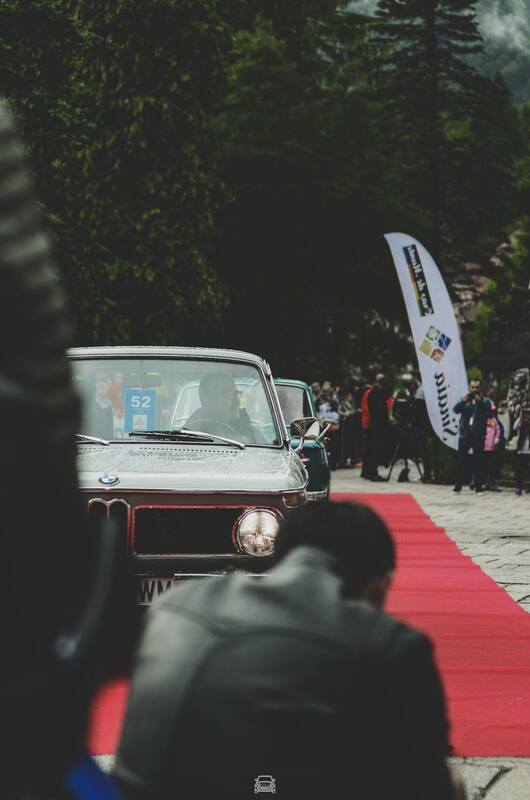 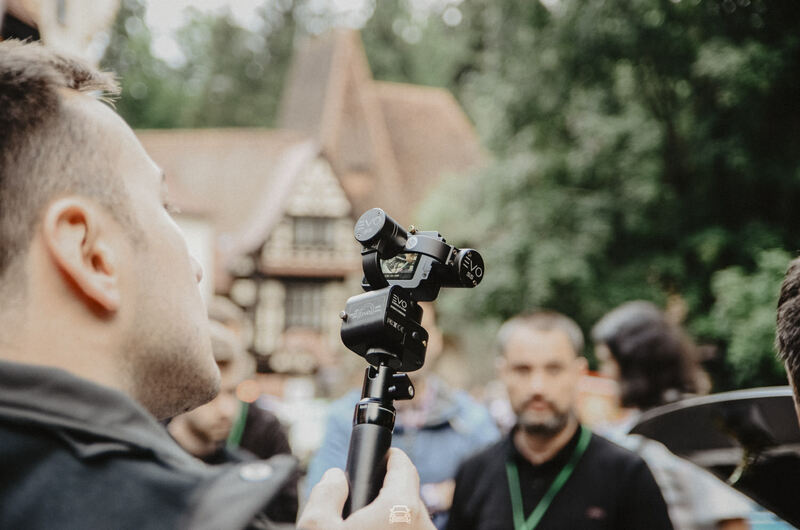 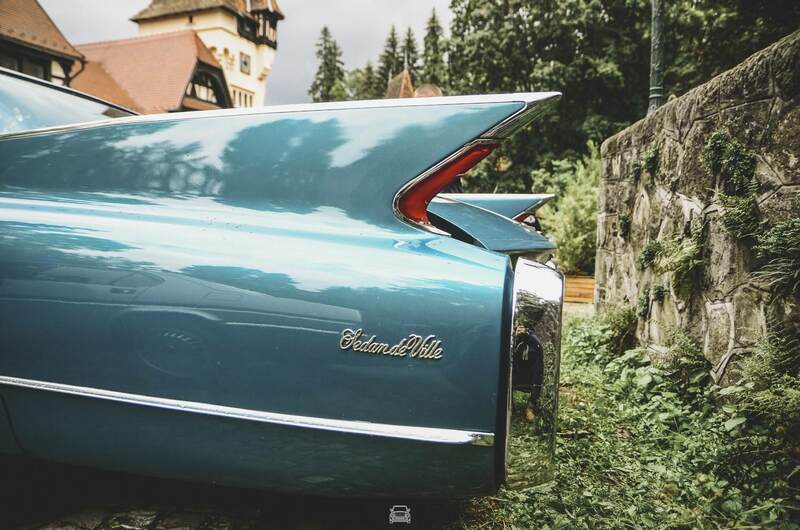 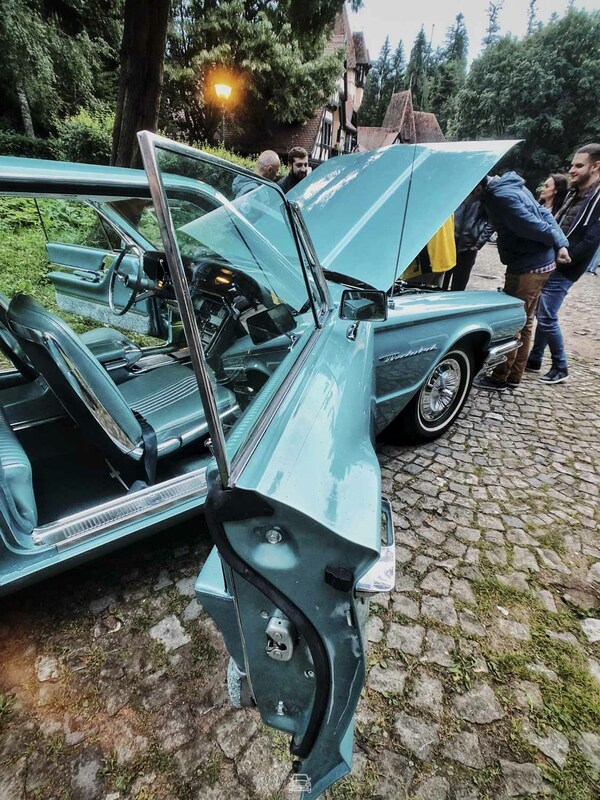 Romanian and foreign car journalists, people in the industry, enthusiasts and locals – all vibrating on the same frequency, restlessly waiting for a preview of the pieces of history gathered around the Peleș Castle. 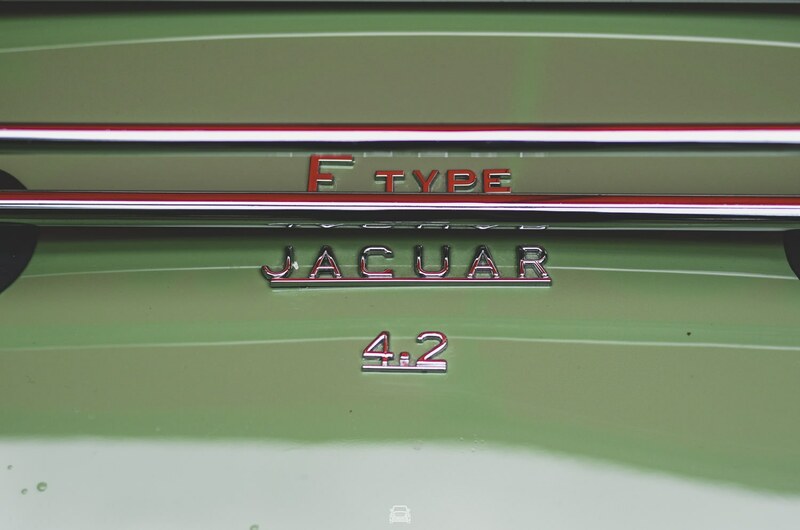 Sorry if this sounds like an 8th grade school composition (although I didn’t write that good back then). 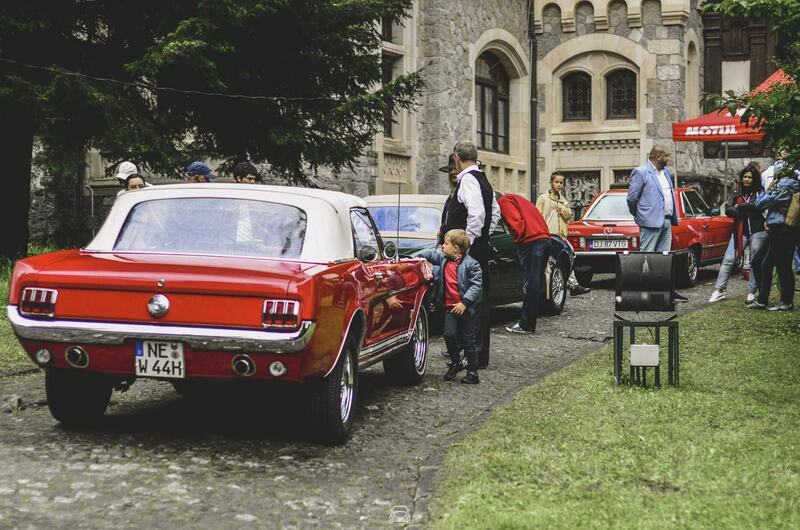 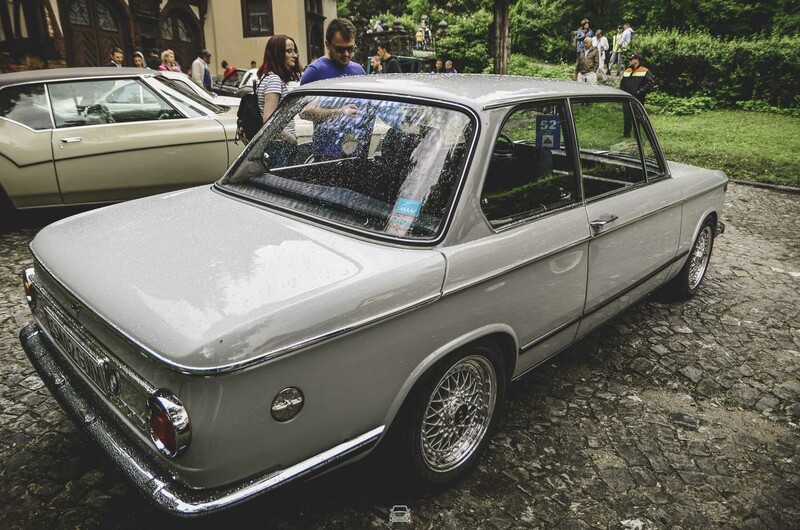 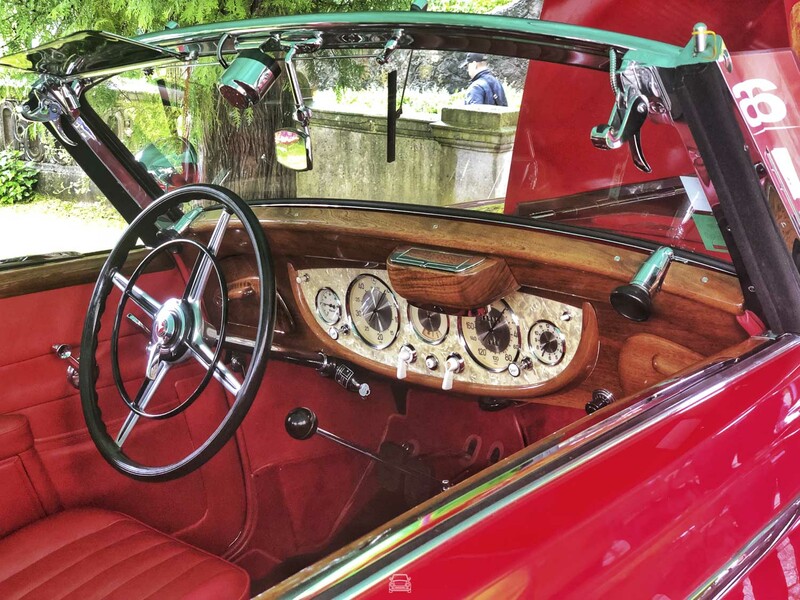 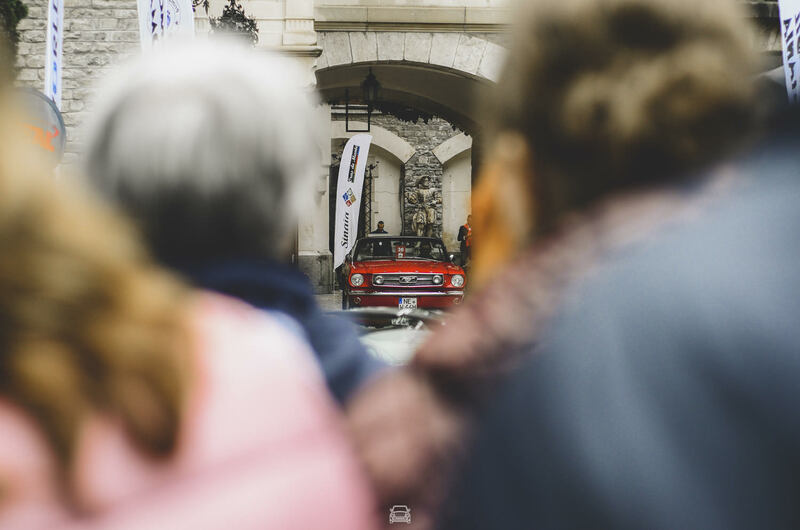 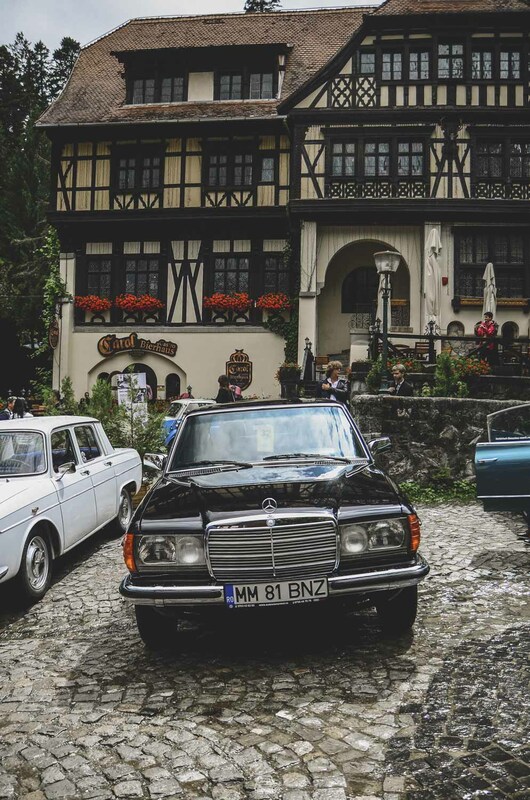 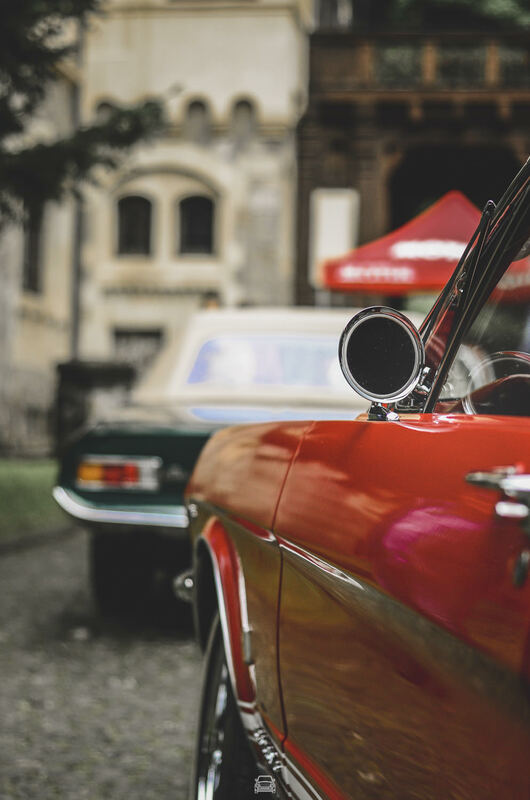 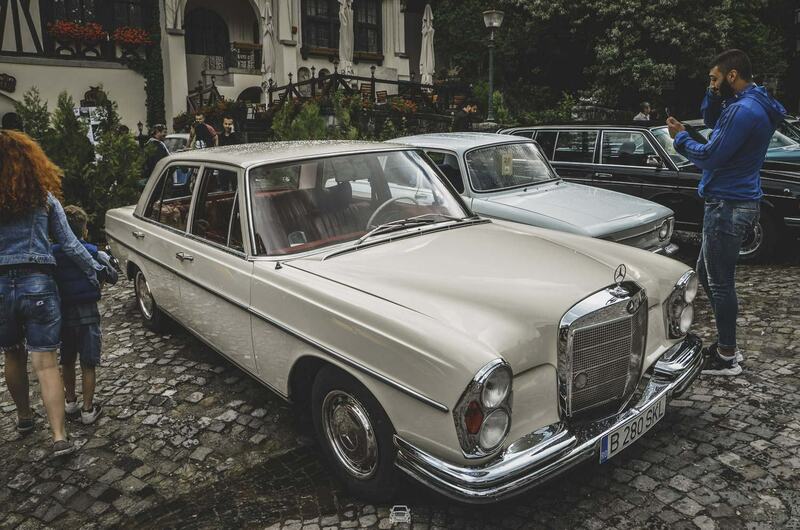 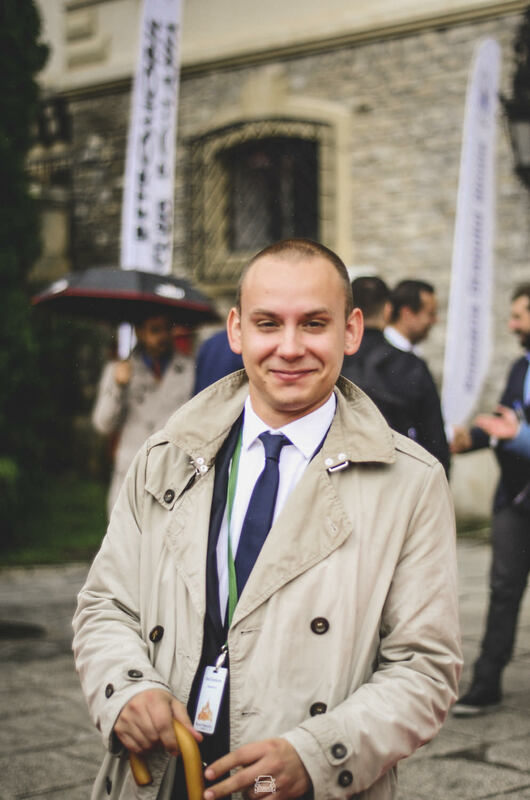 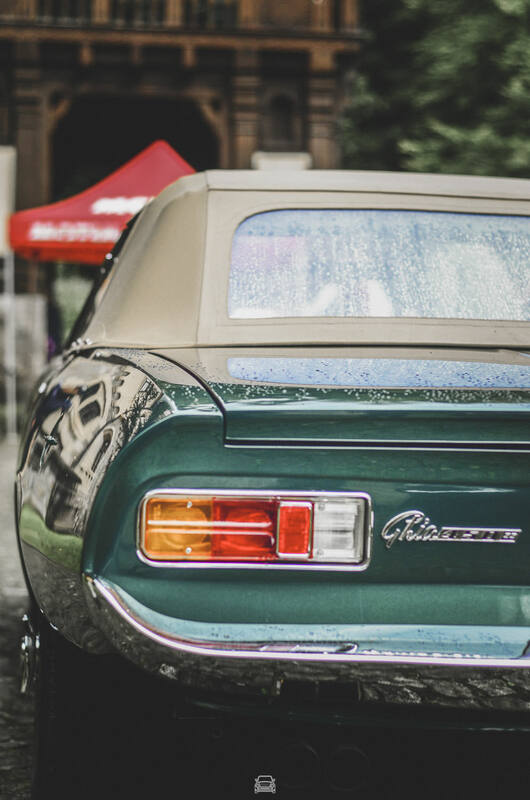 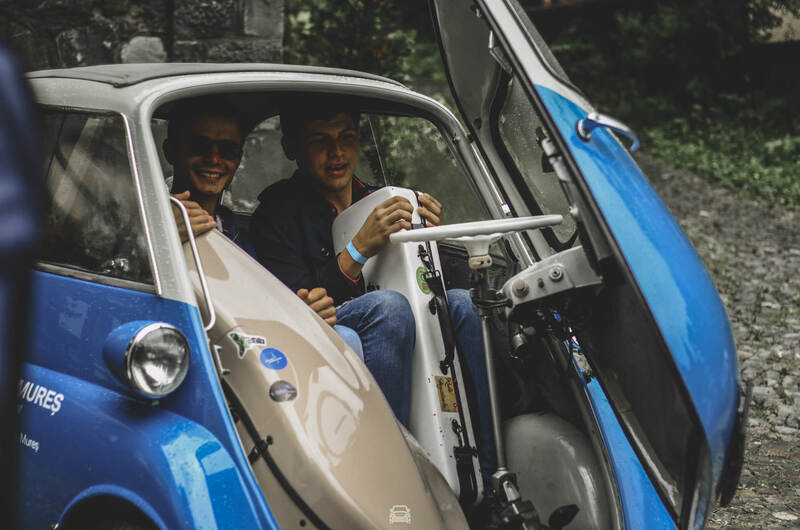 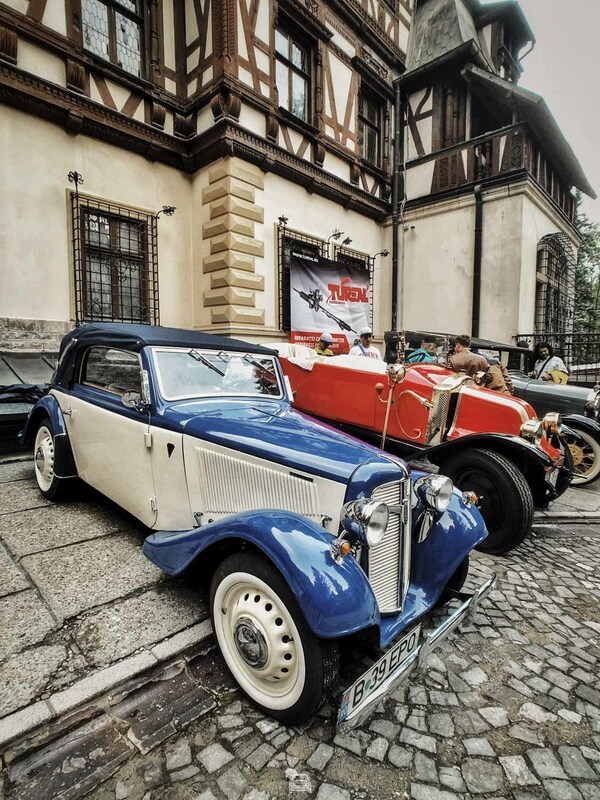 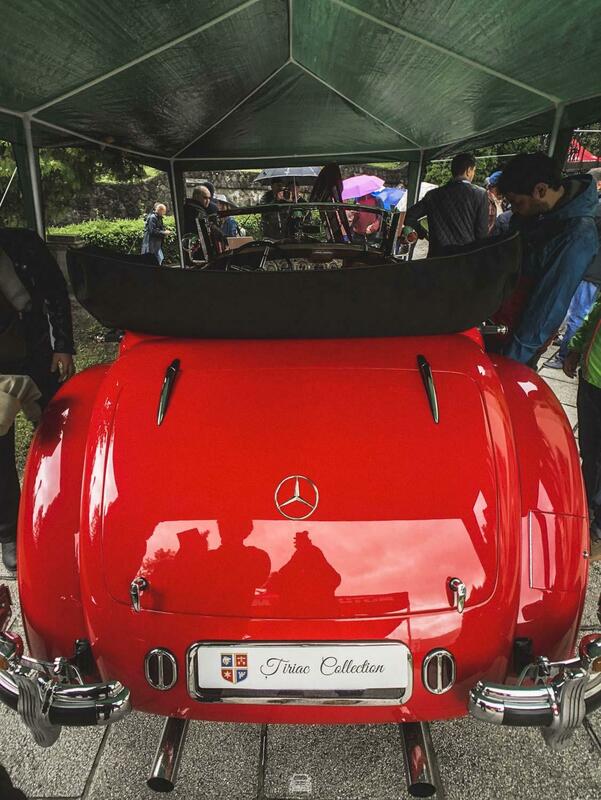 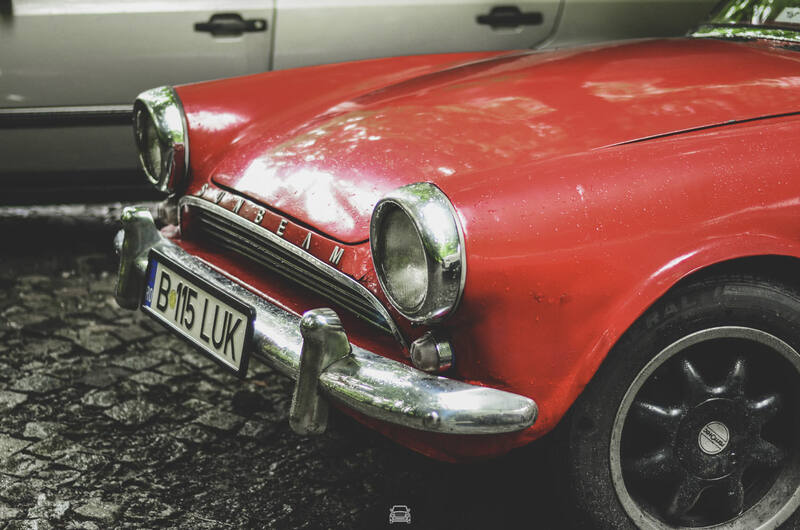 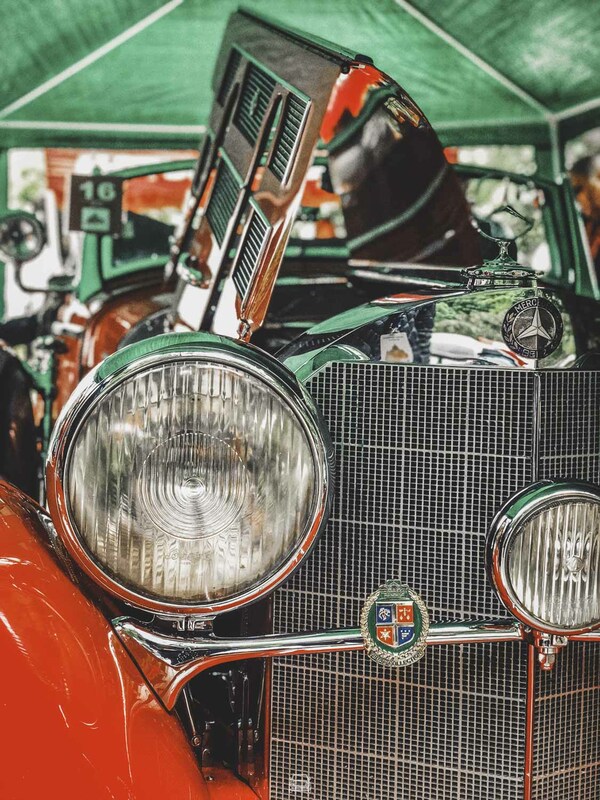 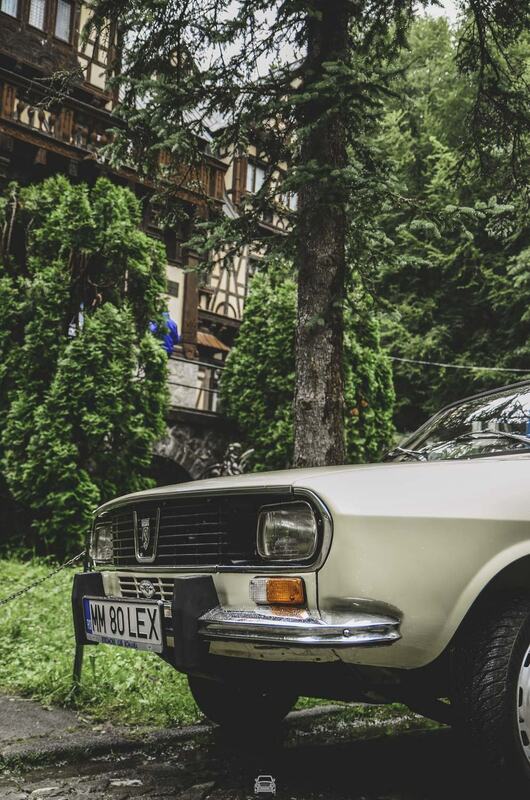 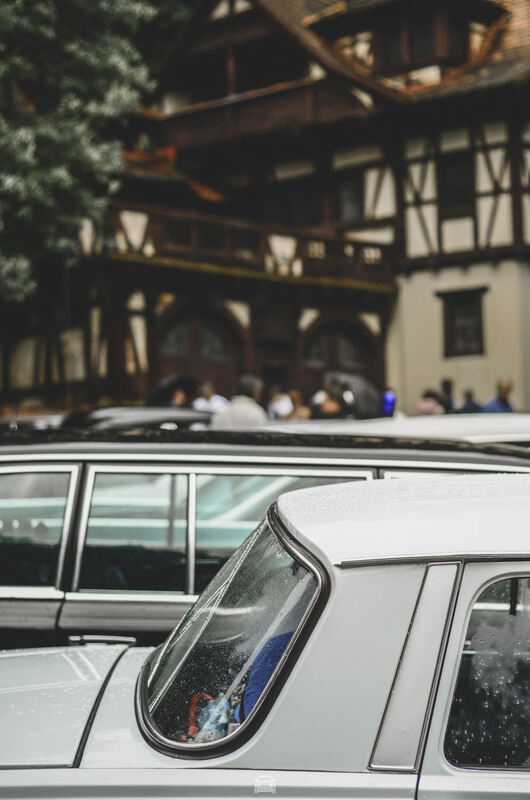 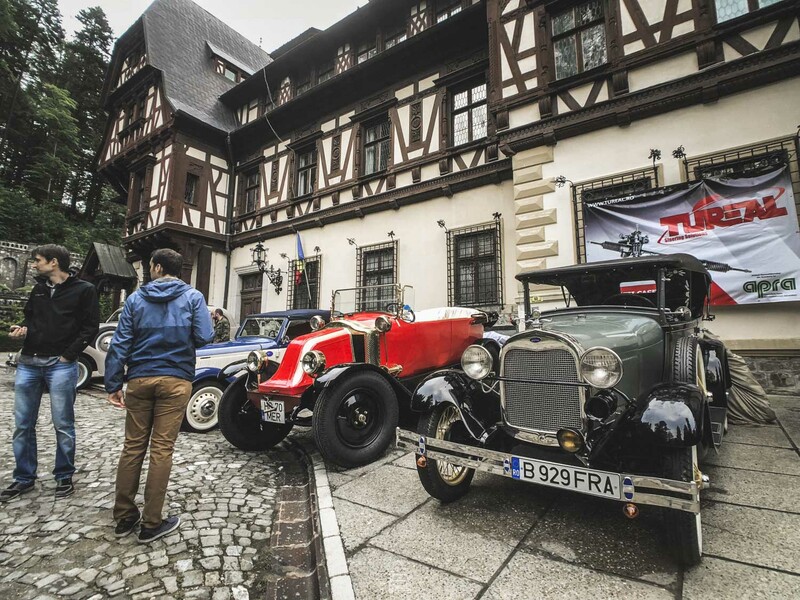 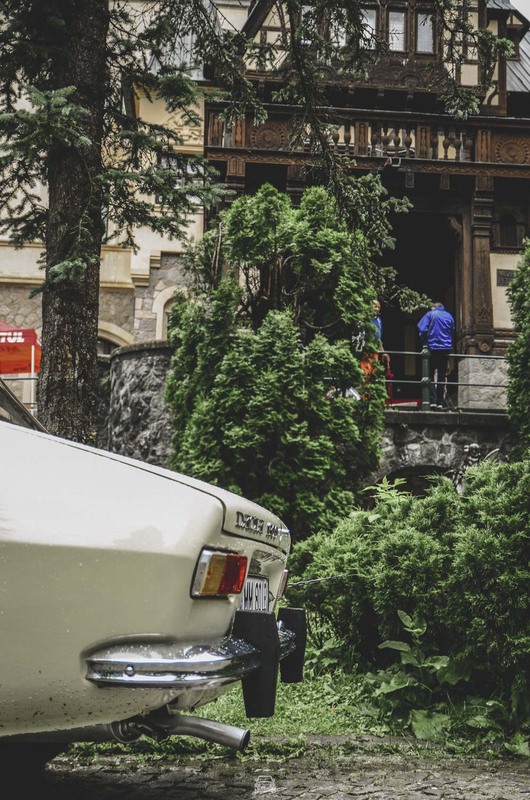 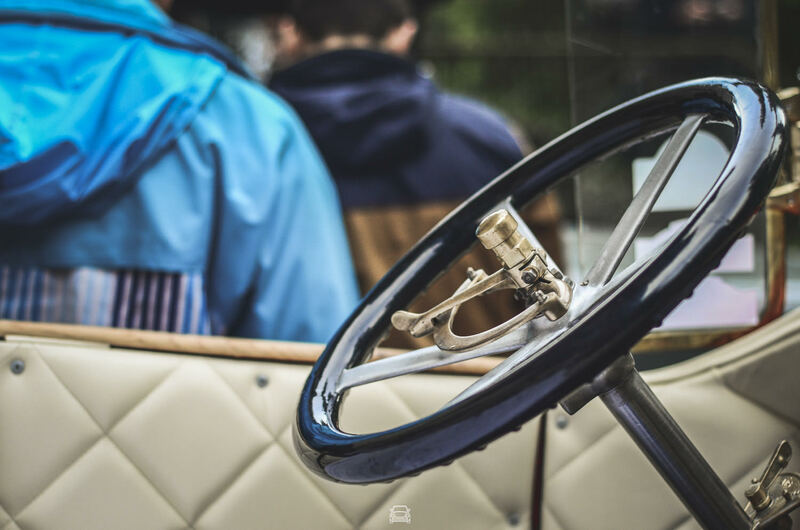 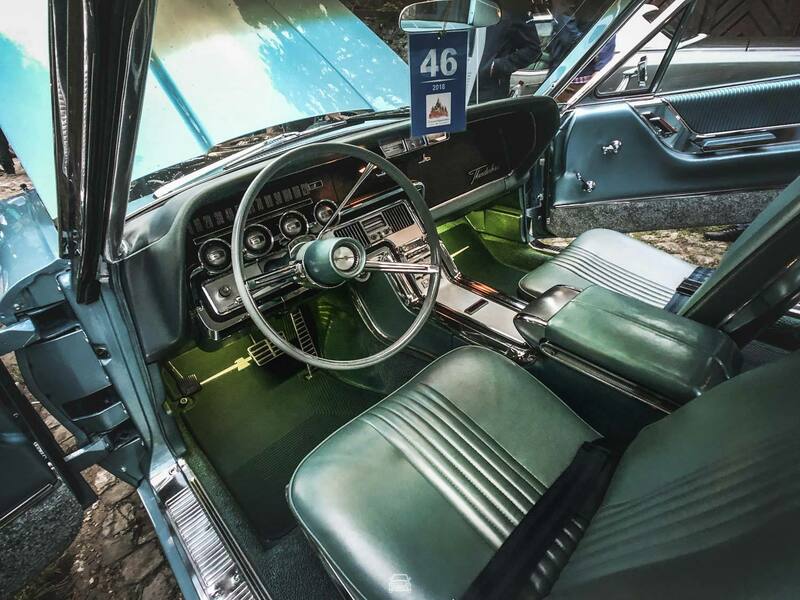 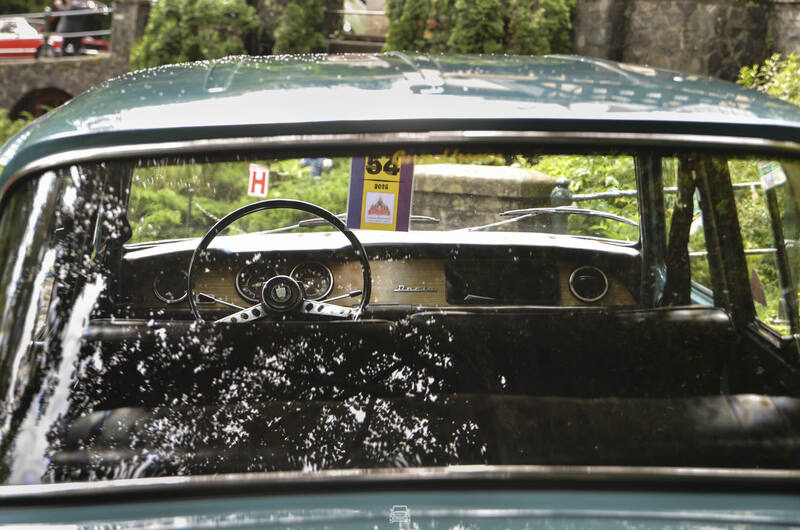 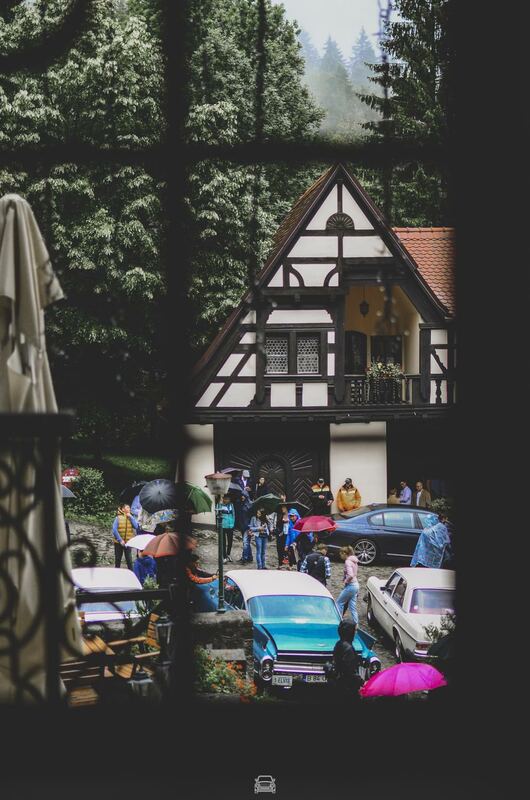 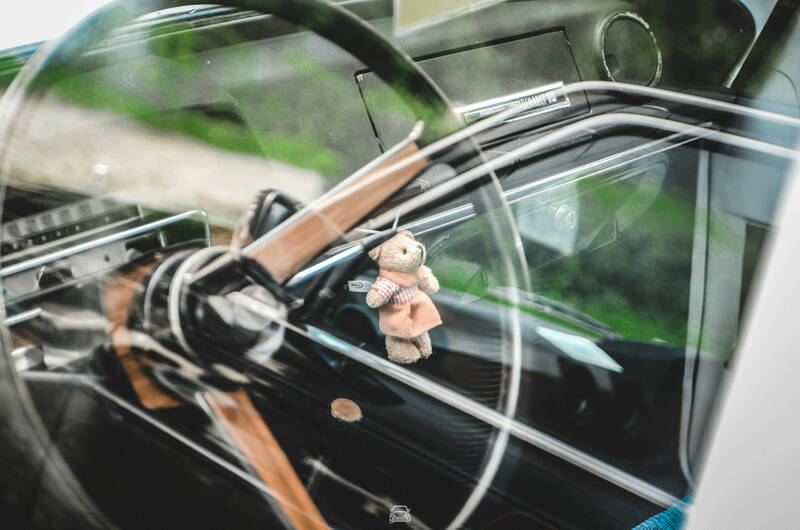 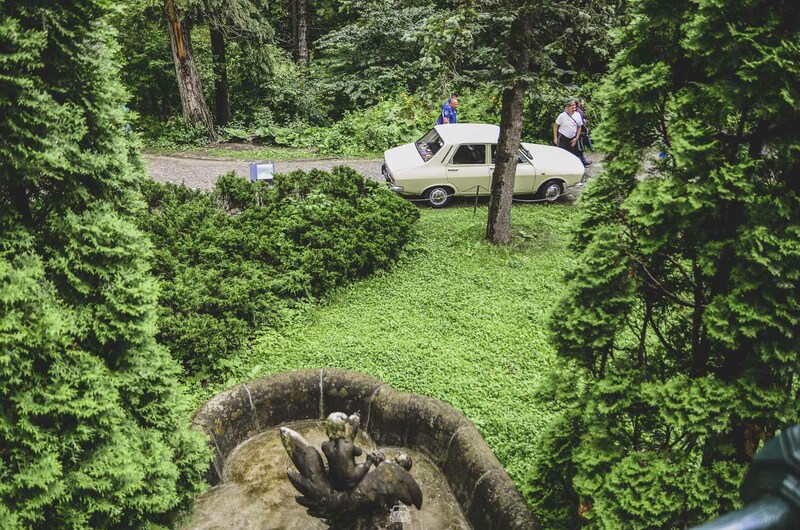 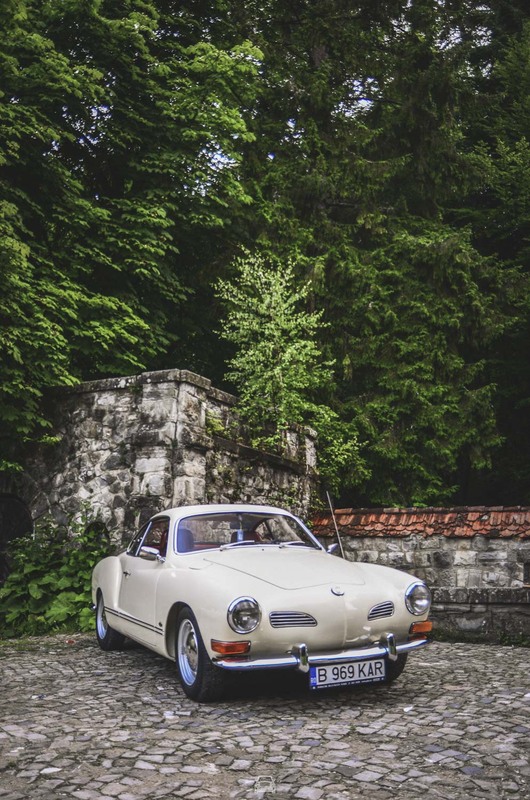 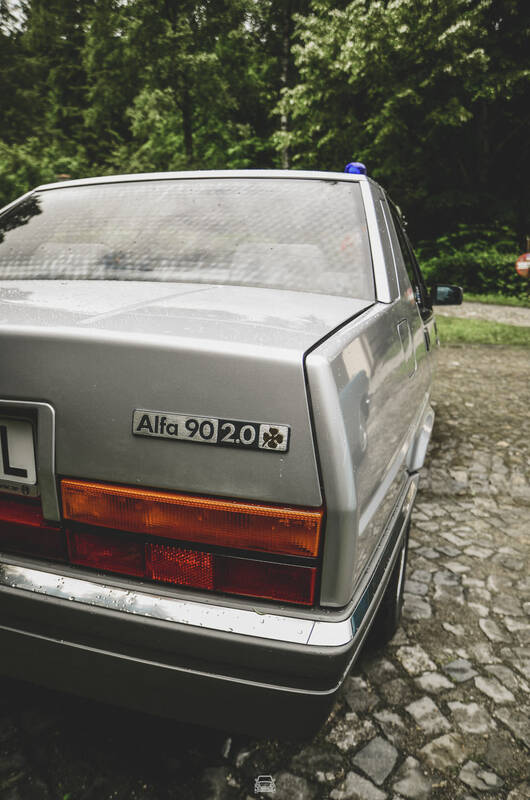 But this year’s edition of Concours d’Elegance Sinaia made me wish I were a child again, just so that I can hear the stories of Alex Șeremet with the naivety and the soulfulness from that time, without feeling the nostalgia or even the sadness of times long past. 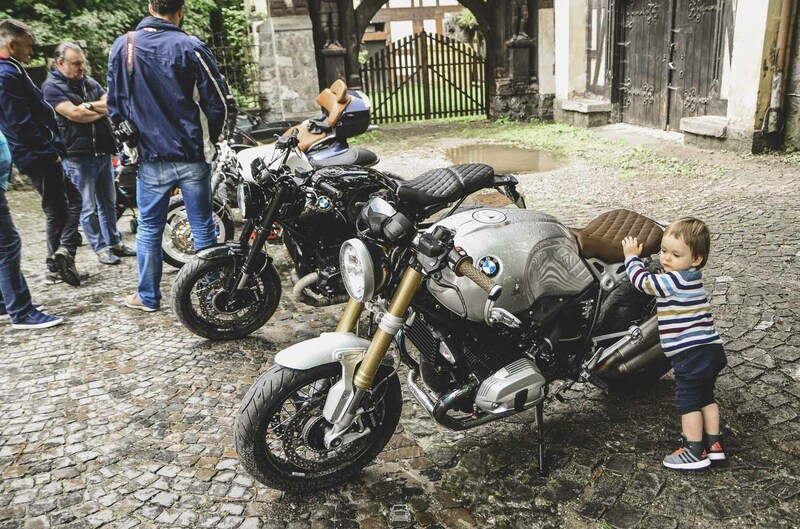 Even so, I felt like the youngest of the group of aficionados. 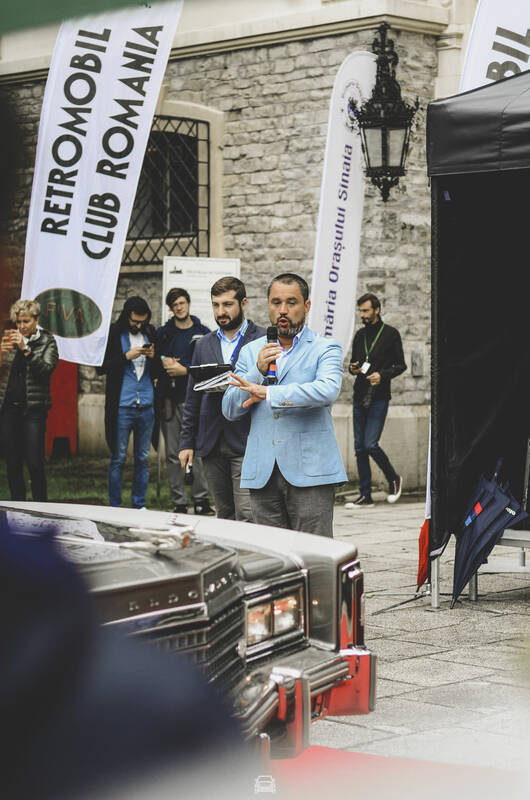 In fact, the story of my journey to CES this year started with a discussion with my good friend, Vlad Dorobanțu, which I am very proud to see this year as general secretary of Retromobil. 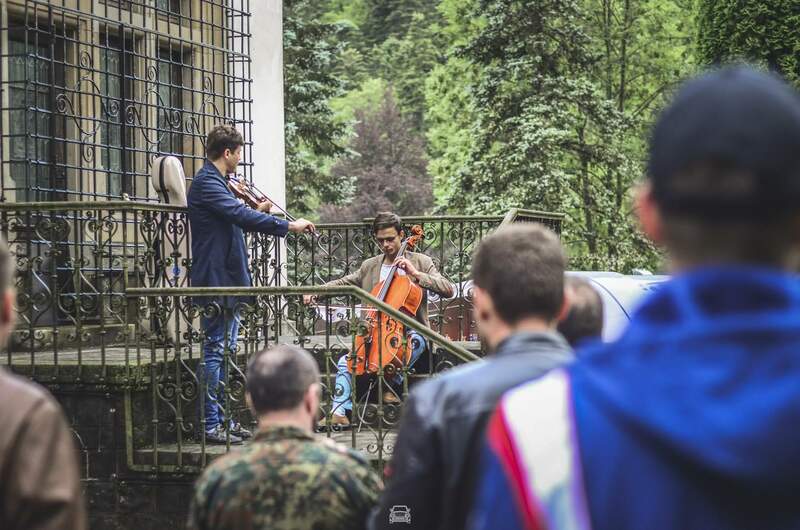 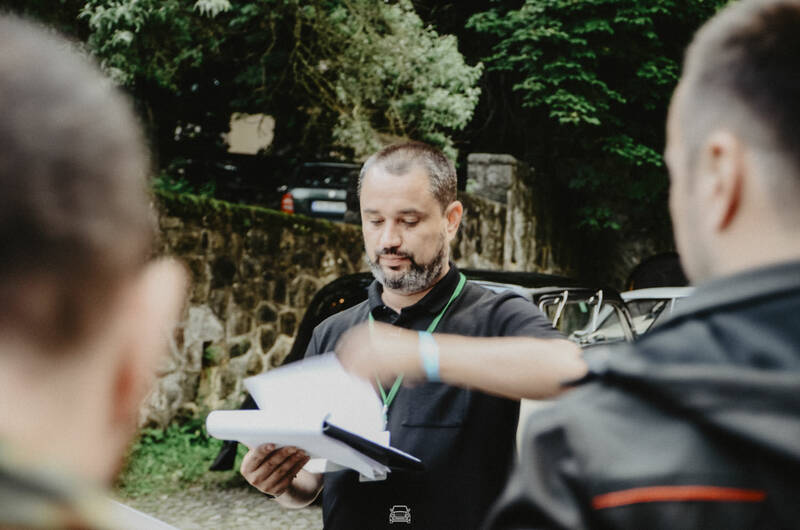 If last year I was a simple spectator and photographer in Sinaia, for 2018 I wanted to find out what was in the backstage of such an event. 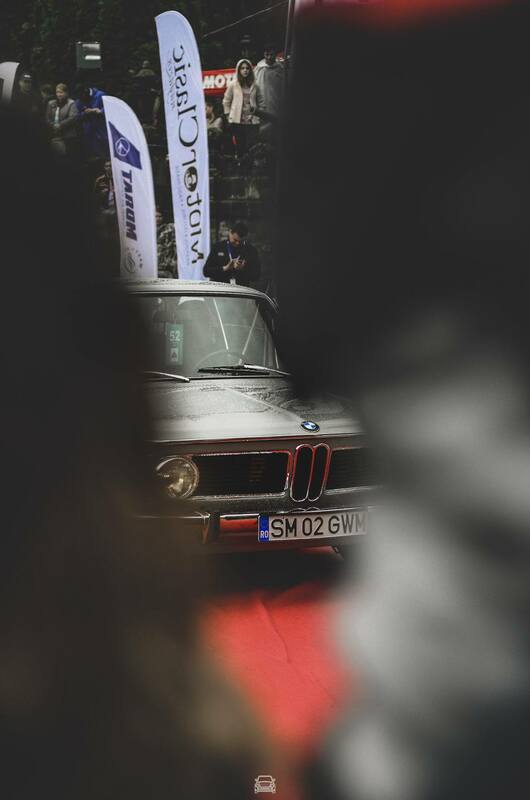 Without having to work too much on convincing anyone, I found myself on the BMW guest list for the CES event – so I left for the event a day early, to admire wholeheartedly and thoroughly the cars registered in the competition, but I was also down for a series of events put together by BMW on launching the new X4. 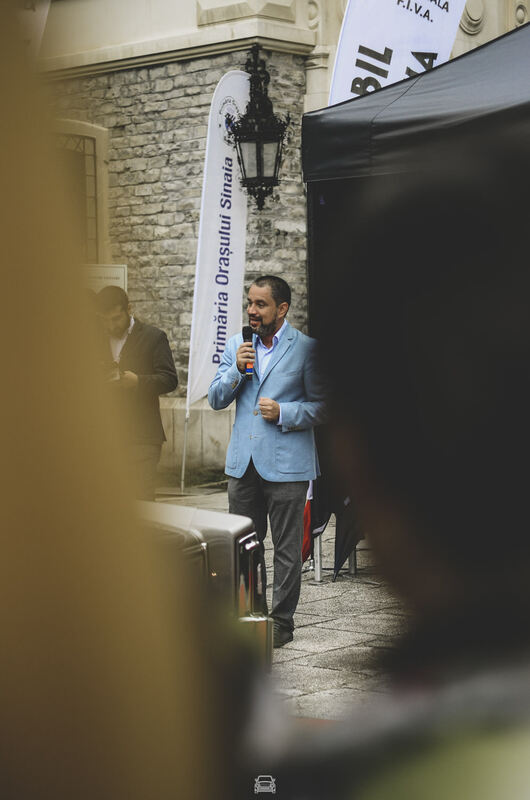 What I want to highlight here is the fact that being ‘attached’ to the press group was a real treat for me, as it was the first in my automotive career, never before being the guest of a brand in an out-of-town event. 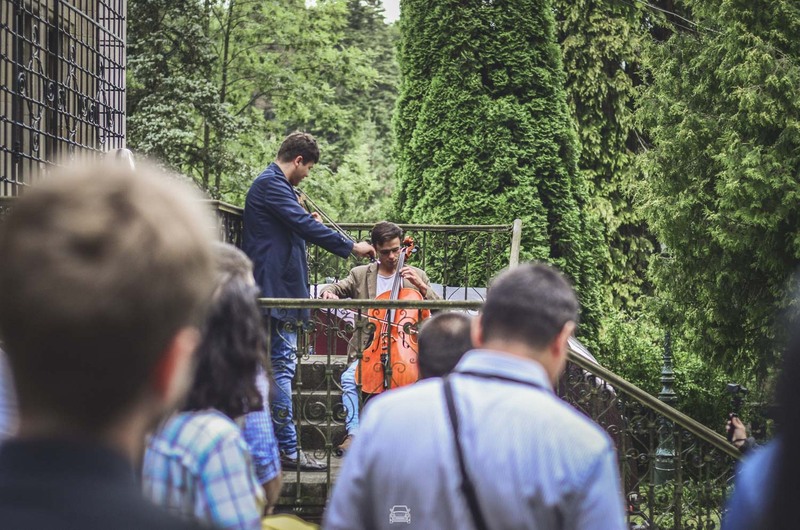 Of course, when I first launched my blog, I was hoping to be invited to as many such events as possible, but I don’t think I was really ready for such a public ‘recognition.’ I can only thank the wonderful people who welcomed me with open arms and who, with this nice gesture, encouraged me to gather my strength this summer to pump up more life and content into the blog. 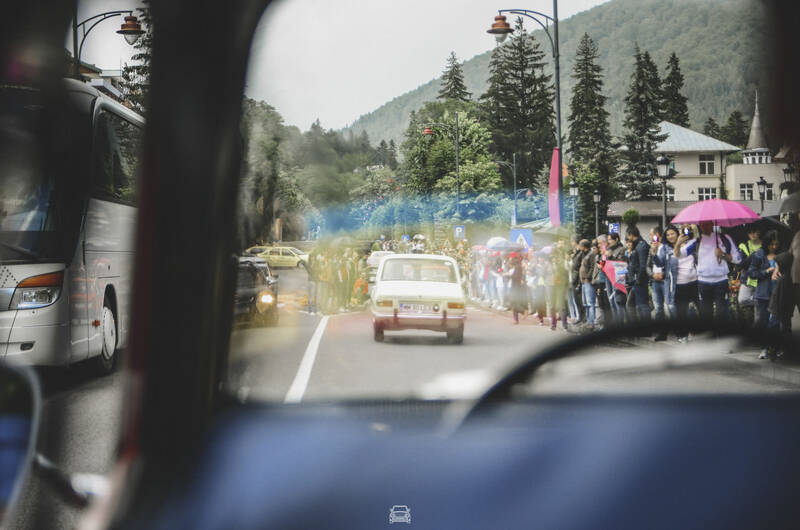 Back to the cars – in fact, to the people among the cars. 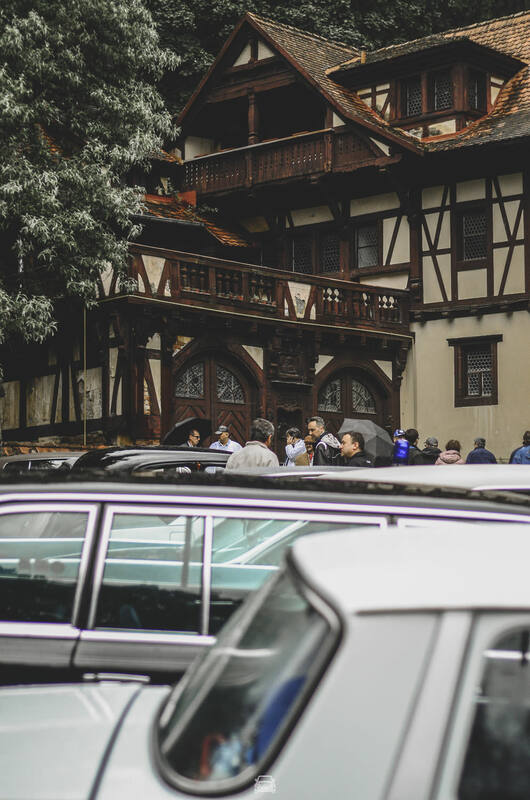 Luggage at the ready, I went to Băneasa, where we were to leave in a larger group, together with a few foreign press journalists. 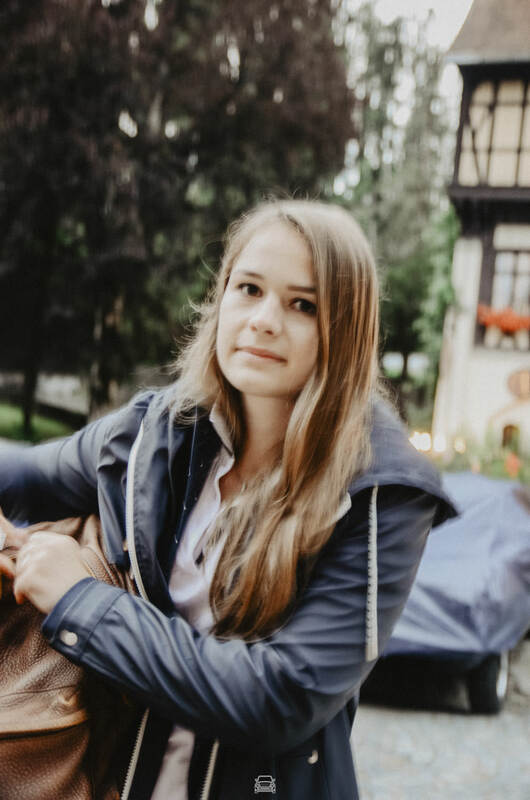 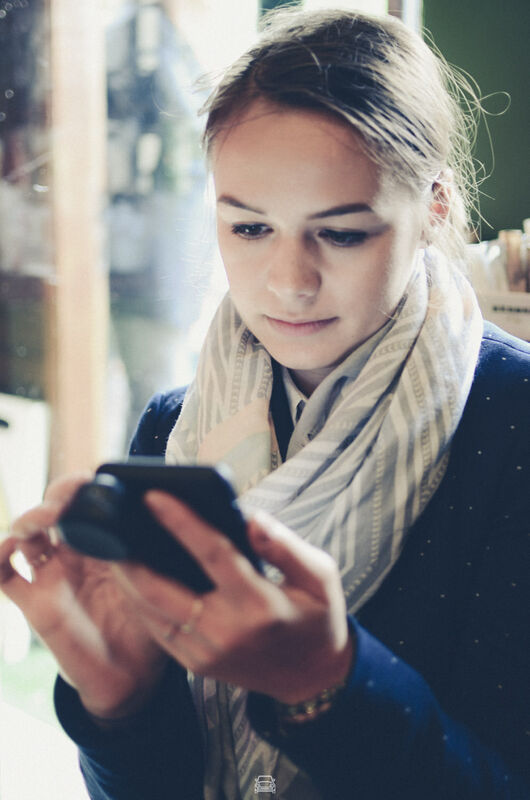 I was excited because I am always curious to chat to people from other countries, but I never expected what was to happen next. 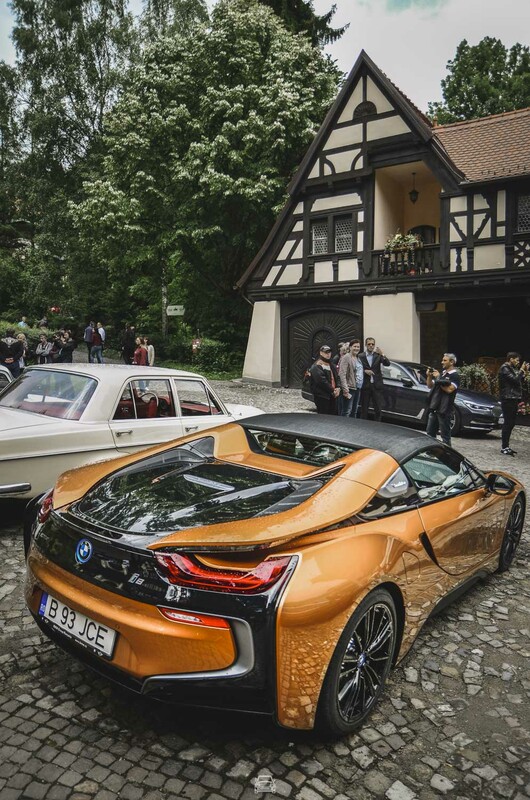 I was in the reception of the BMW office and was reading the Concours d’Elegance Journal when Alex, Alex Sobran, sat right next to me. 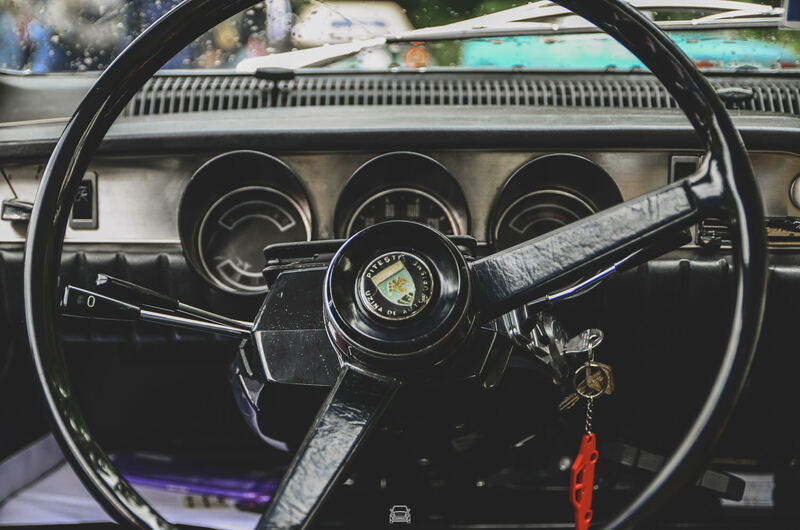 You know, the guy from Petrolicious, that BRILLIANT, charming and superb website where you can get lost scrolling article after article and video after video, something way better than YouTube. 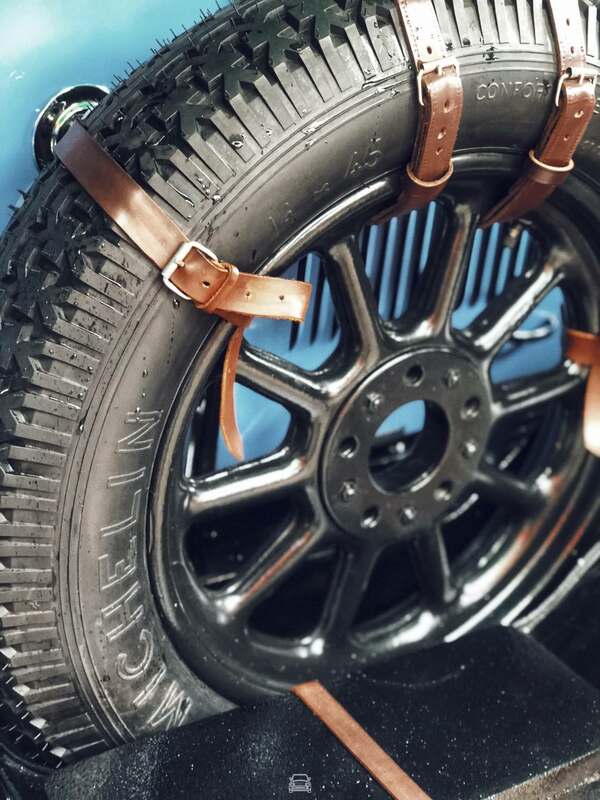 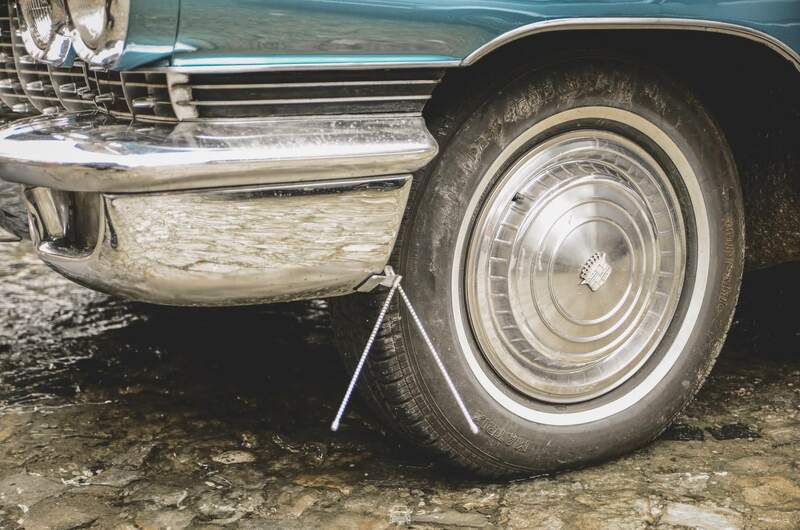 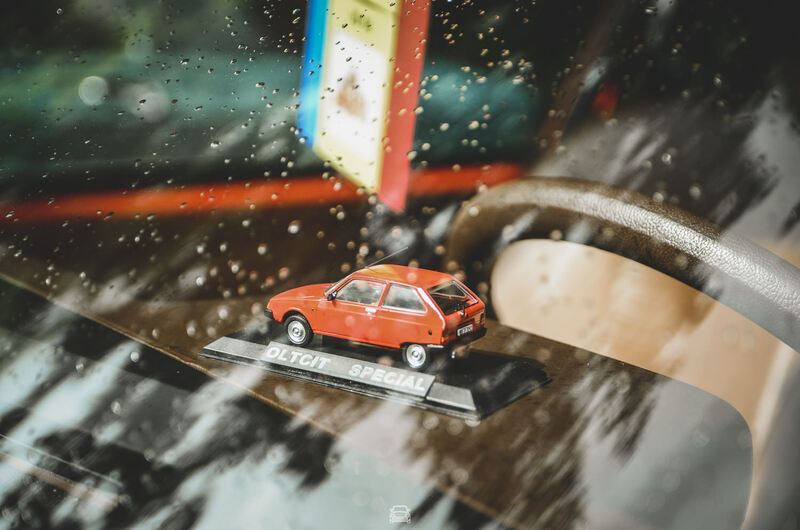 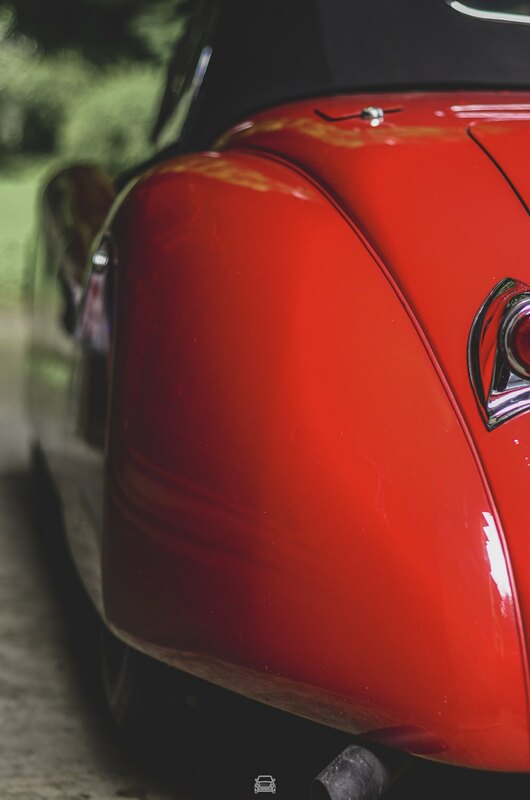 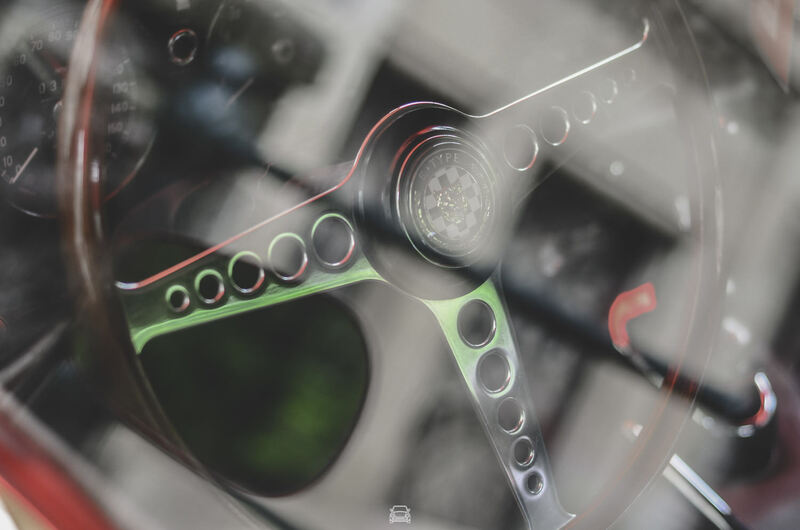 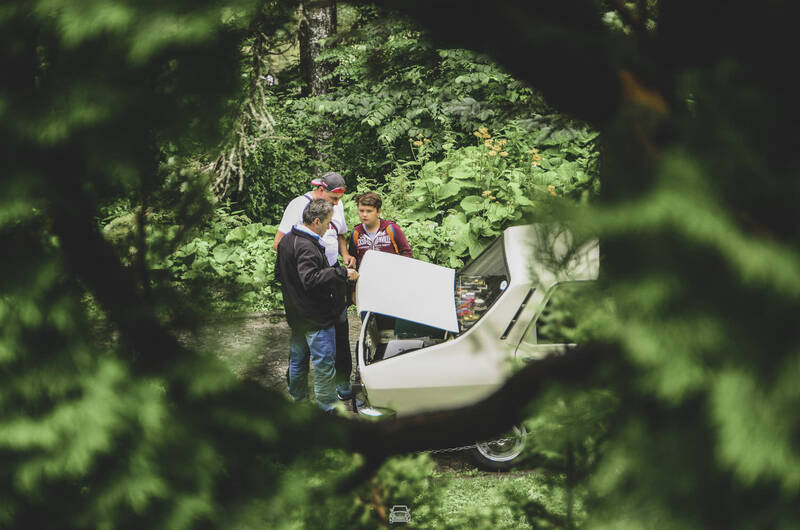 I had no clue who were the writers behind Petrolicious, and the simple fact that I was now in the presence of a contributor to one of the coolest automotive sites in the world made me feel even less … prepared. 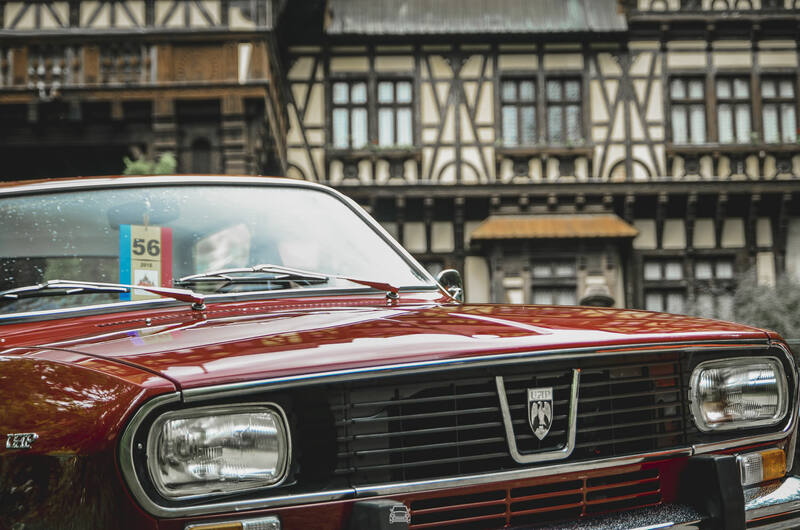 After we’re all gathered, we went to an authentic Romanian lunch where I sat down and shared stories with Laura Ferriccioli, another talented journalist, also very passionate about classic cars. 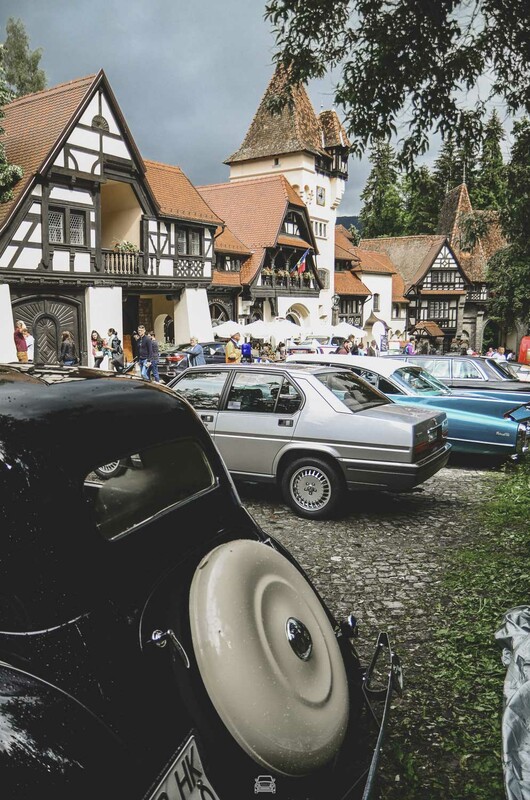 The road to Sinaia was smooth – I savoured it from the backseat of the new 5 Series, where I was thinking how cool it was that companies invest in good defensive driving competitions (a big ‘Congrats’ goes to the BMW ladies for driving skills). 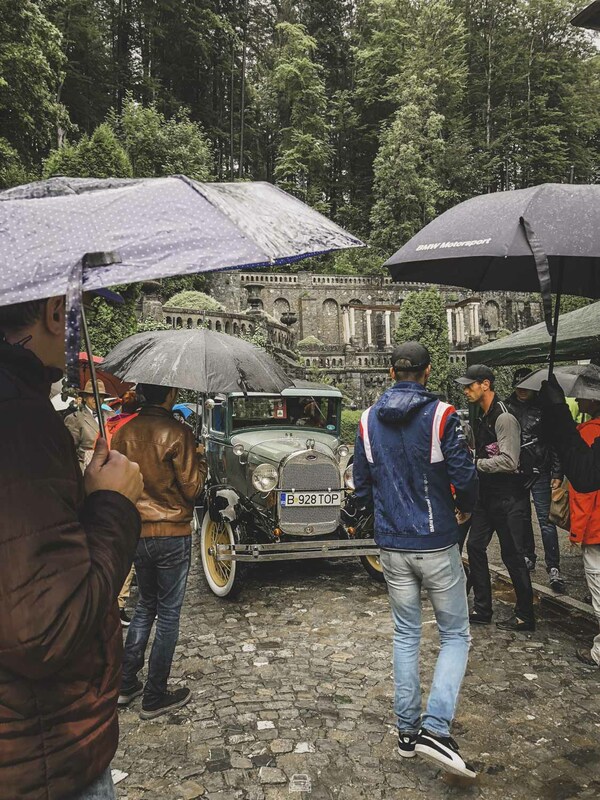 The rain stopped just in time and we went straight on to the gardens of the Peleș Castle, the place chosen for the Contest of Elegance in Sinaia from the very first edition in 1934. 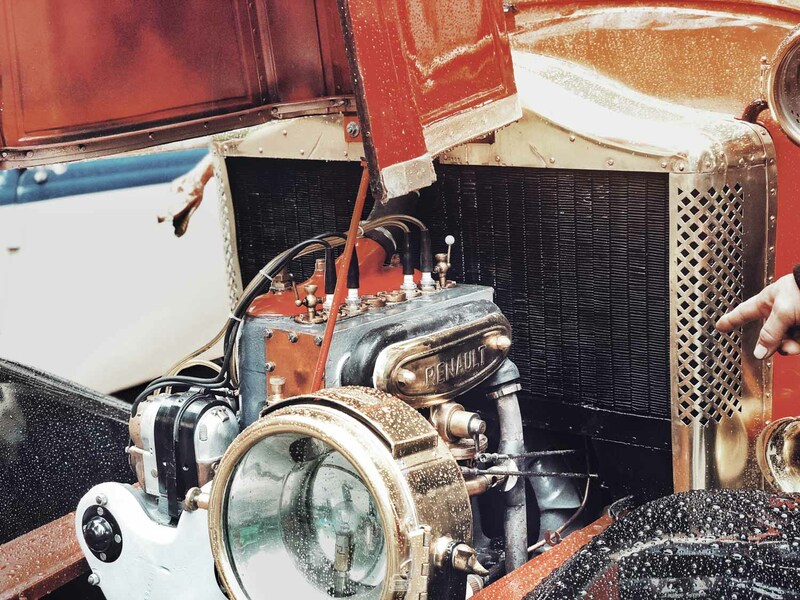 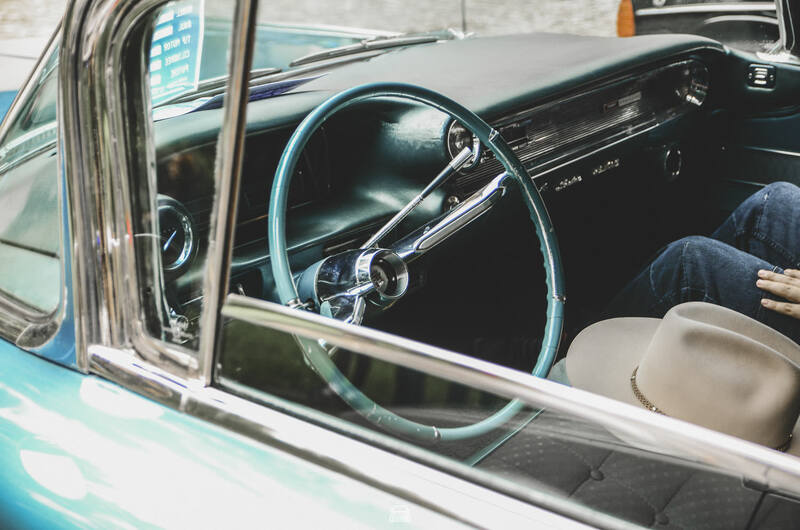 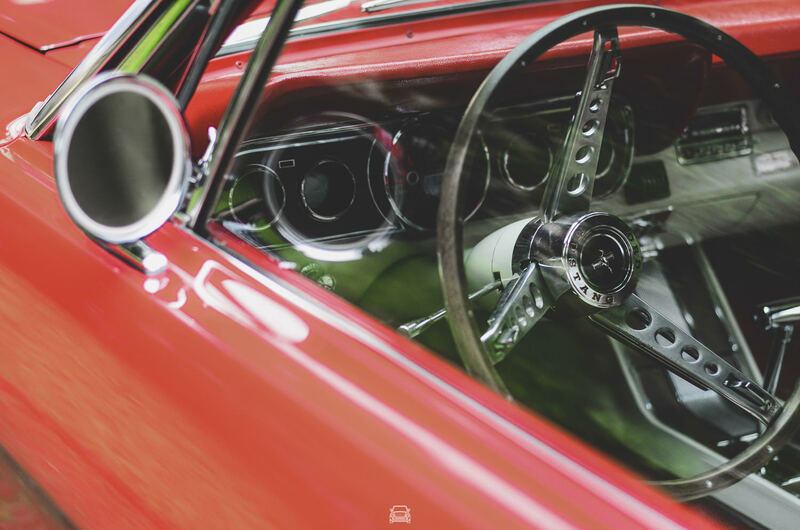 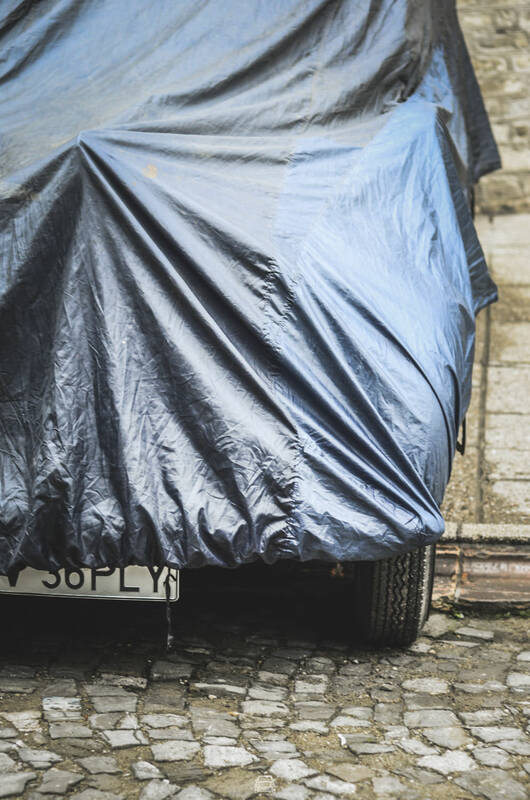 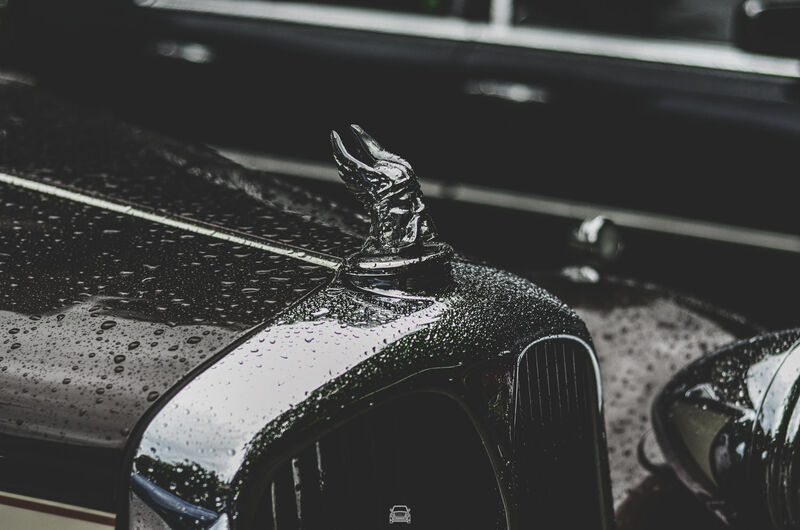 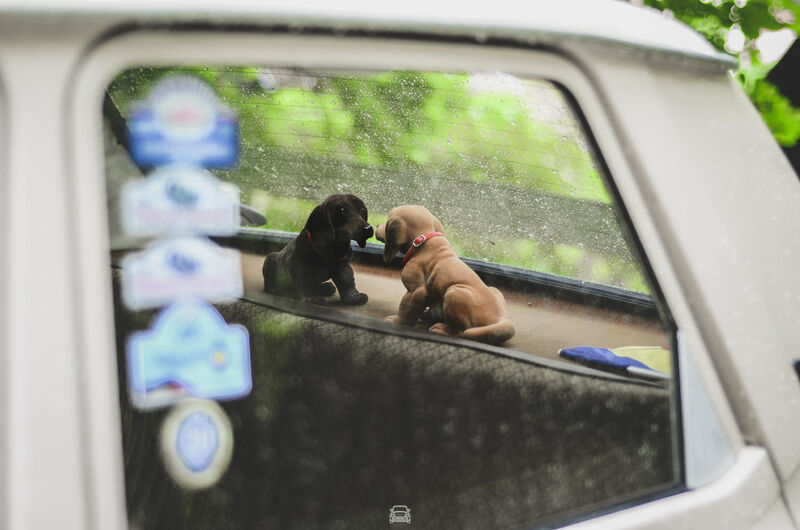 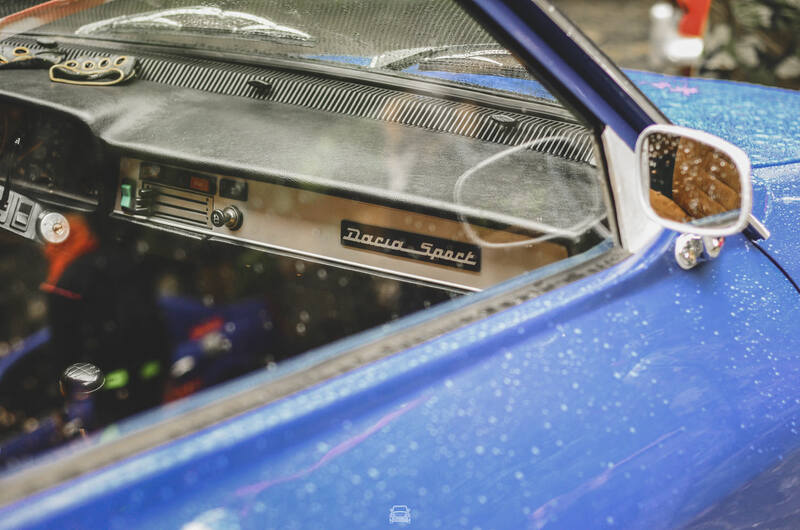 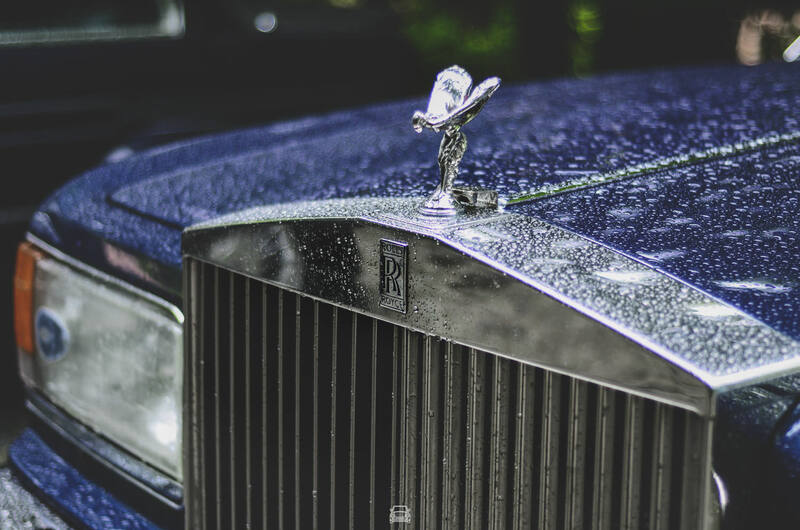 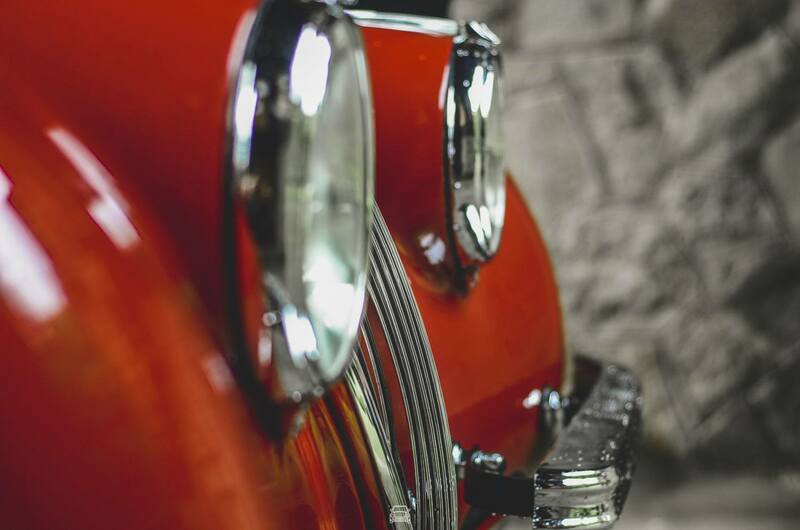 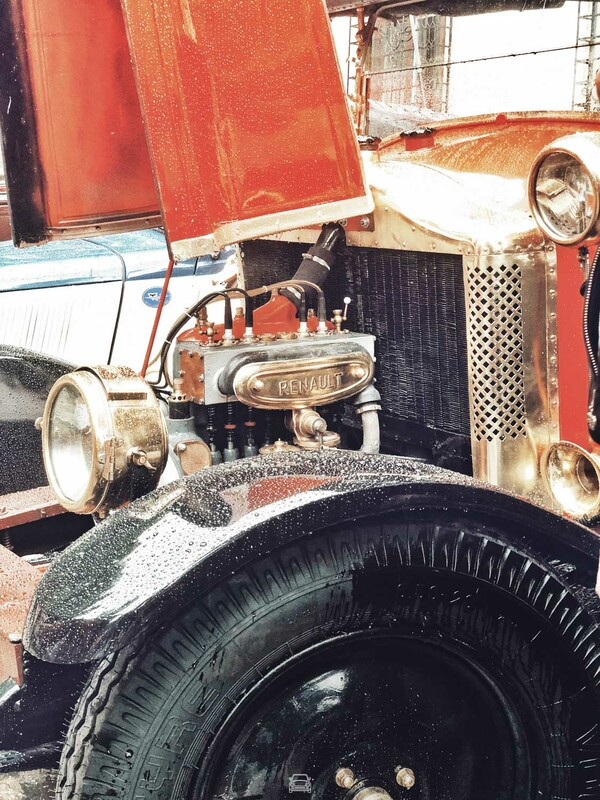 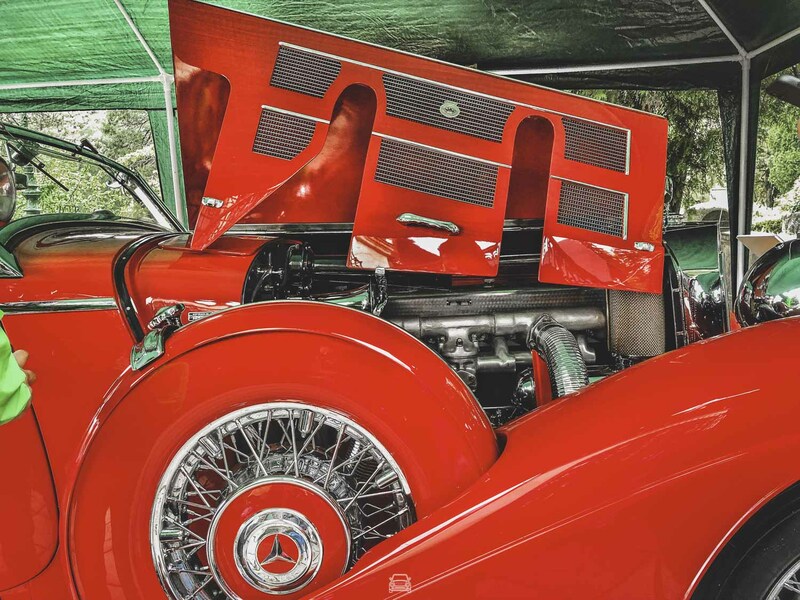 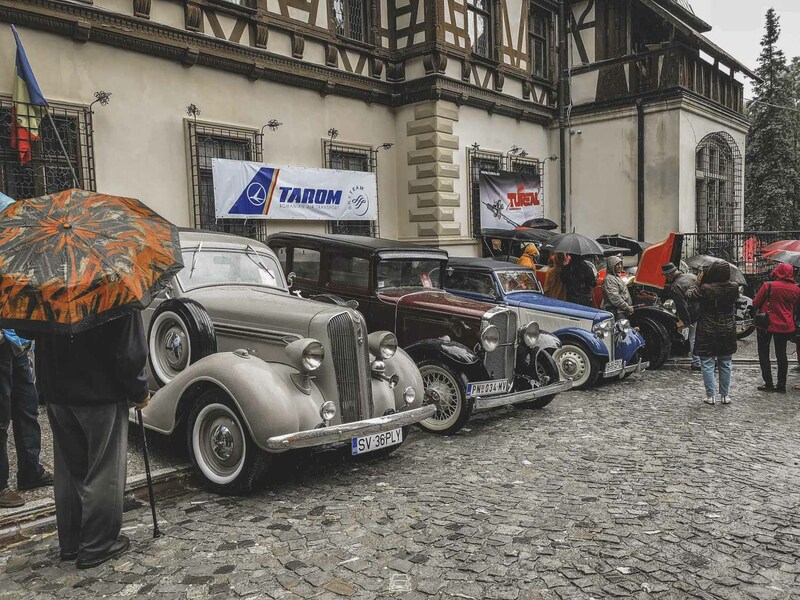 Some of the cars were quietly waiting in their designated spots – the covers were starting to come off with intimate gestures, oozing respect and admiration for the mechanical wonders. 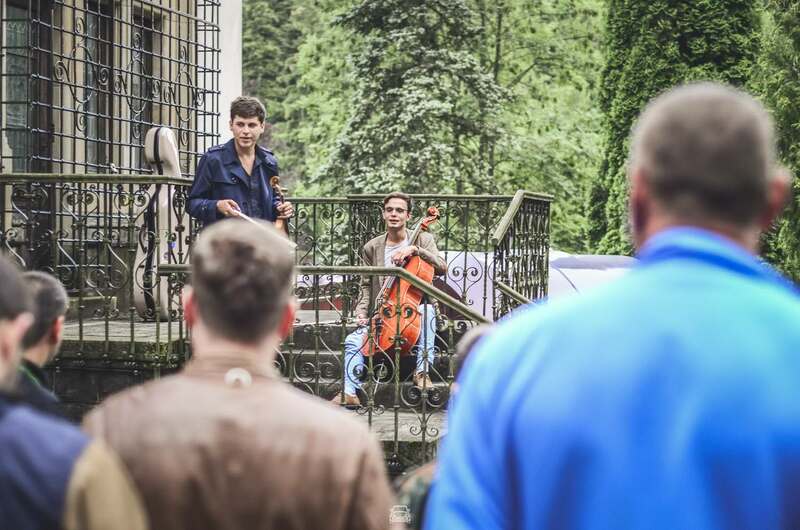 Imagine the scene: the smell of rain, 22 degrees Celsius, 7pm – we, the few privileged admiring at leisure the antebellum jewels on the deco-Fachwerk background of the castle … and then the music starts, a violin and cello duo of unexpectantly vibrant and passionate young musicians. 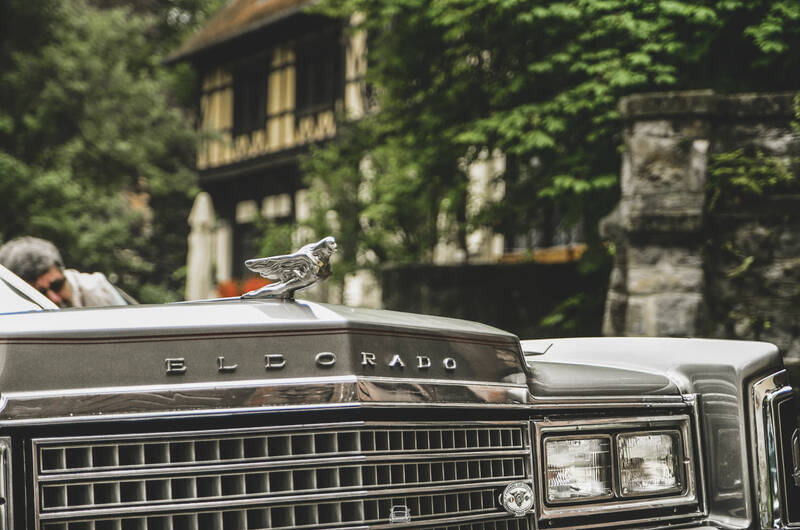 We then spread around the gardens in search of the other illustrious guests, the postbellum cars. 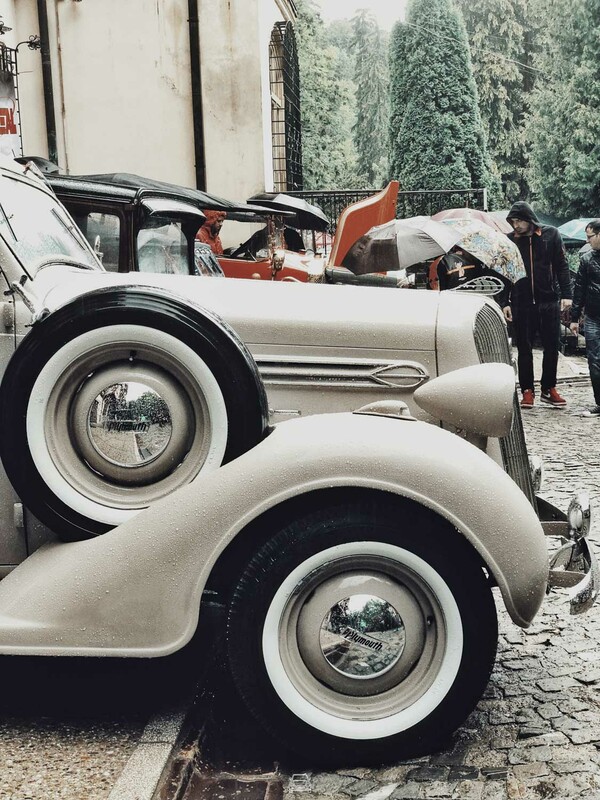 I listened to the stories and information about the cars exhibited there till sundown. 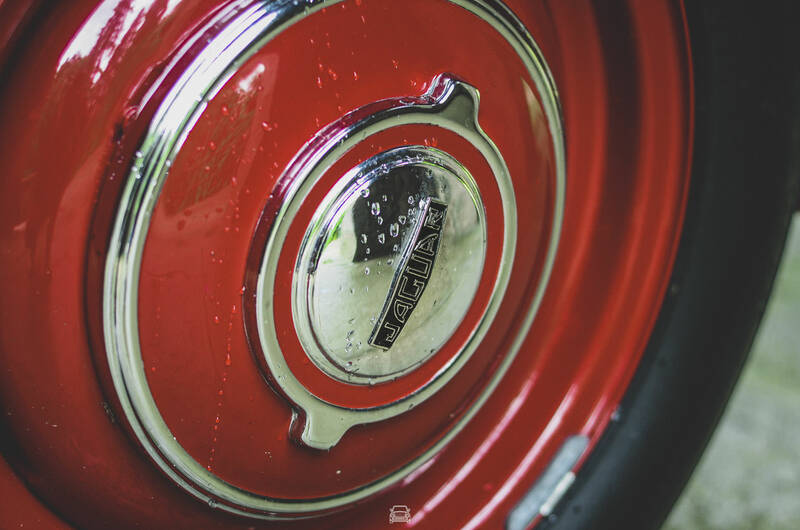 The evening continued at Carol Bierhaus with dinner and a wine tasting offered by the Serve winery, on the same dynamic notes from the talented musicians. 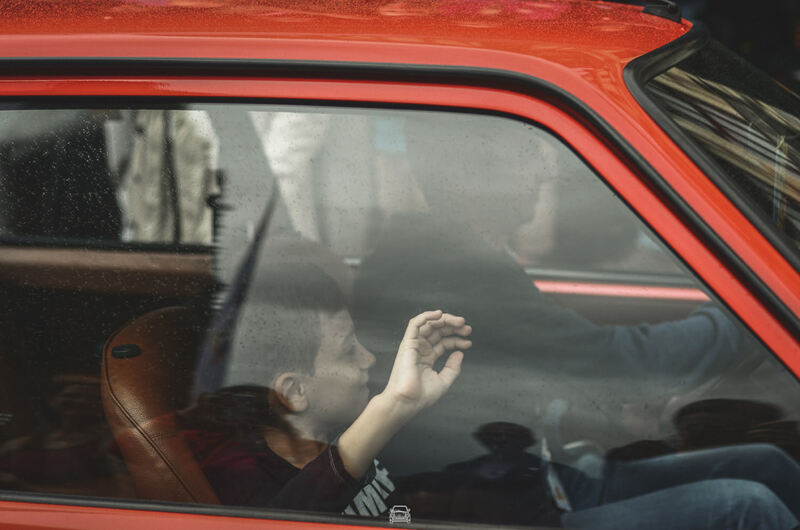 I went up to the hotel room quite late and I started editing a selection of photos from the CES preview. 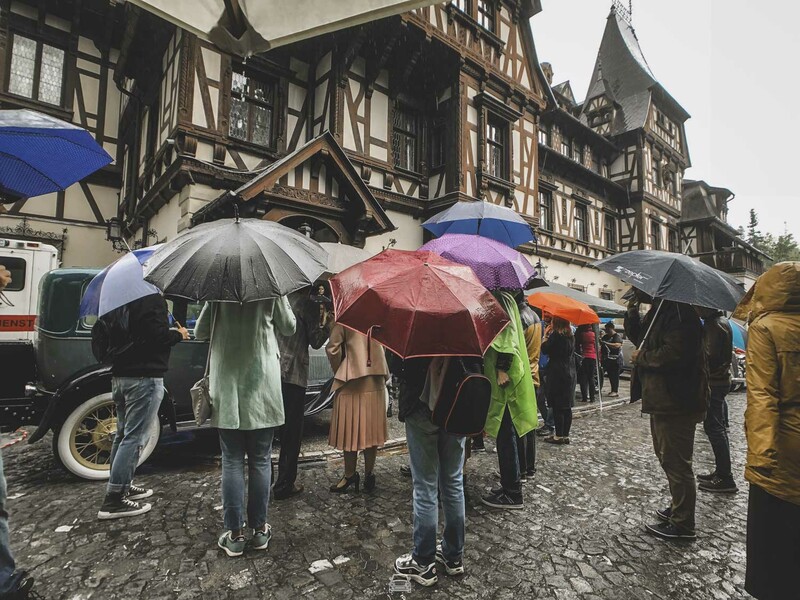 It was pouring down coldly and dripping, and the sky showed no sign of benevolence. 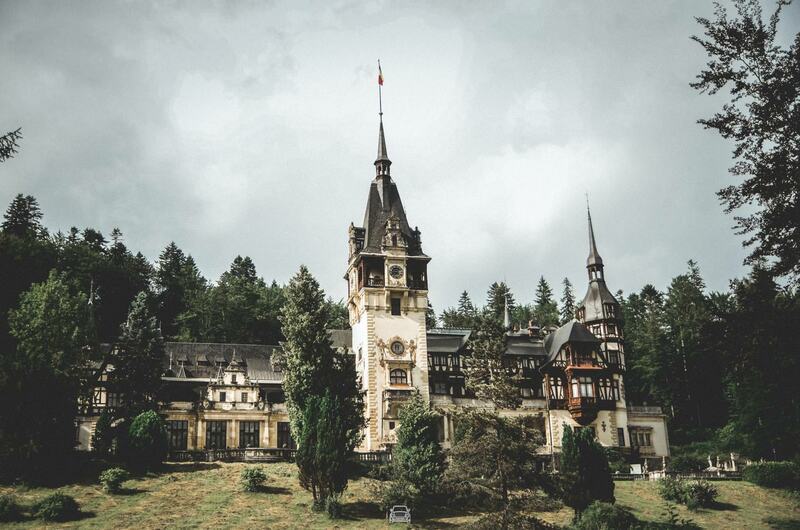 With raincoats and boots, the luckiest of us walked decidedly towards Peleș. 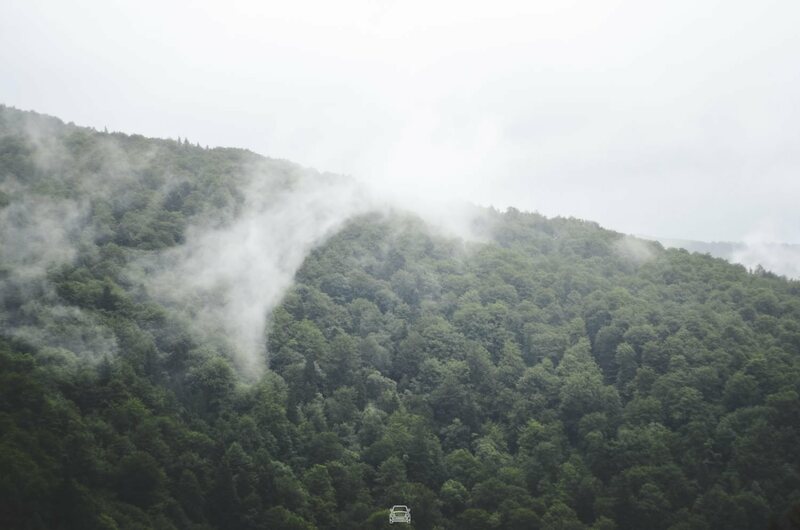 However, once there, something in the atmosphere changed suddenly. 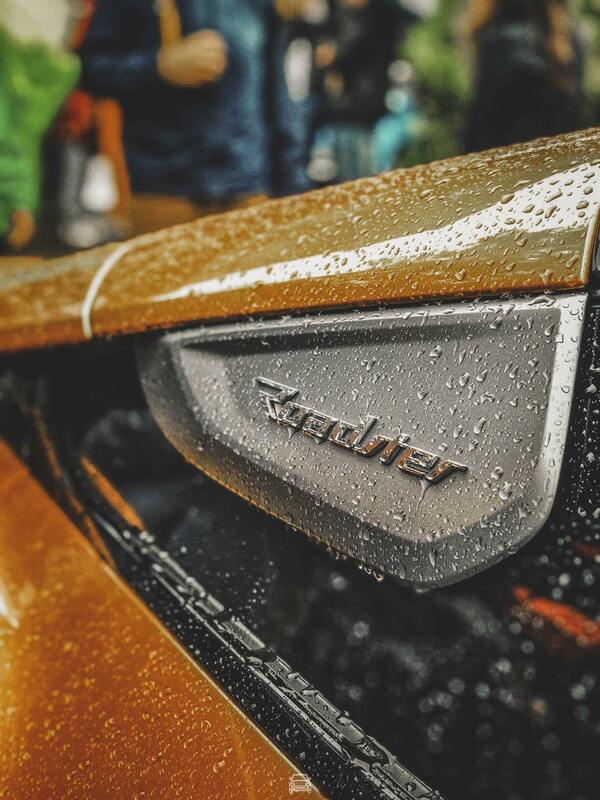 The rain didn’t matter anymore. 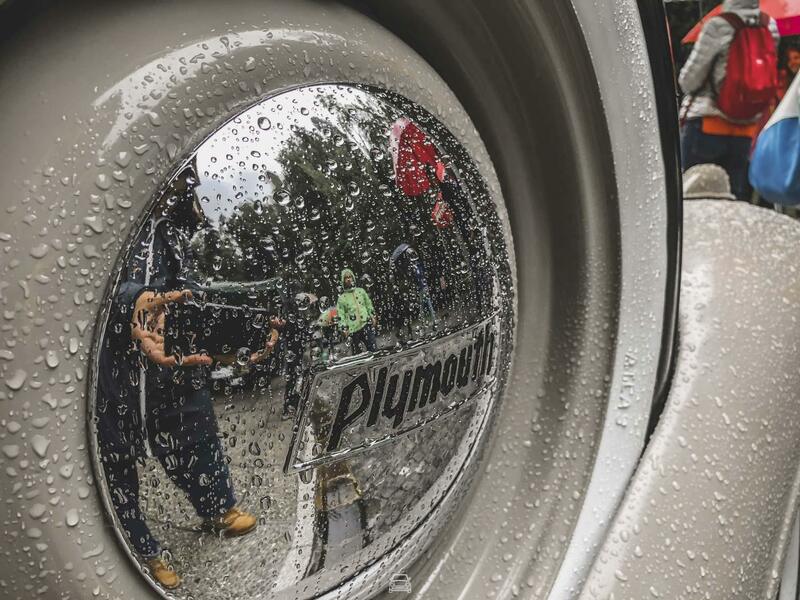 Eyes, ears and souls, pumps next to boots and raincoats next to dresses, we were all entranced by the magic of the moment. 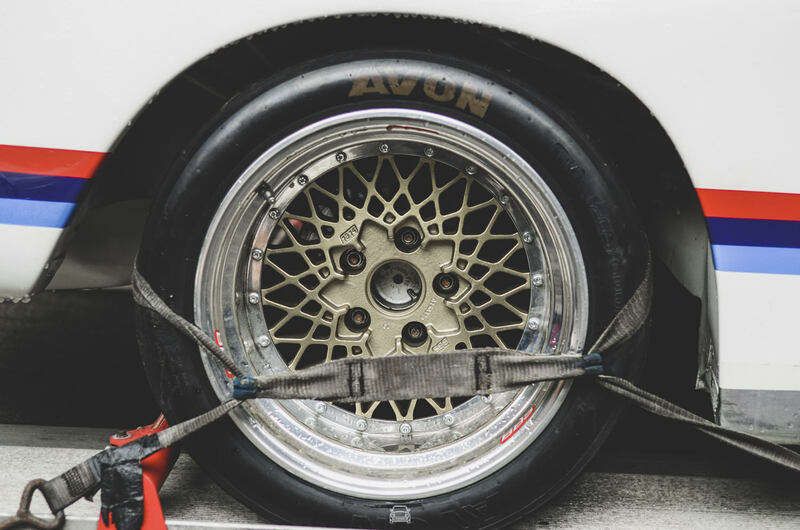 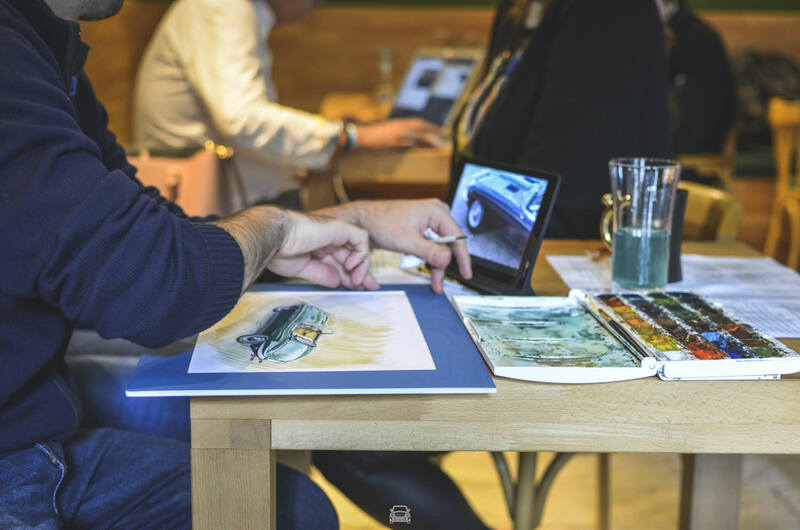 As Michelin well said – we were United by Passion. 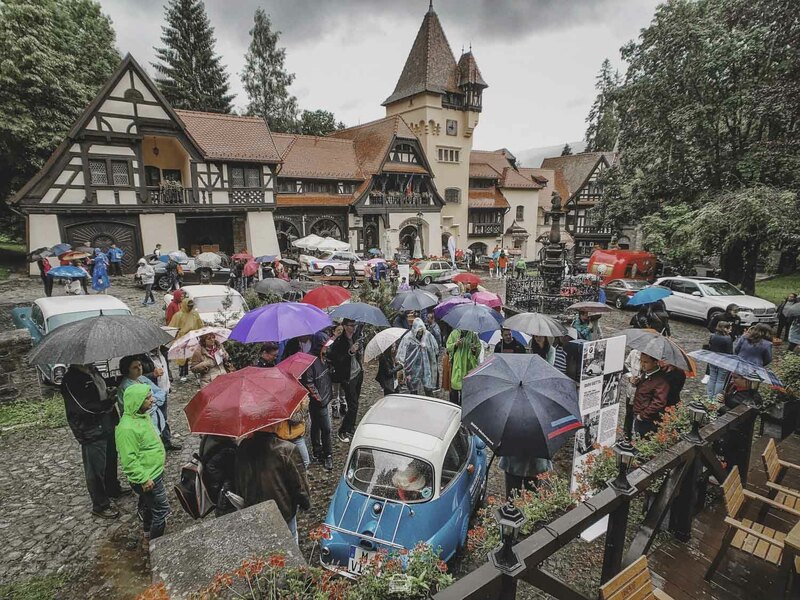 At some point, after 12am, the rain gave up and stopped to enjoy the story time by Șeremet. 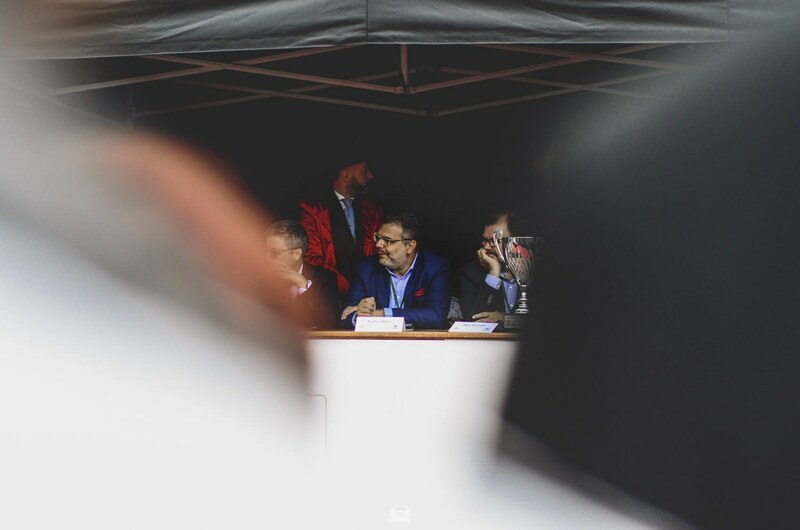 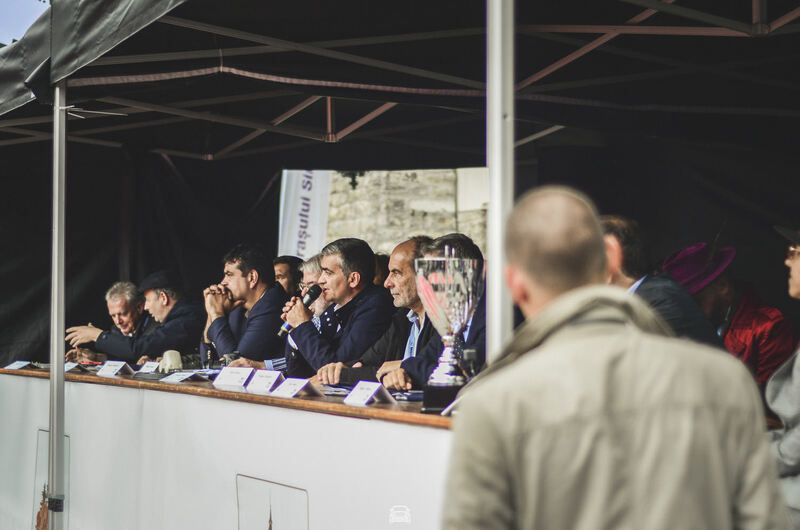 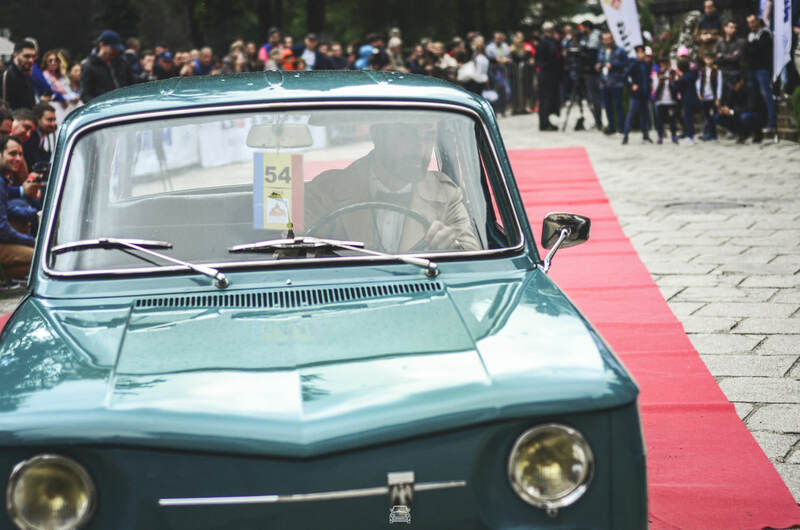 The sun came up just long enough to shine into the eyes of the jury members presiding the parade of the 32 cars registered in the competition. 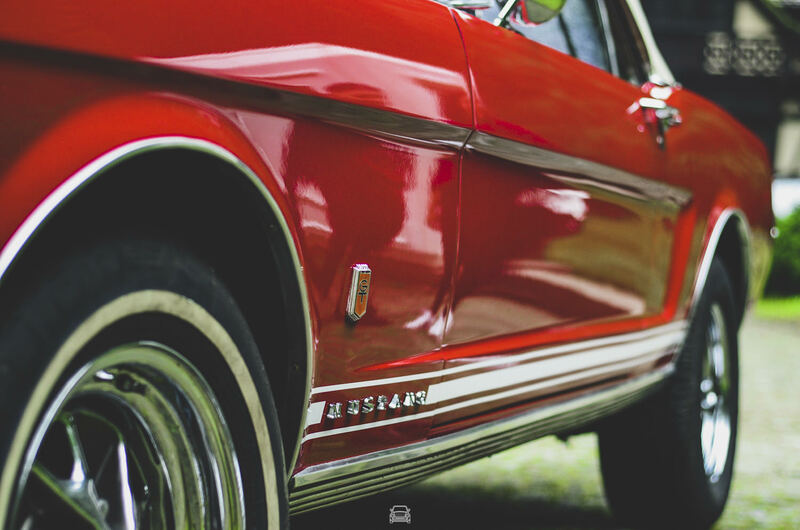 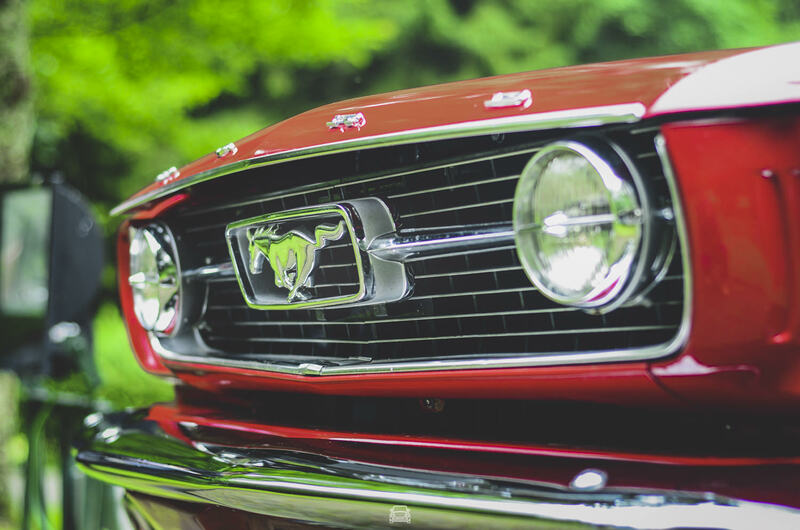 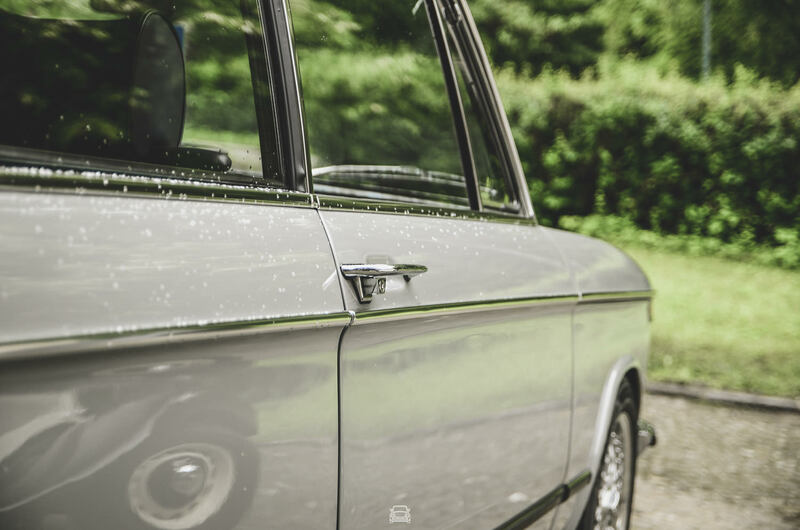 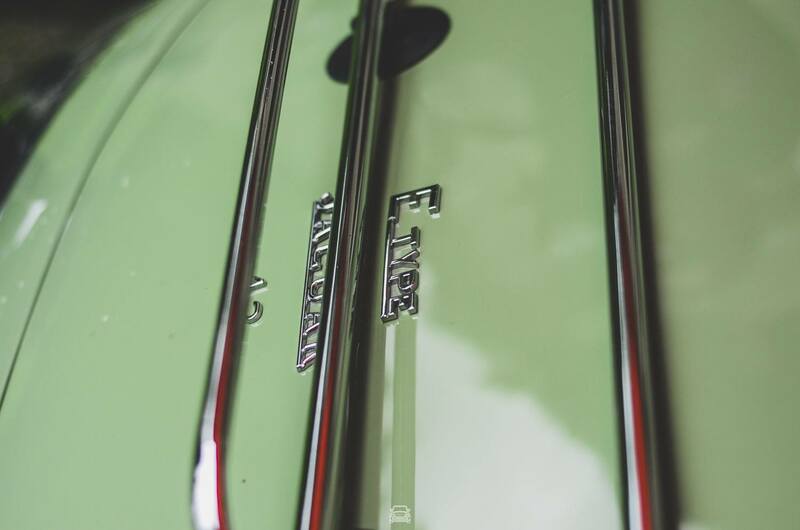 The impeccable chrome was glistening proudly, reflecting the smiles of those around. 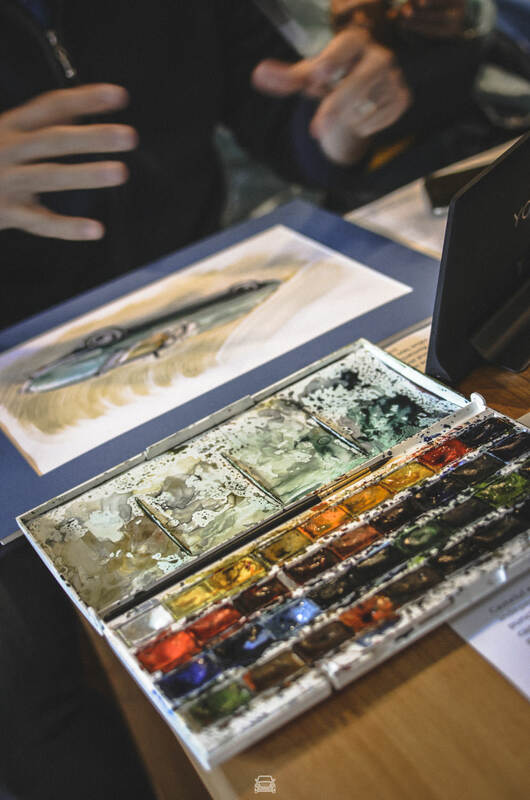 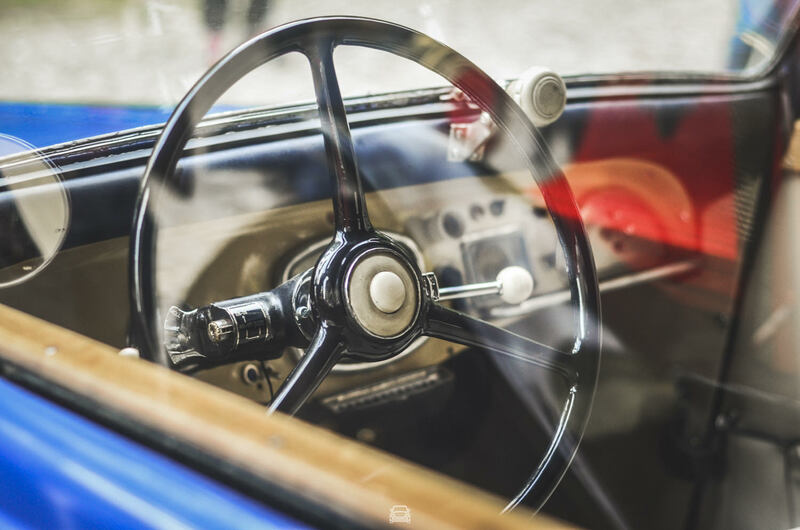 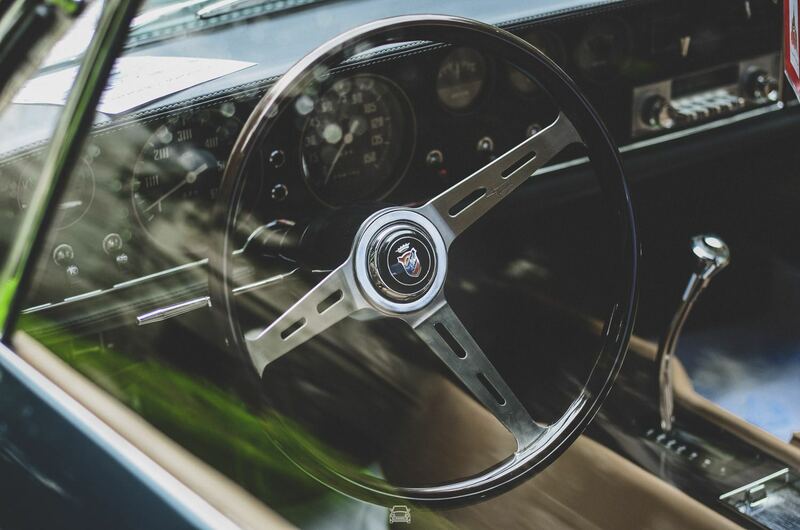 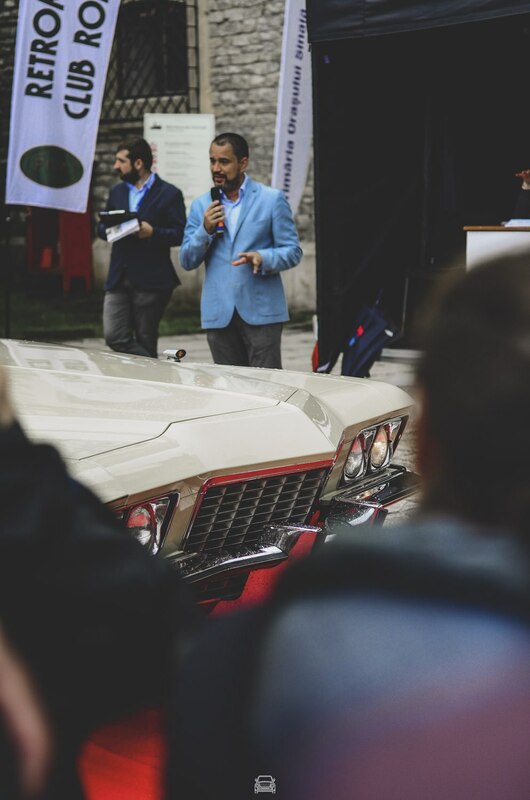 The jury already analysed the cars in detail – the restauration method, how truthful they were to the original model, the quality and provenance of the materials and the overall look of the historical vehicles. 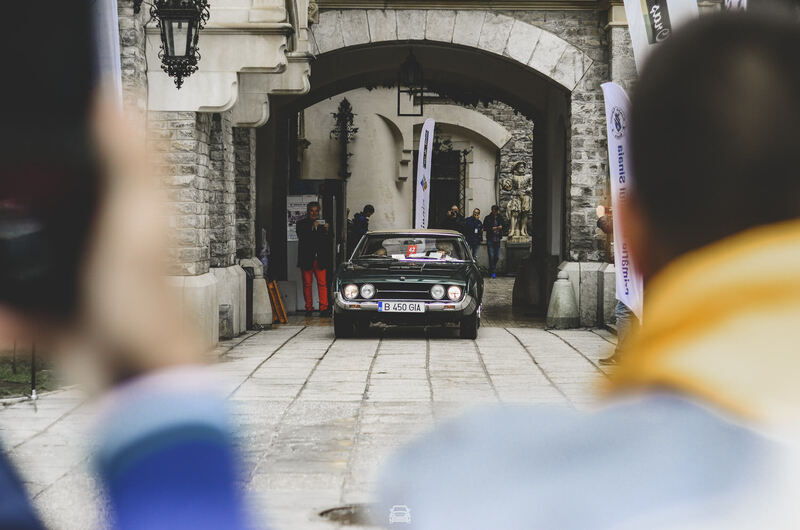 The result was no longer the issue: it was their time to shine in front of the audience, to give people a chance to enjoy the moment and the infinite pleasure to be behind the wheel of such beauties. 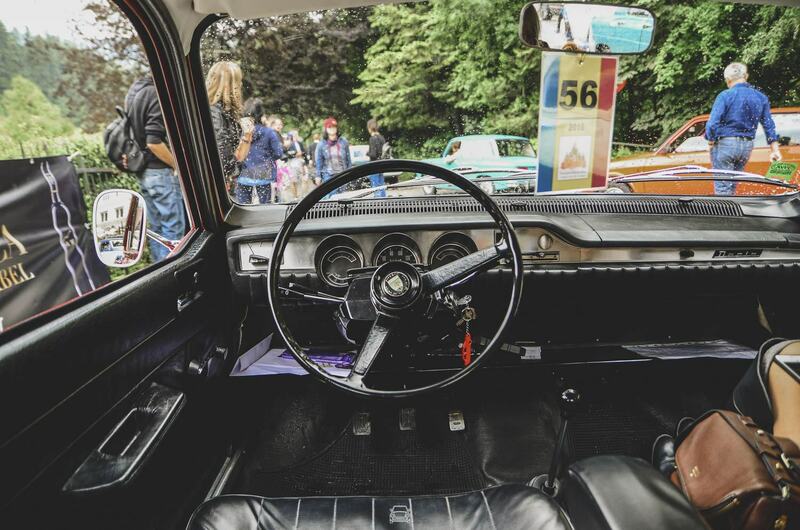 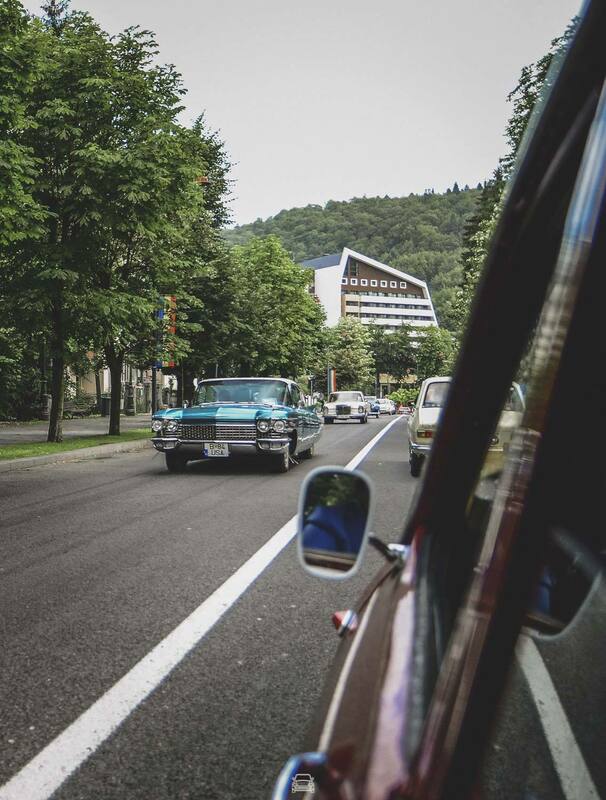 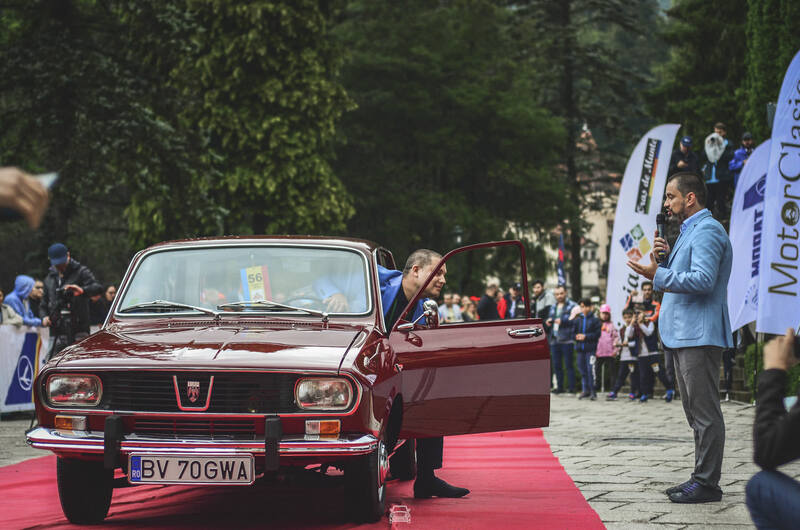 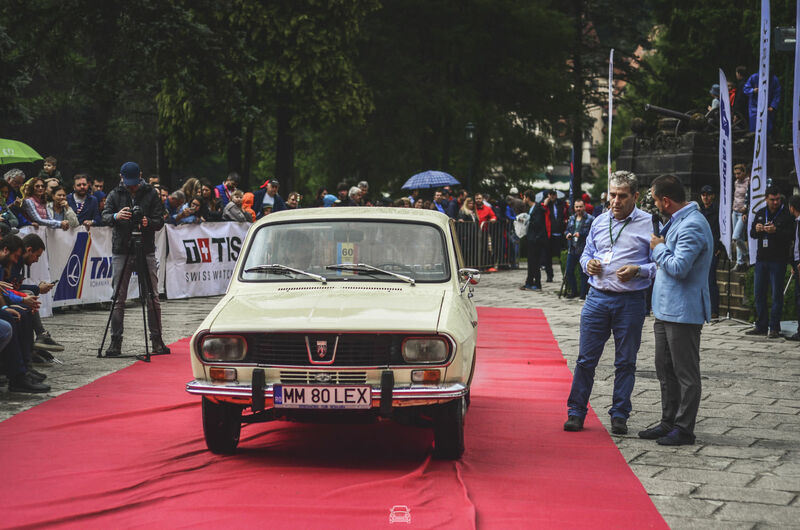 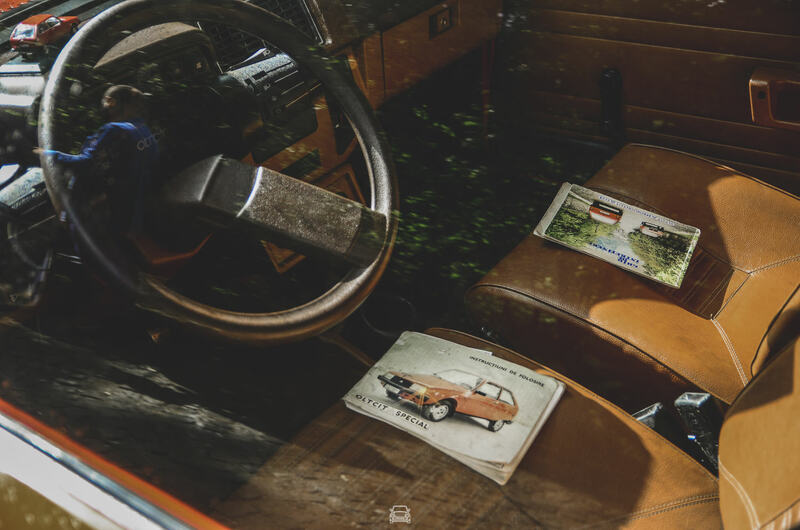 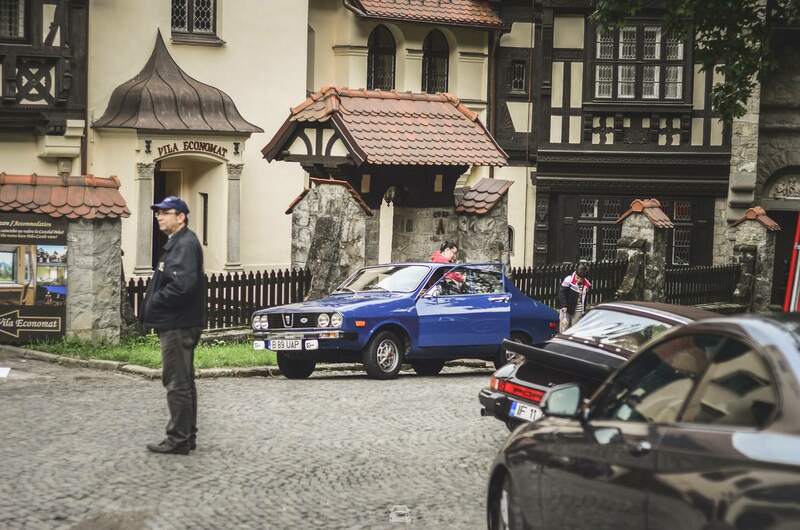 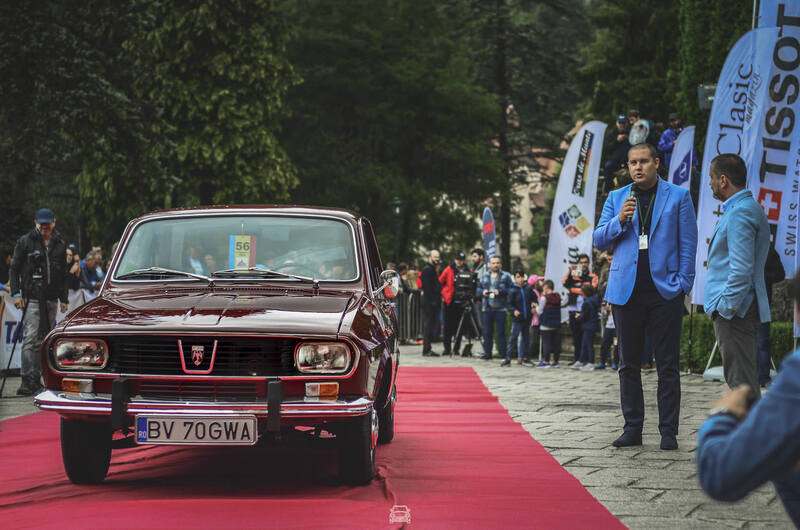 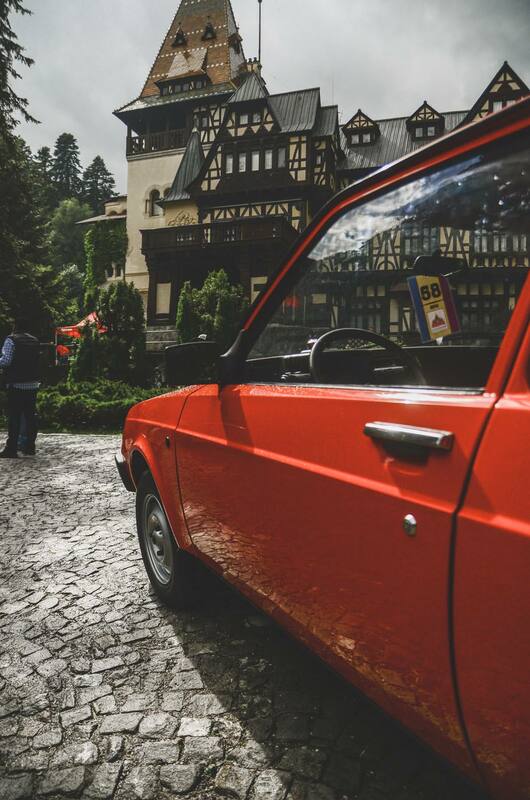 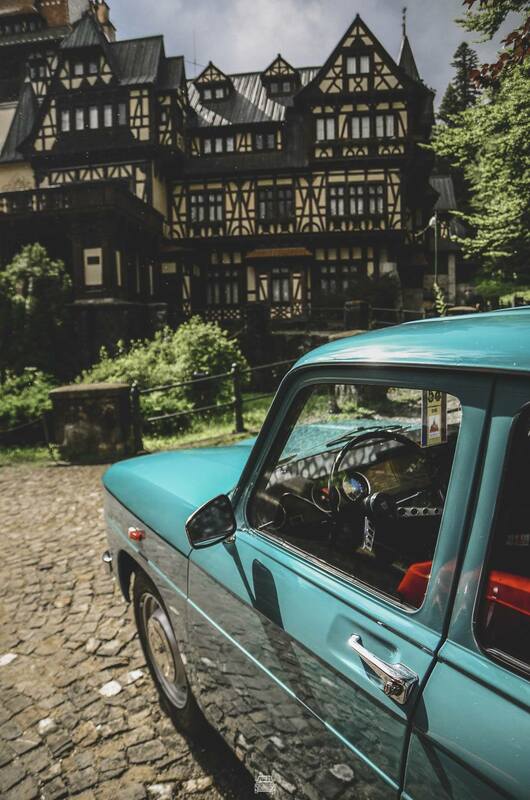 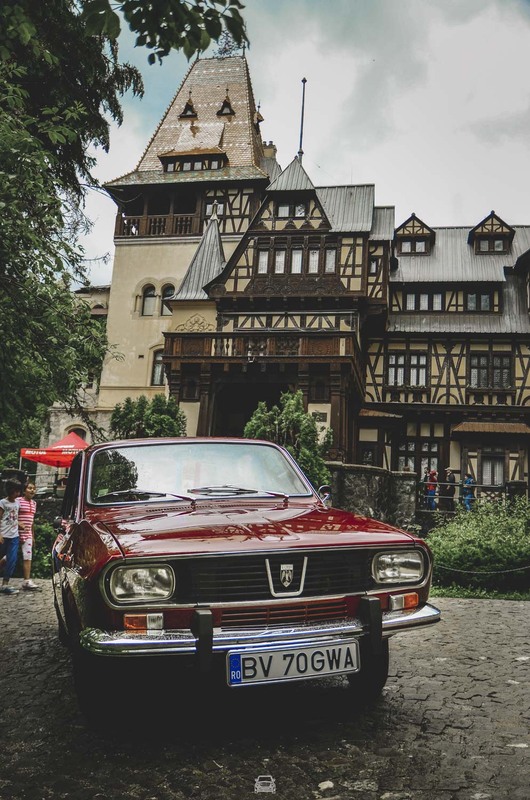 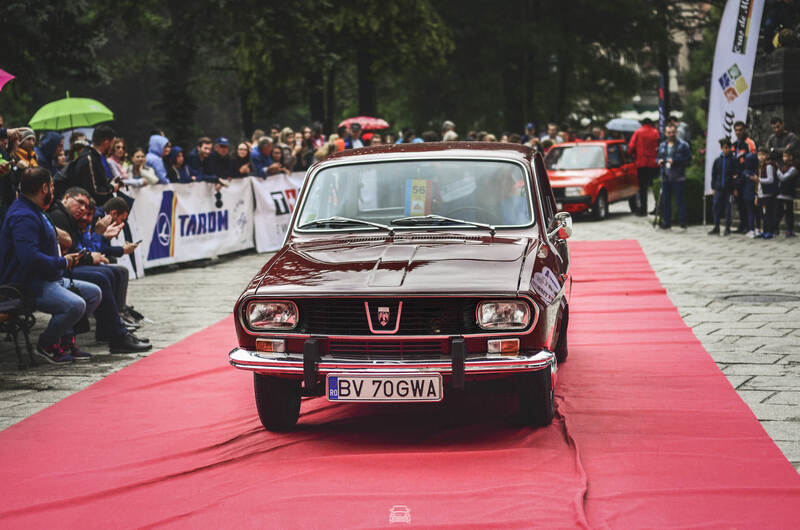 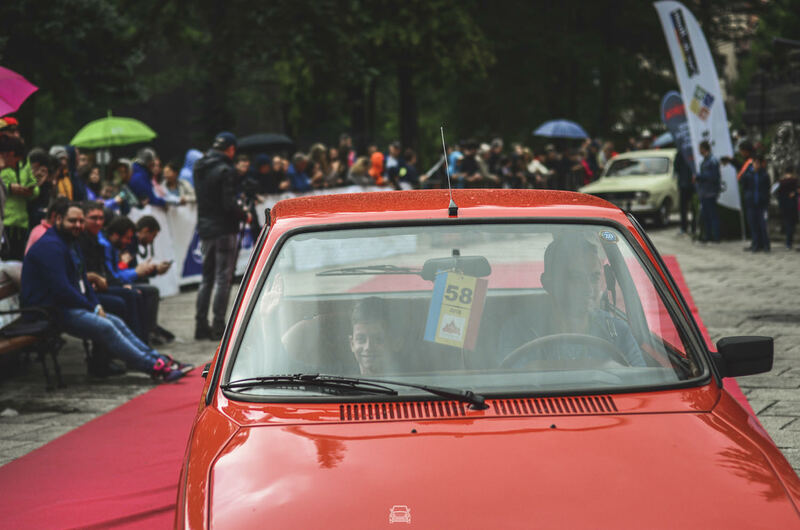 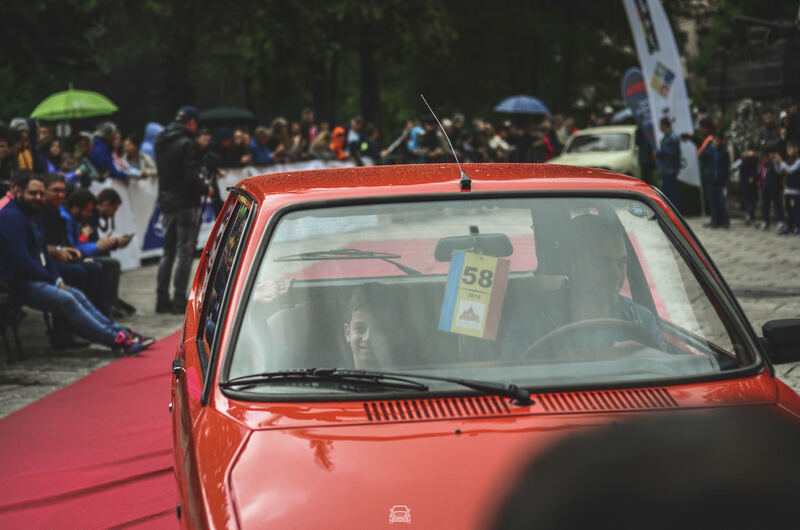 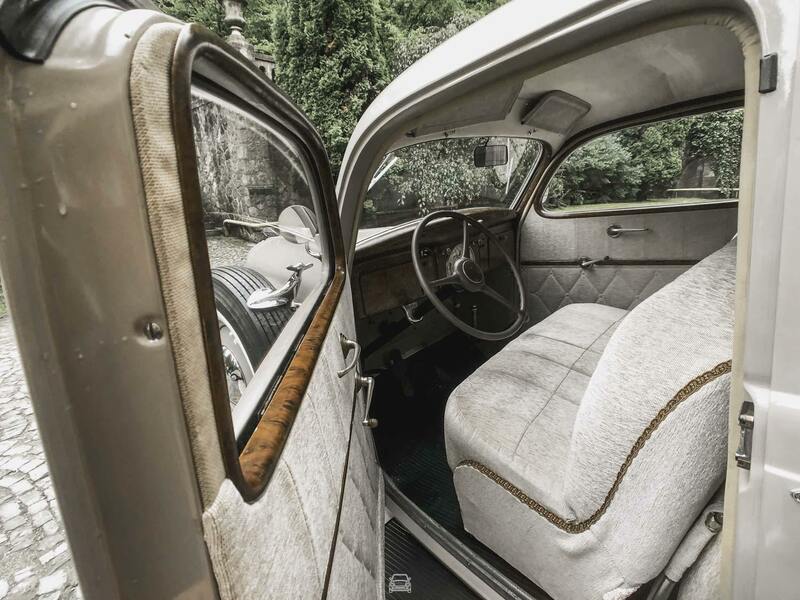 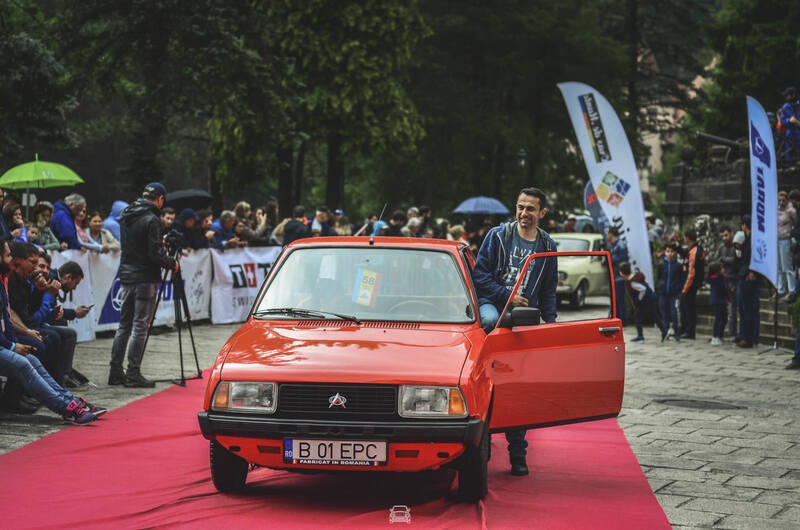 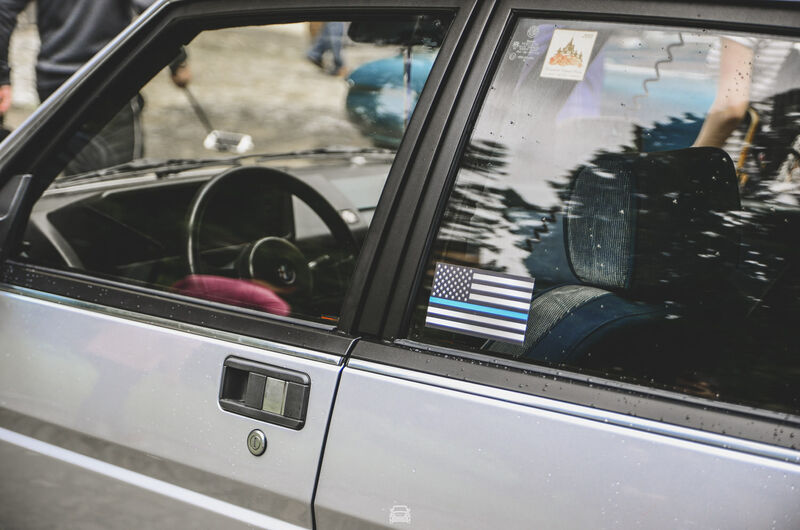 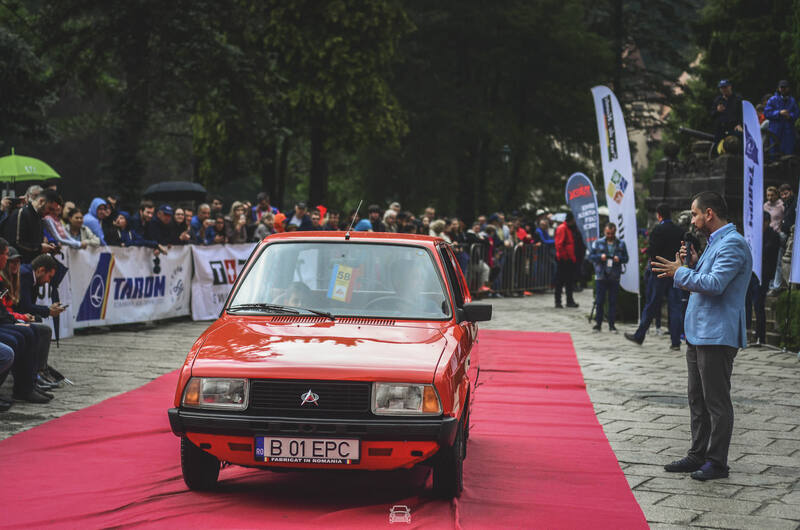 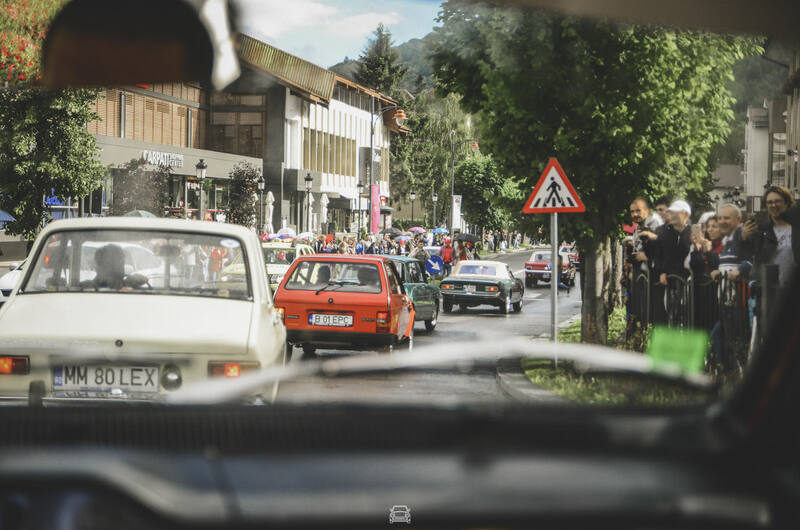 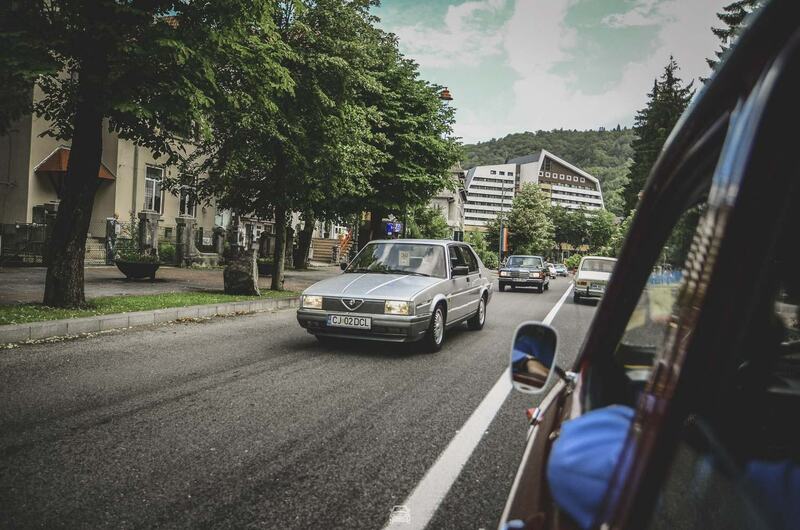 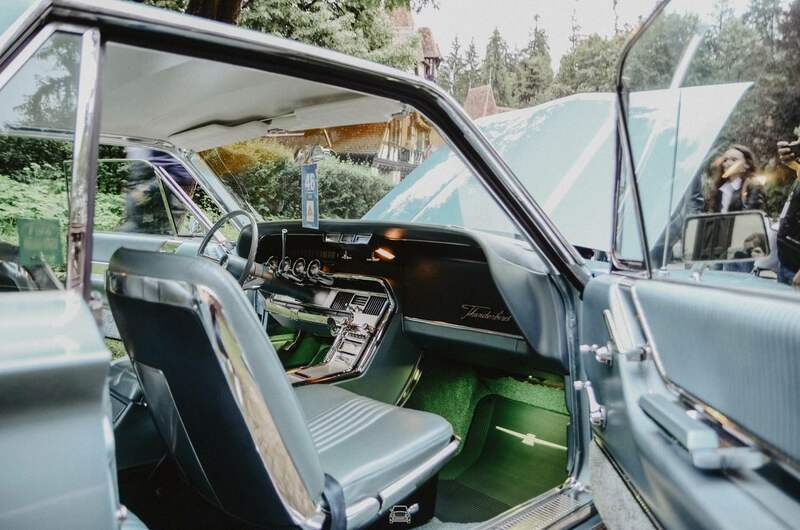 The day ended with the tour of Sinaia, where I managed to get a place right on the backseat of the one of the ‘stars of the show’ belonging to Mihai Zgărdan – a cherry-coloured Dacia 1300, impeccably restored (so the experts say). 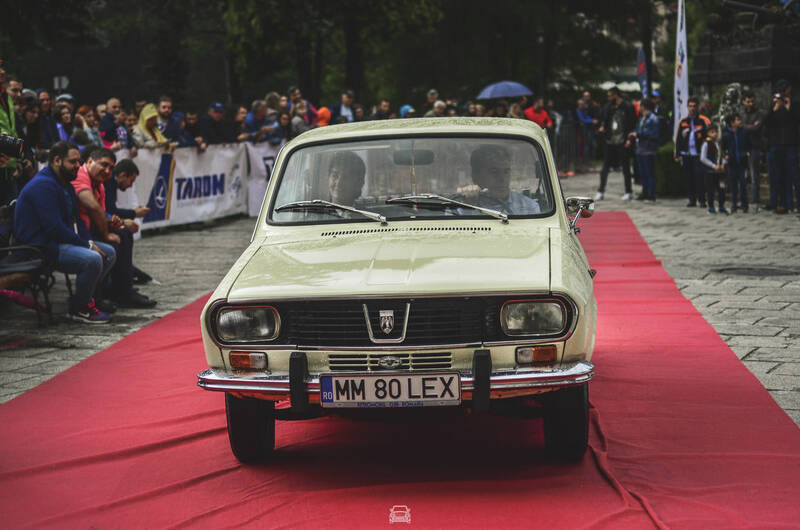 I must tell you about Mihai that he is the most passionate man I have ever met when it comes to Dacia cars. 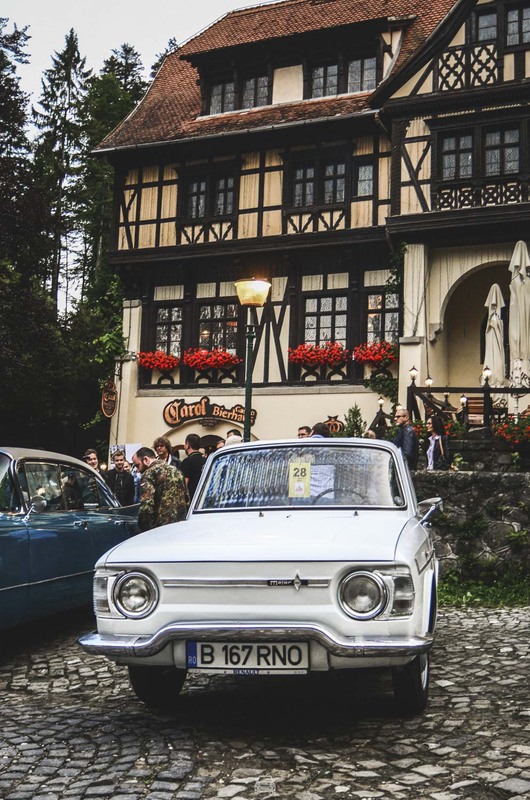 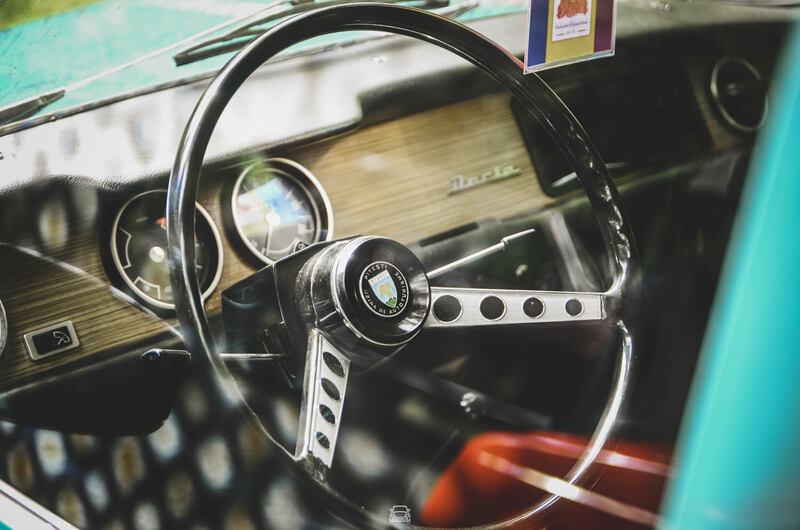 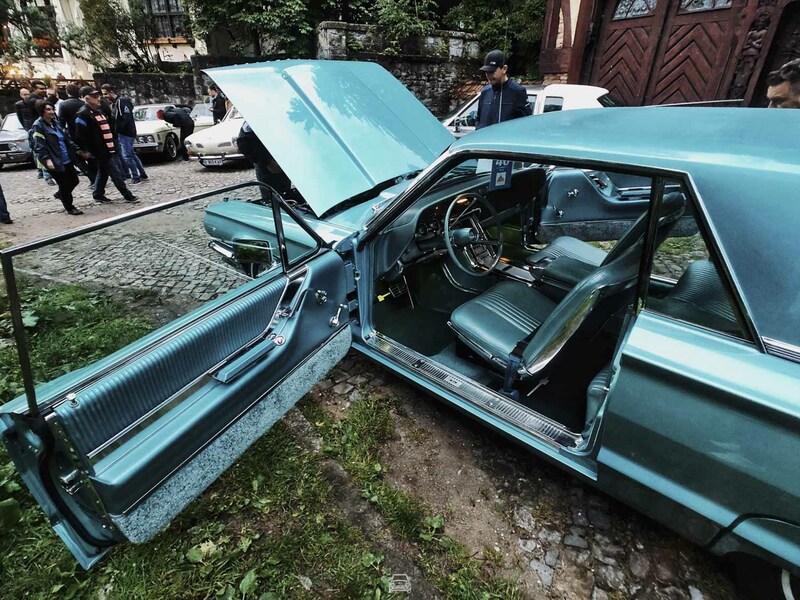 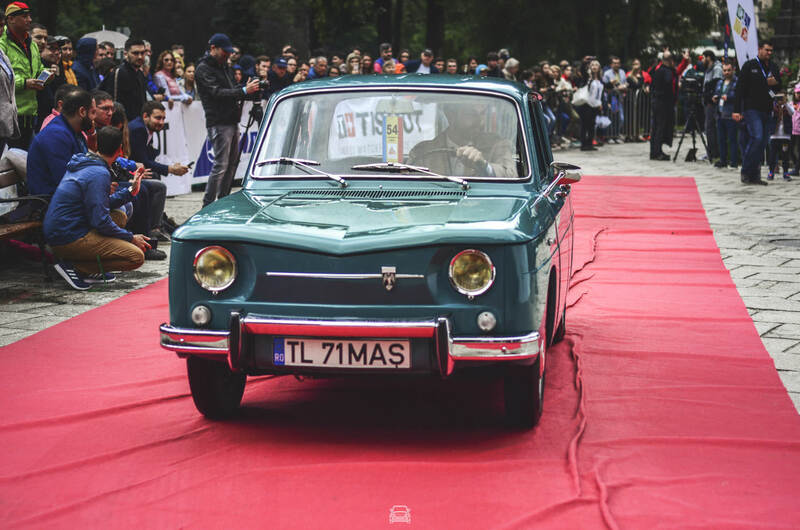 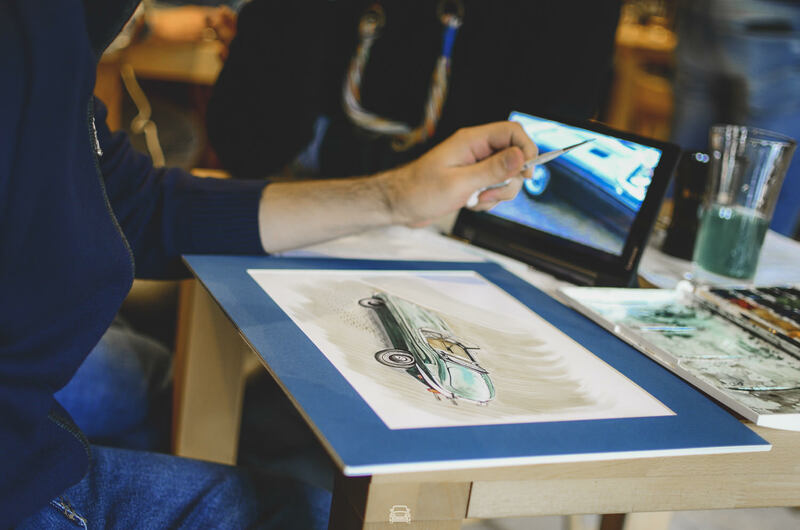 He is the one who, last year, gifted a restored Dacia 1300 as a prize in the lottery organised for the community he created, named Restored in Romania (Restaurat în România). 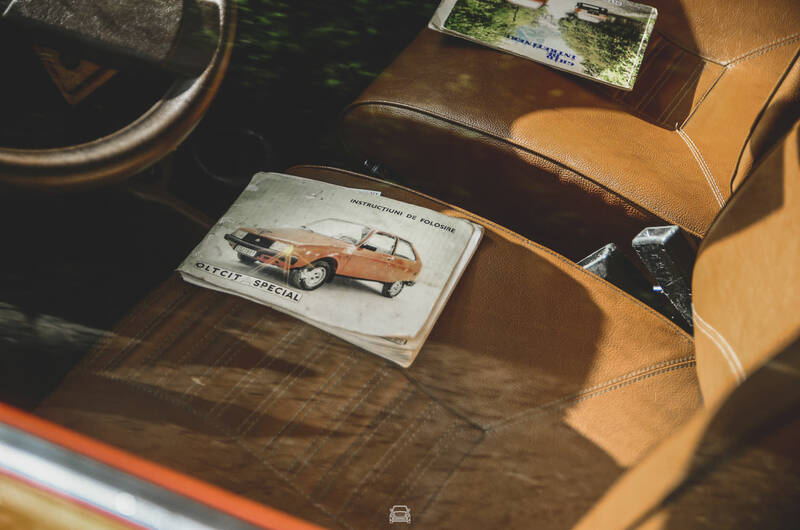 Under the same name you can also find the magazine dedicated to such projects which should be read with interest by the car buffs, because there are a series of interesting editorial changes planned for 2019. 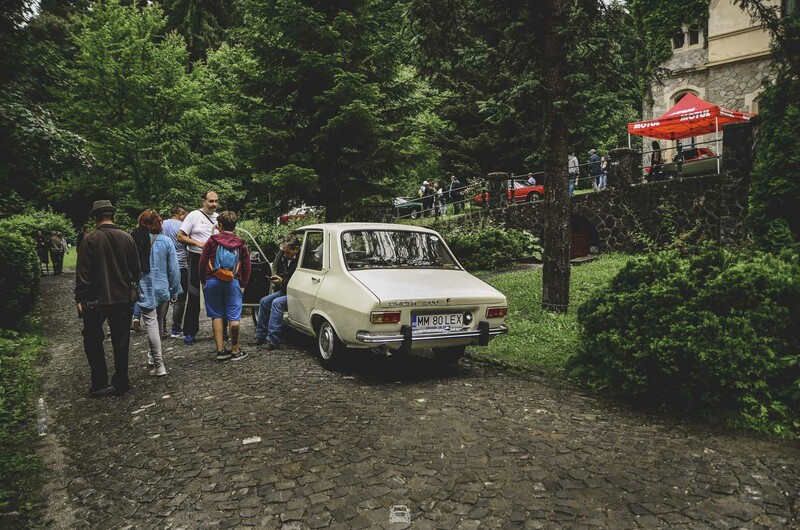 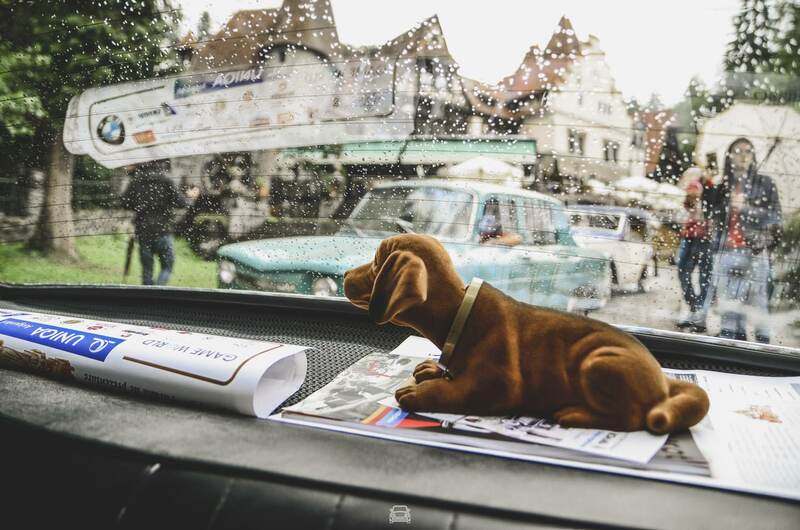 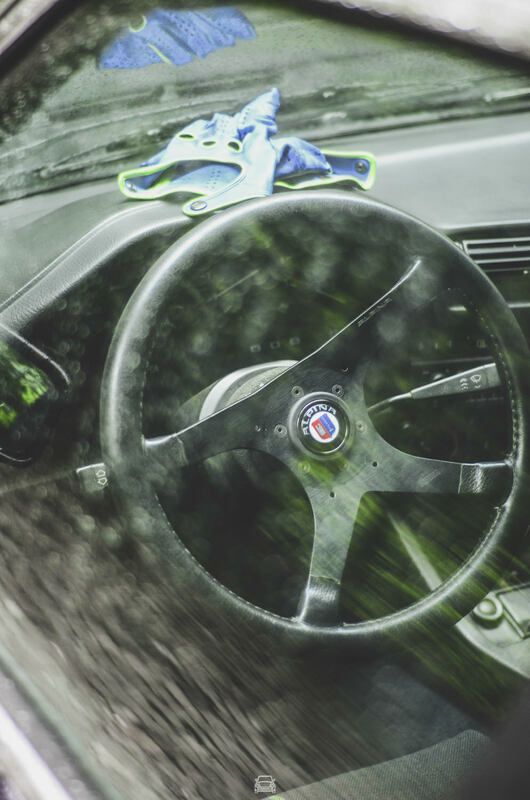 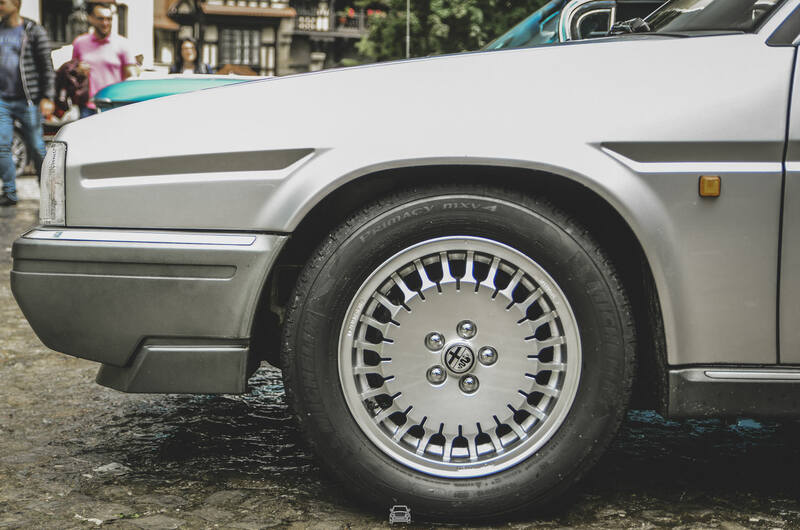 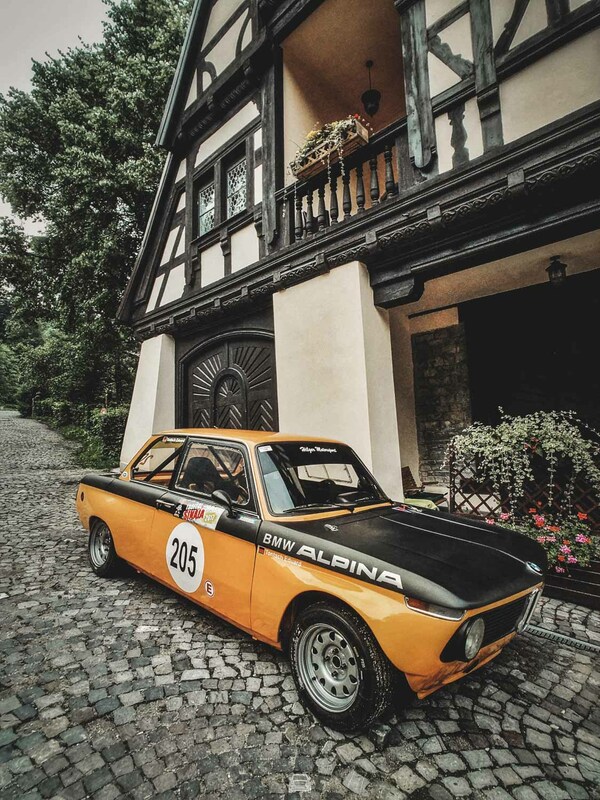 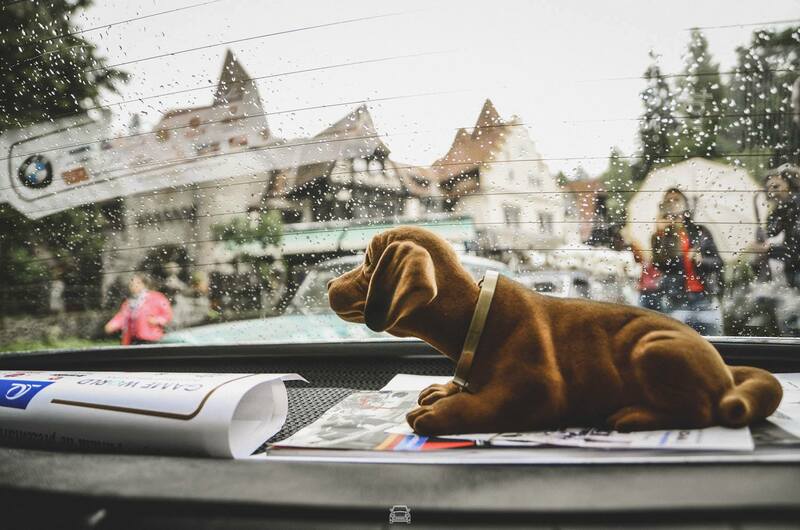 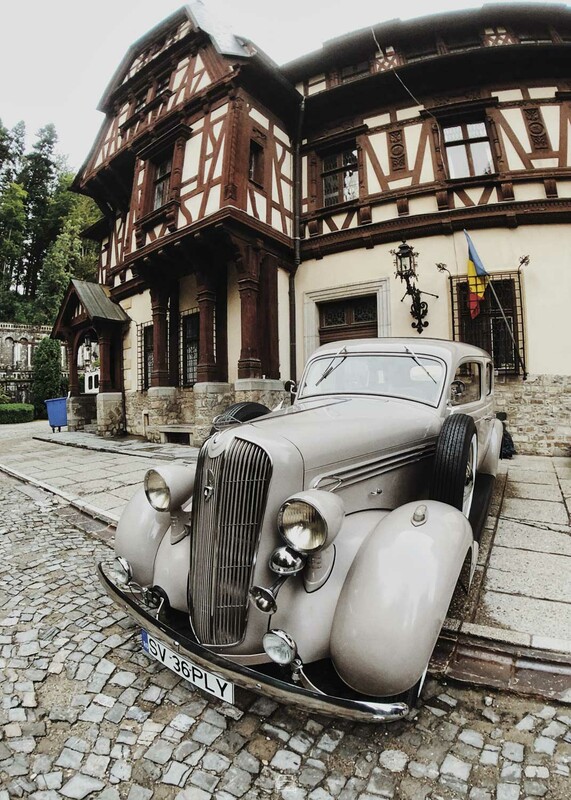 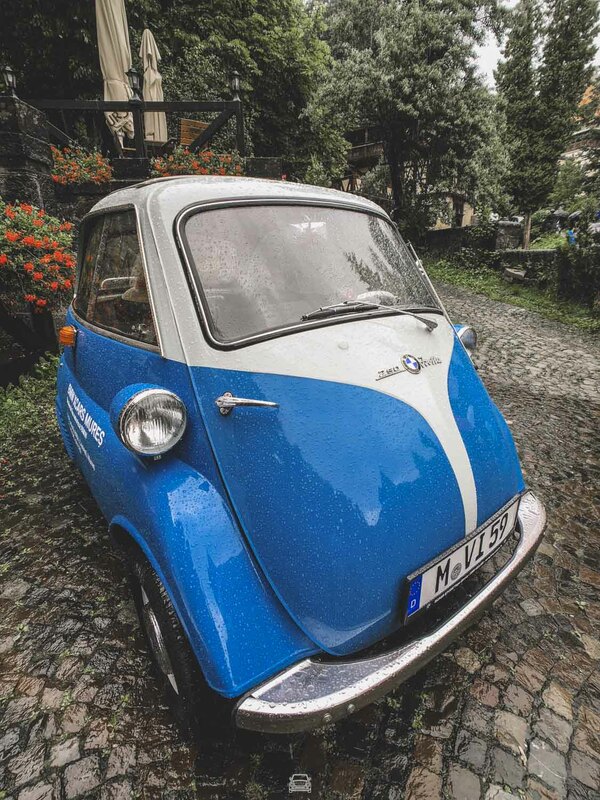 But to come back to the wonderful time machine with which we drove through Sinaia – the tour of the town was another test for the wheeled jewels, one that our Dacia passed with flying colours, despite the #haters. 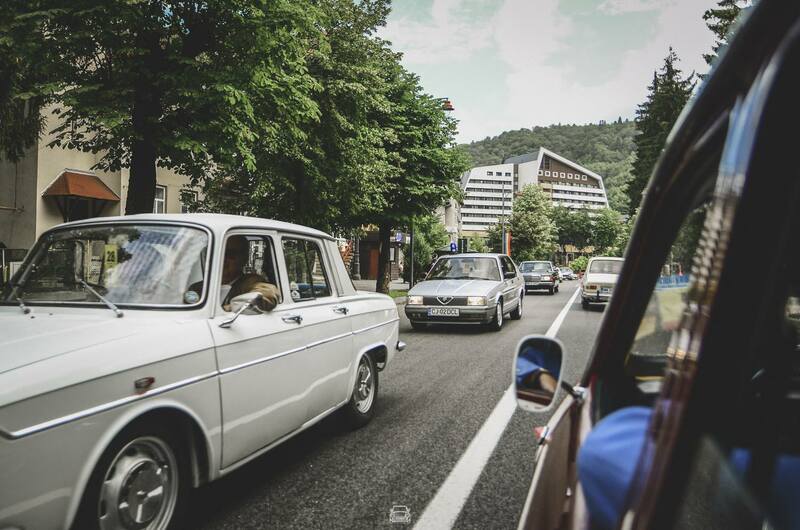 But at least one of the cars wanted to be the centre of attention and stopped mid-road, with some technical issues. 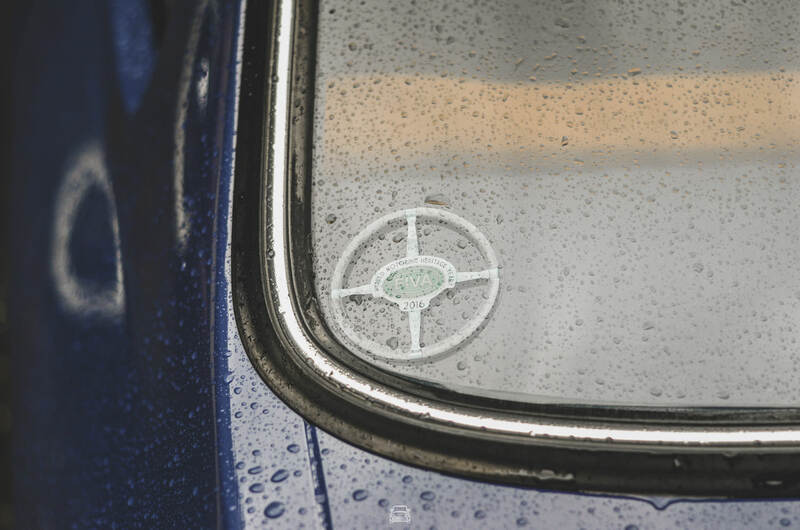 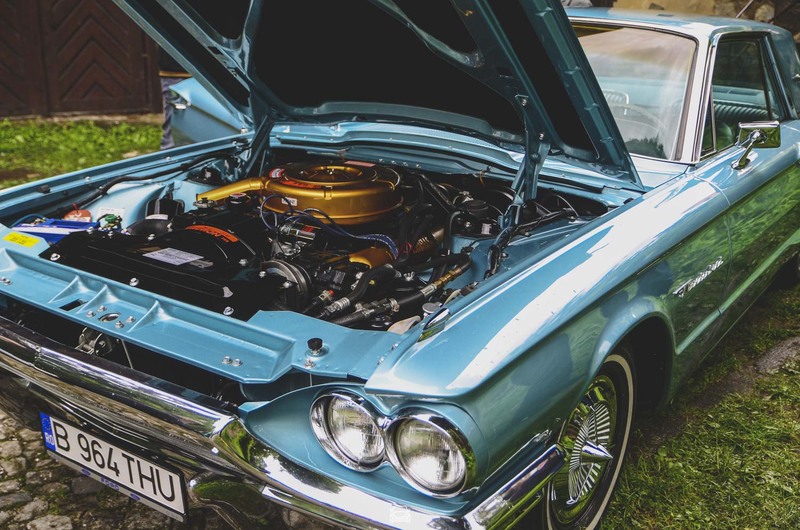 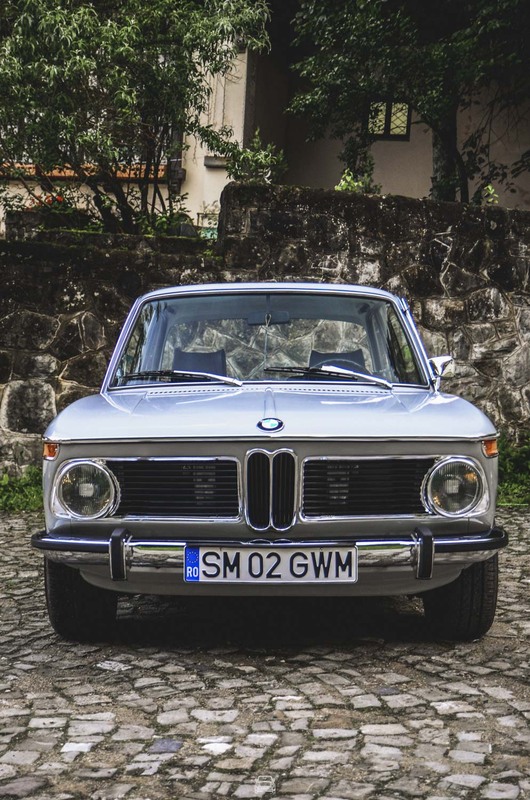 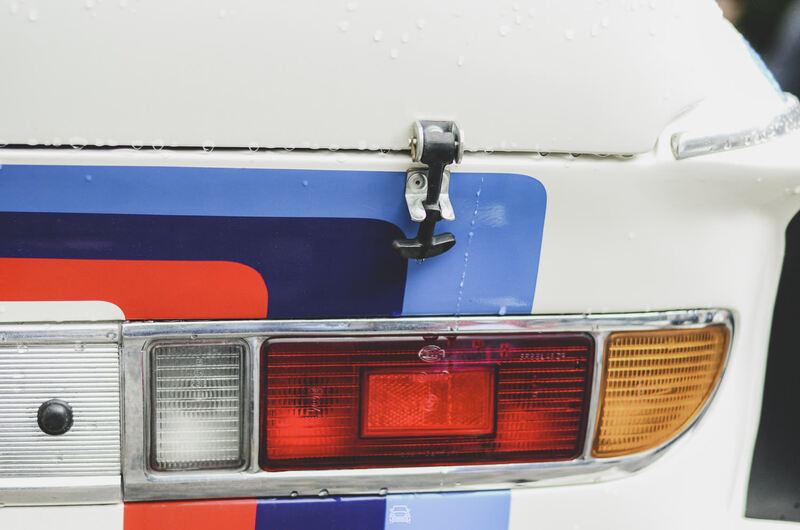 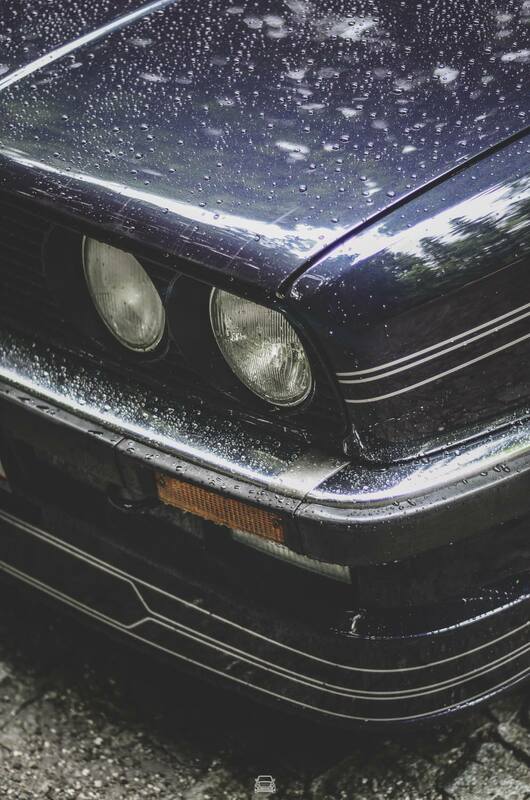 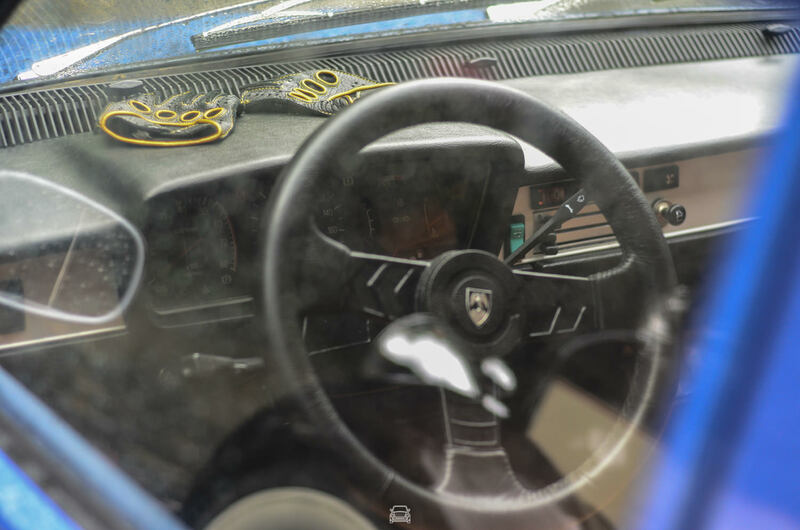 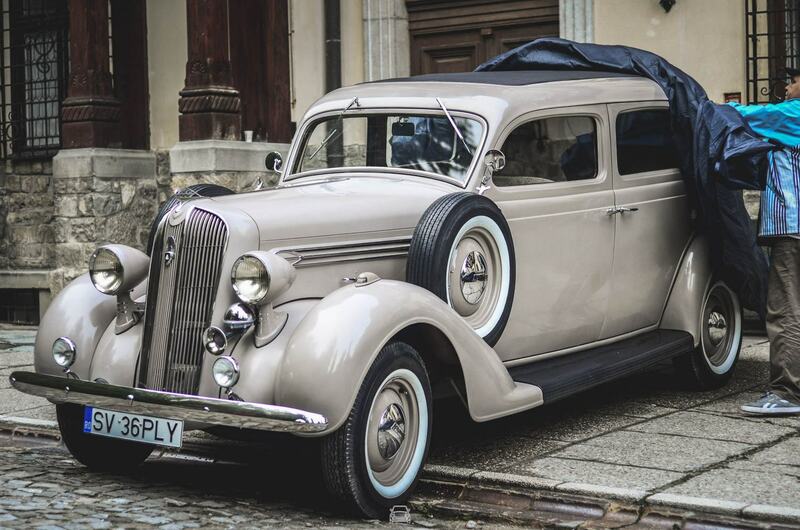 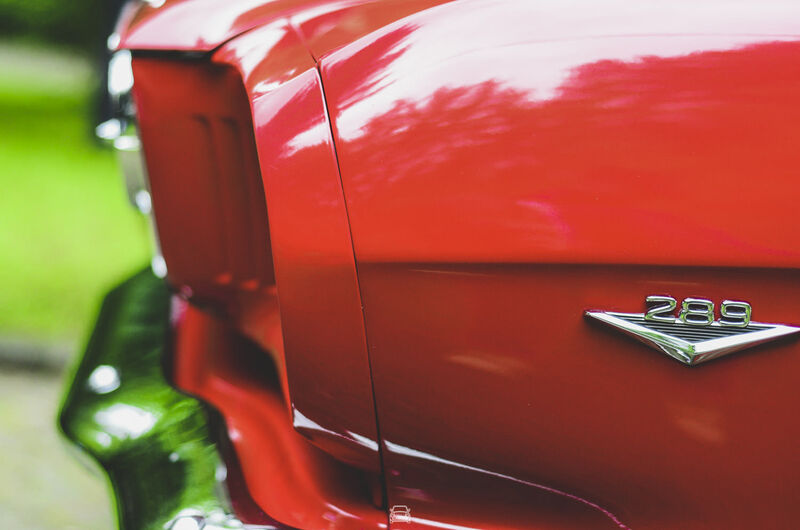 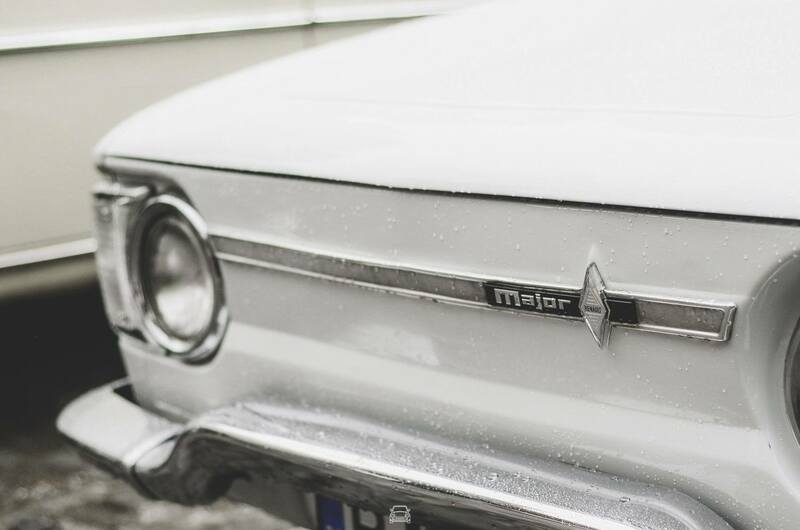 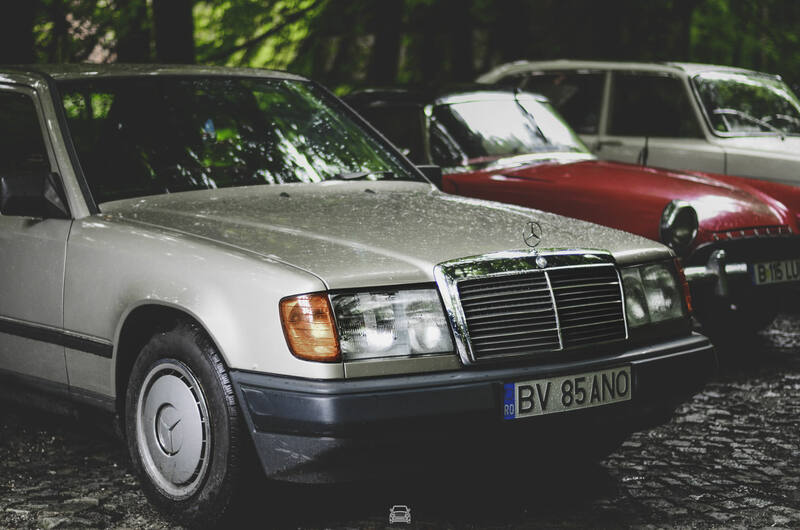 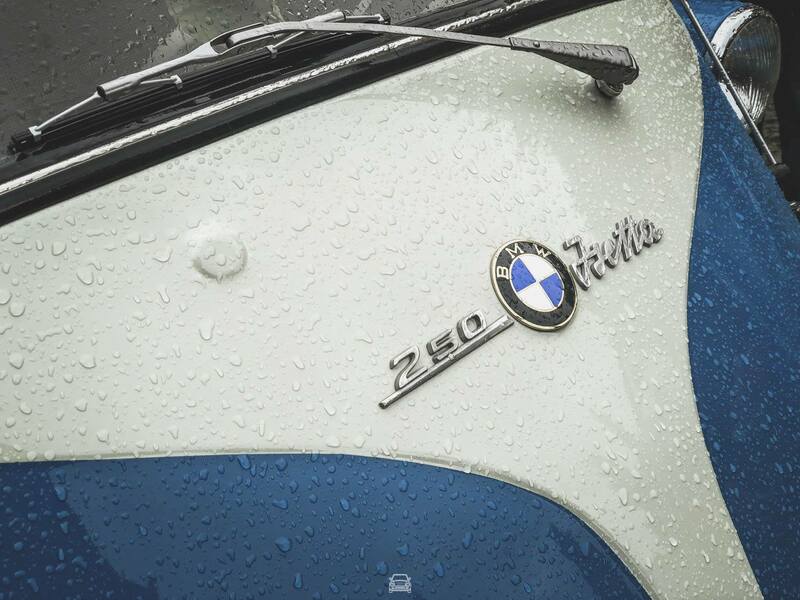 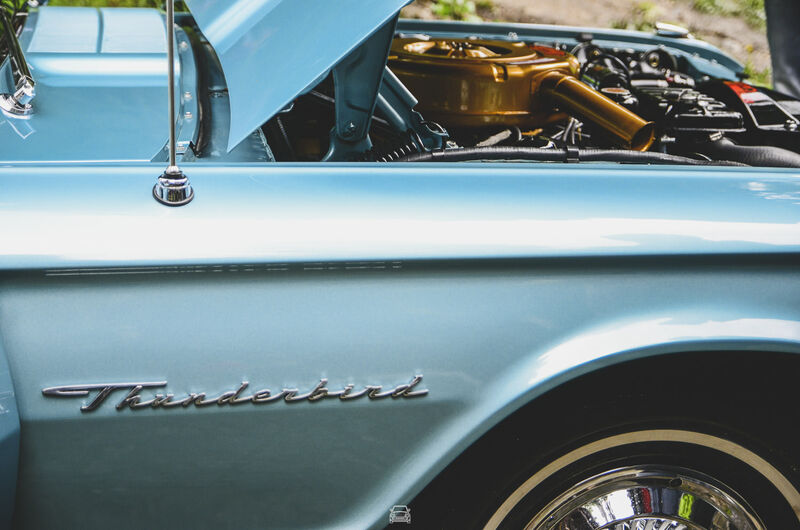 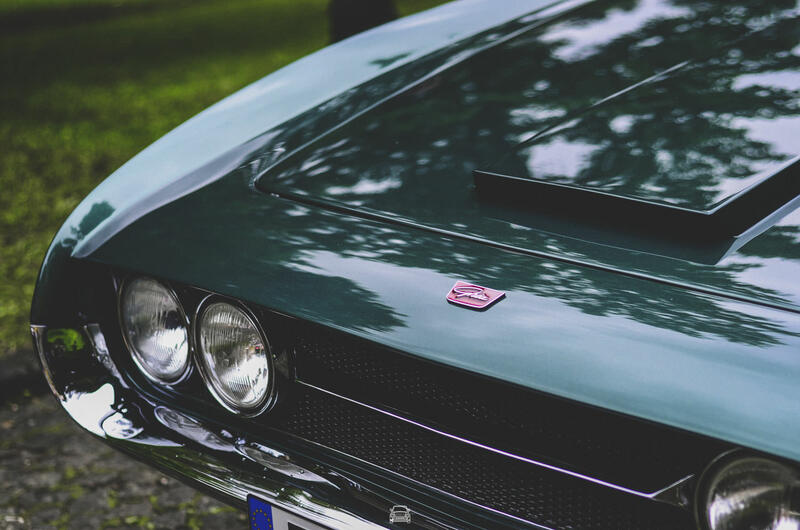 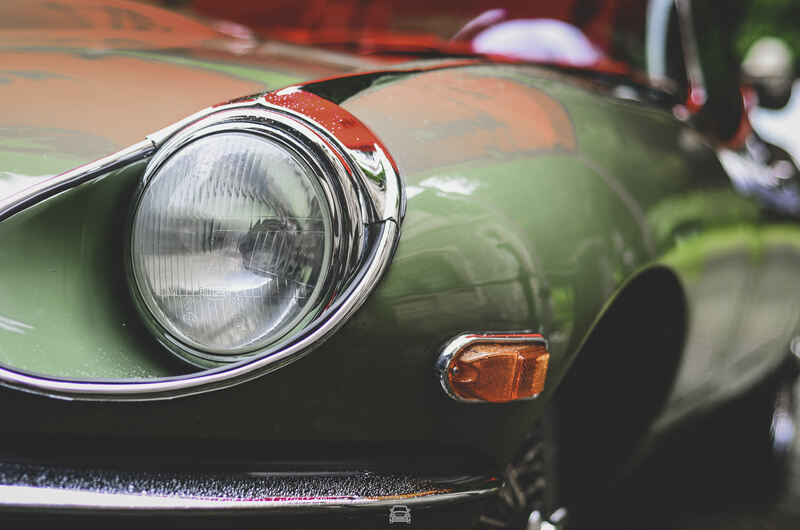 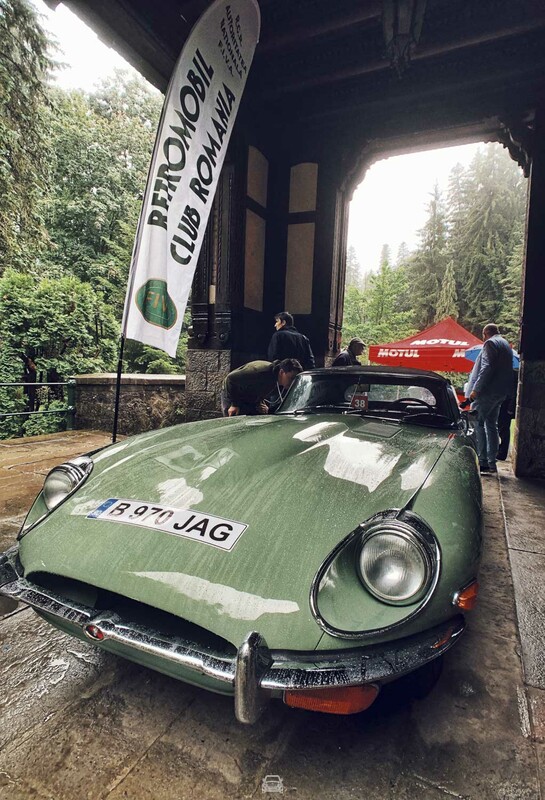 However, we’re talking about cars with personality and pedigree so different from one another, some more travelled than others – but all having come back to life at least for this one weekend. 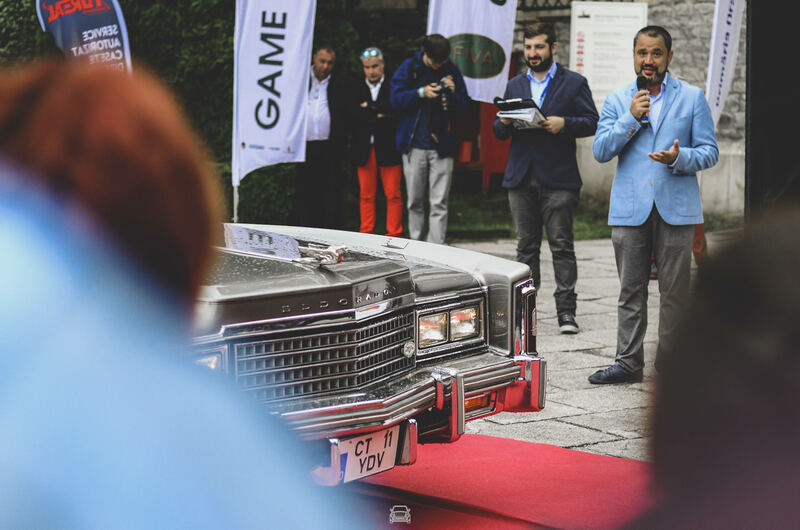 The day ended with the award ceremony at the Casino. 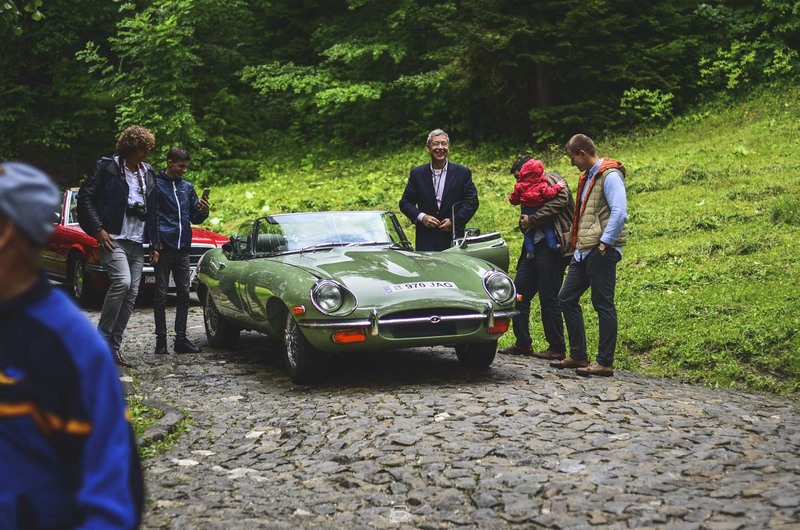 We don’t know who was happier: the drivers, proud they could drive such cars or the cars who got a second chance at life in the limelight. 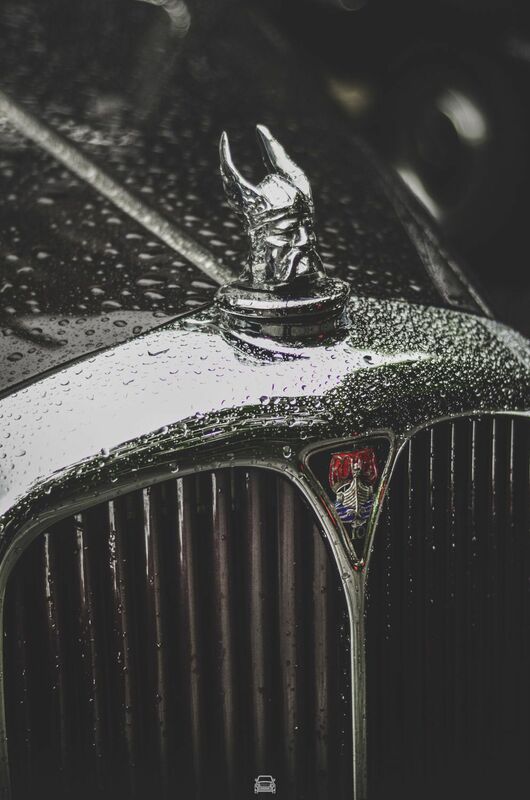 You should know that not just people, but also iron has soul, history and stories to share with the world. 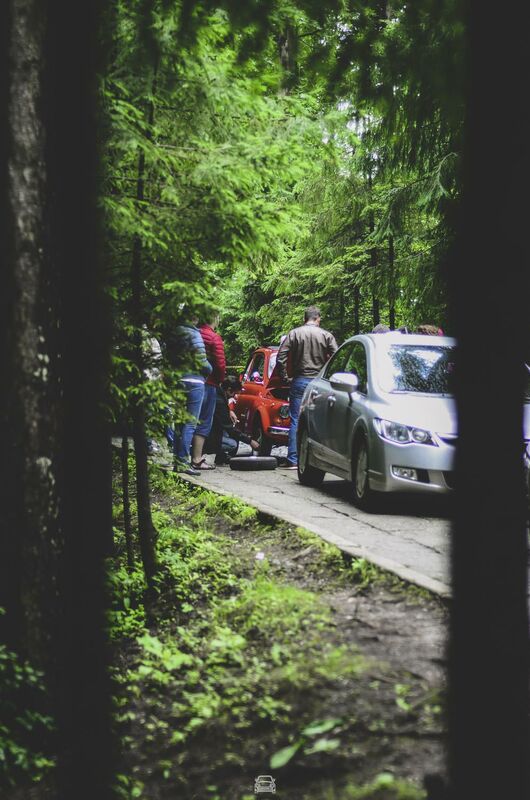 I am still discovering them all, so this time I chose to speak to you about the people among the cars. 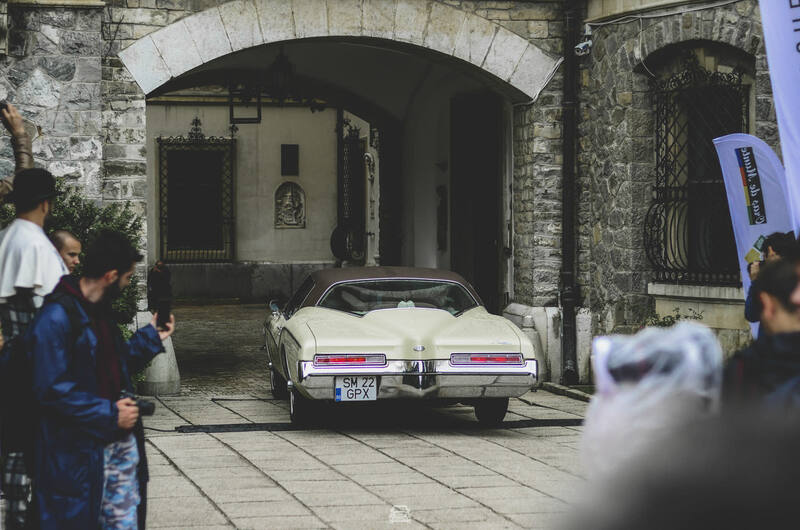 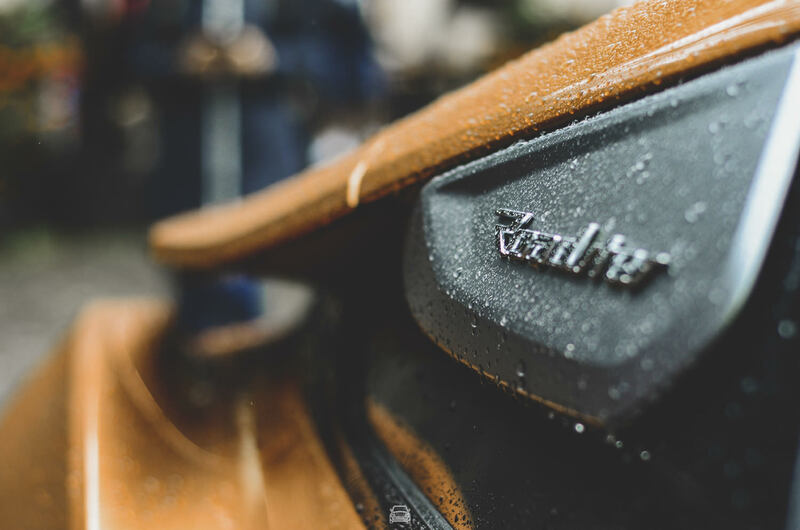 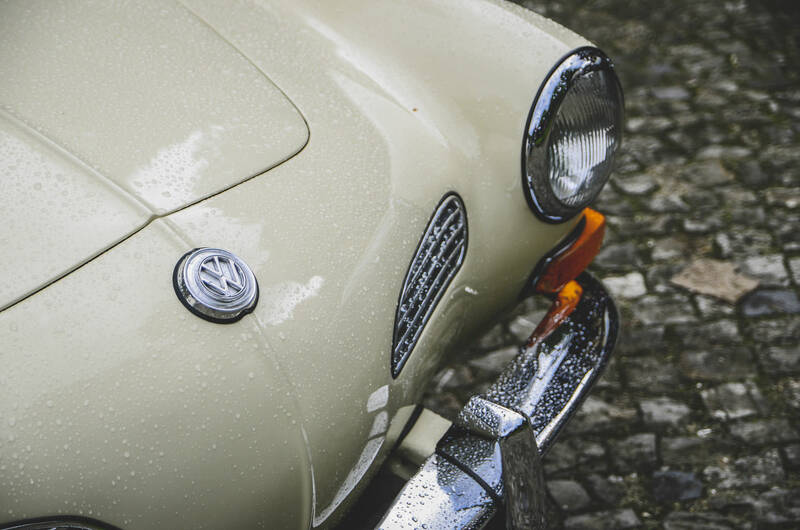 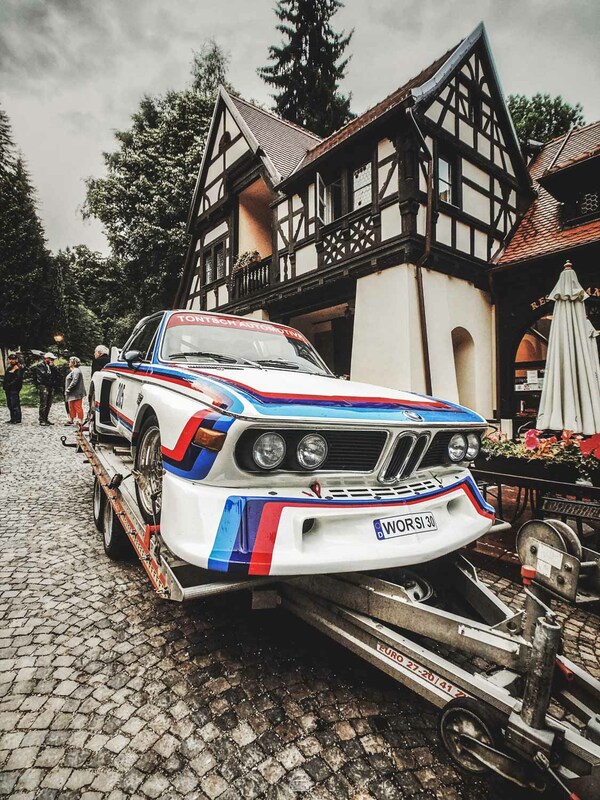 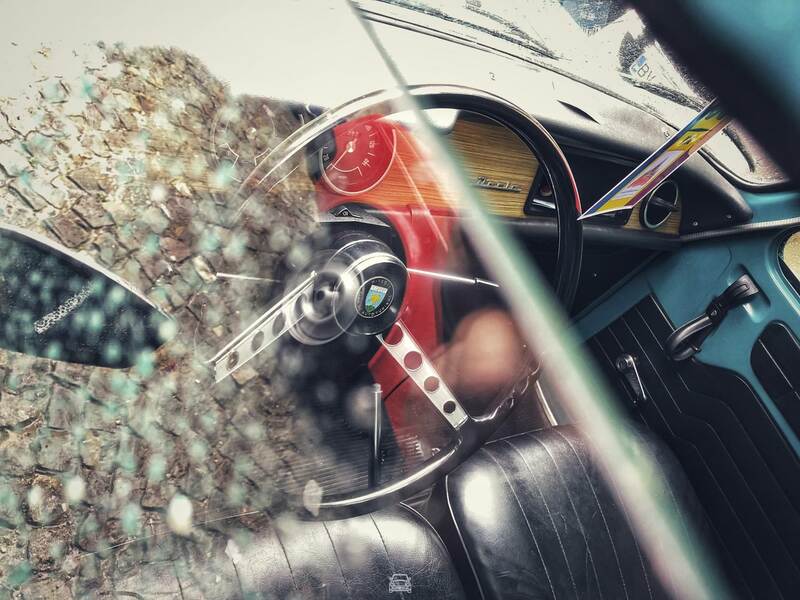 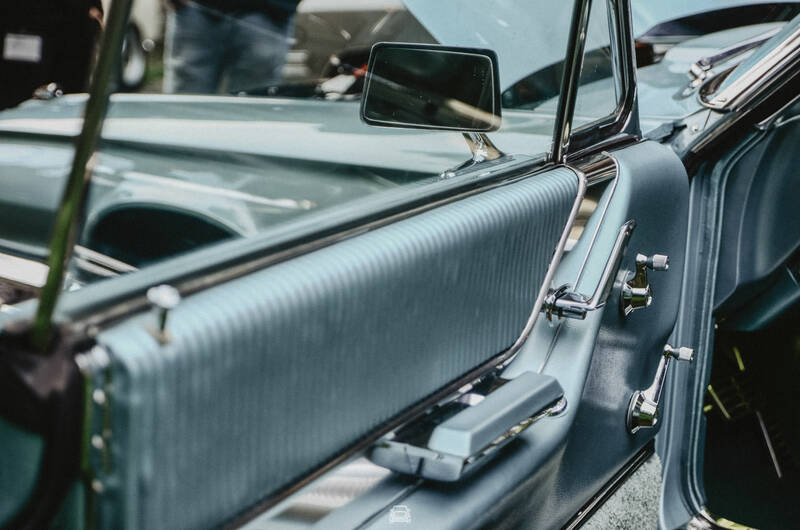 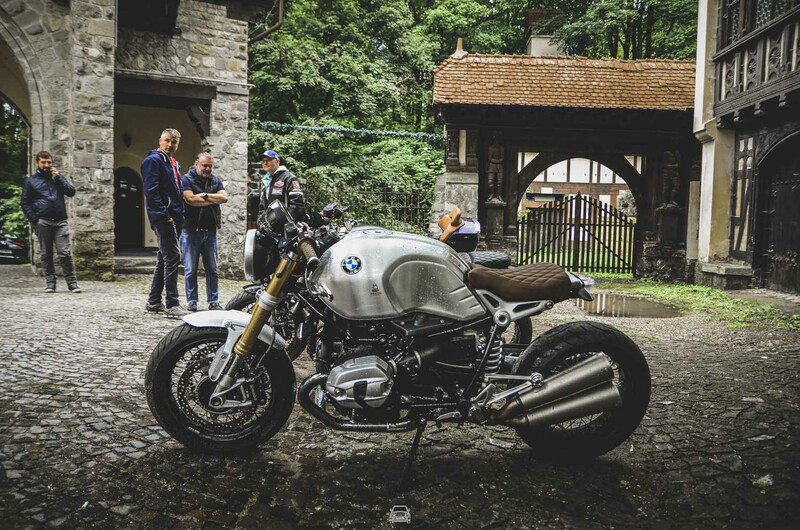 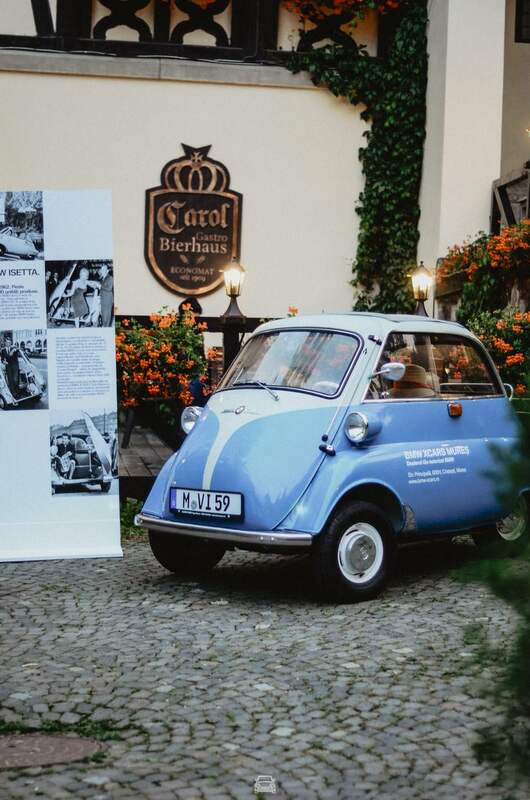 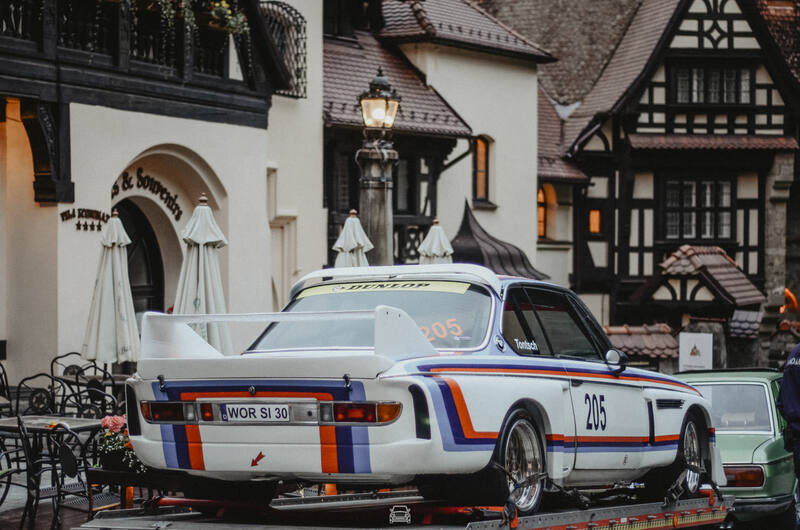 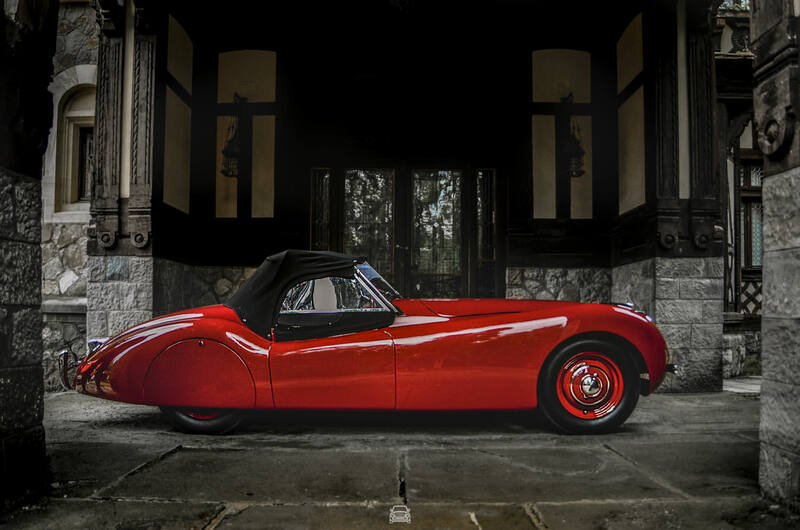 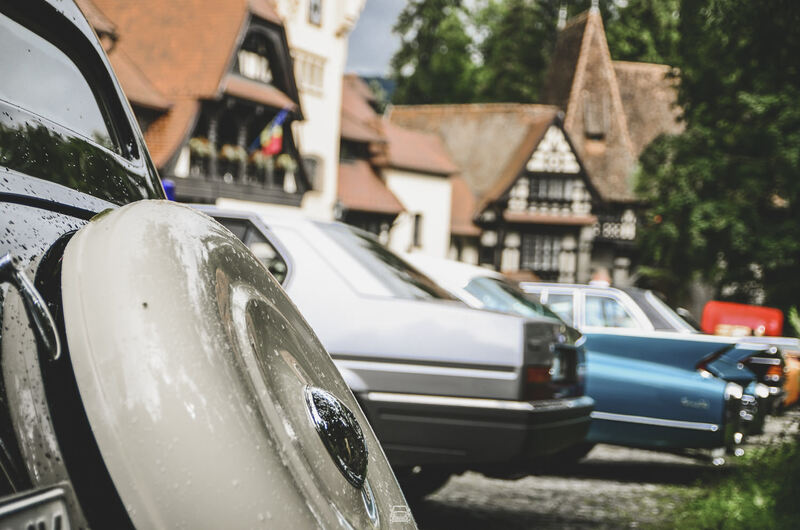 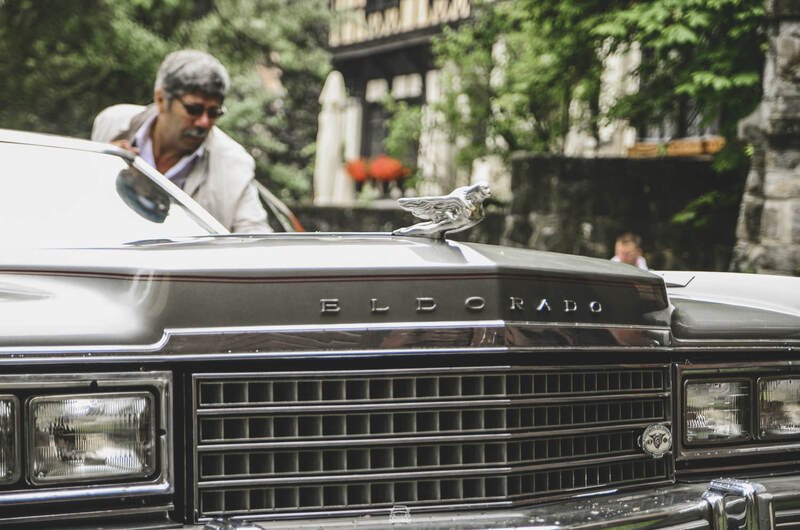 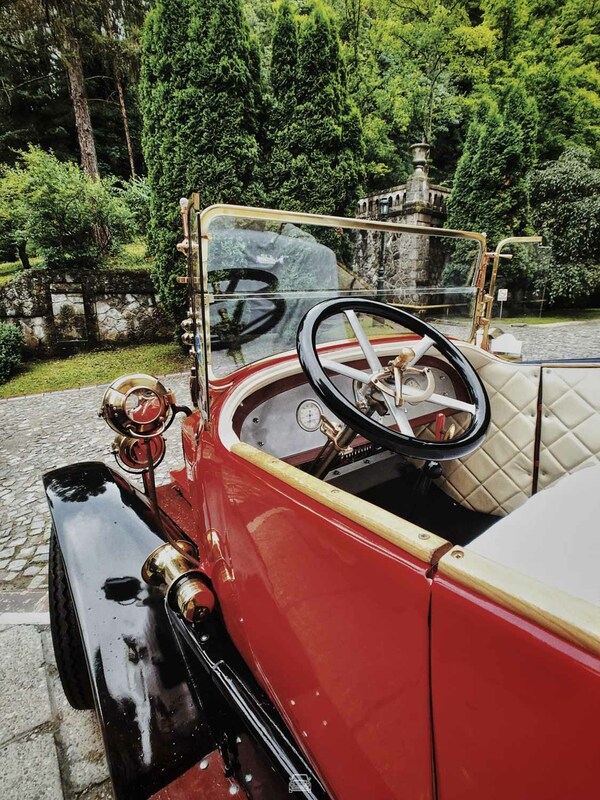 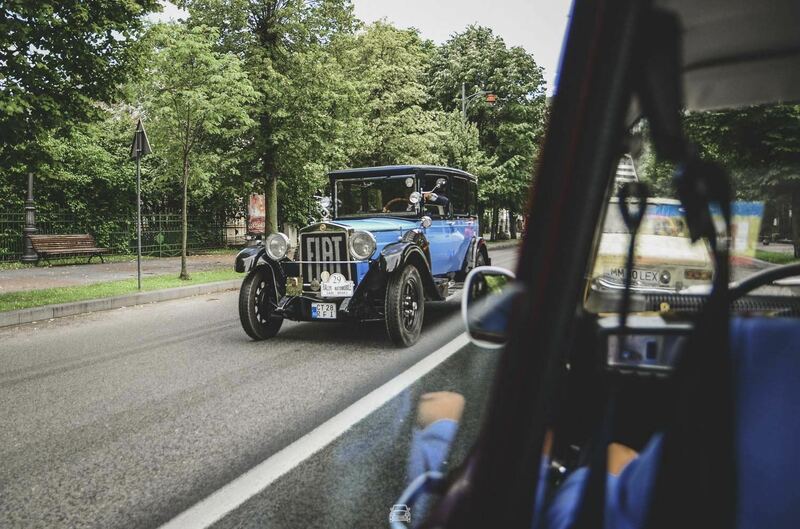 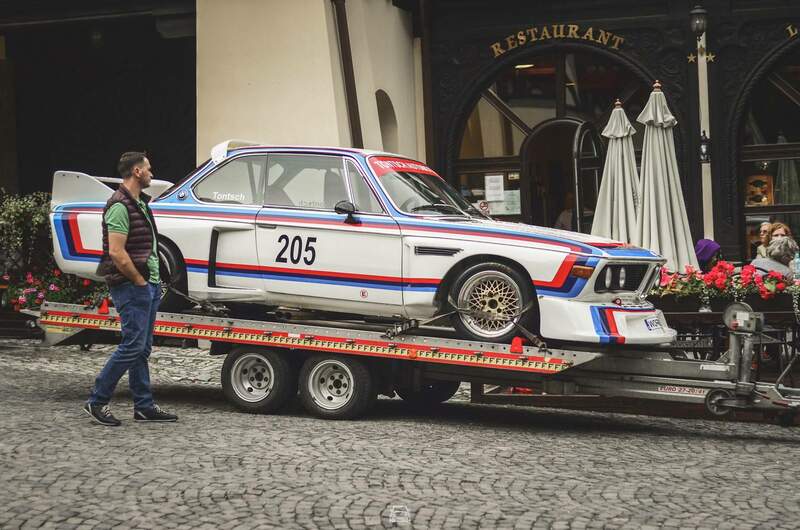 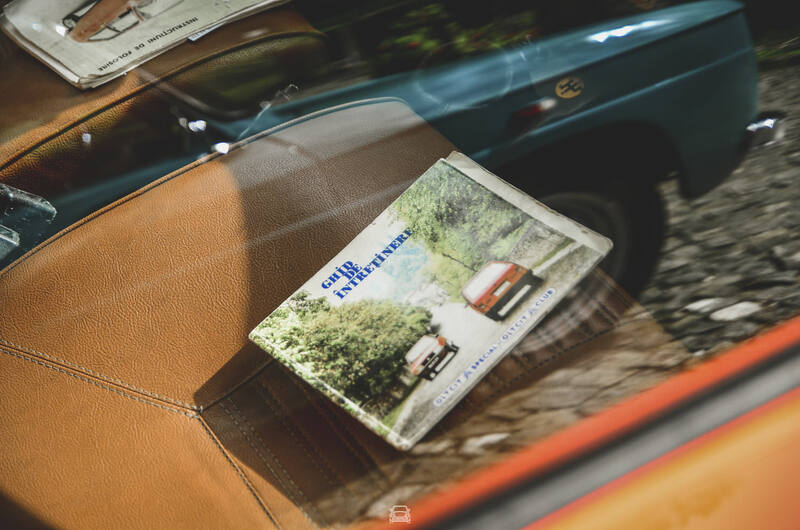 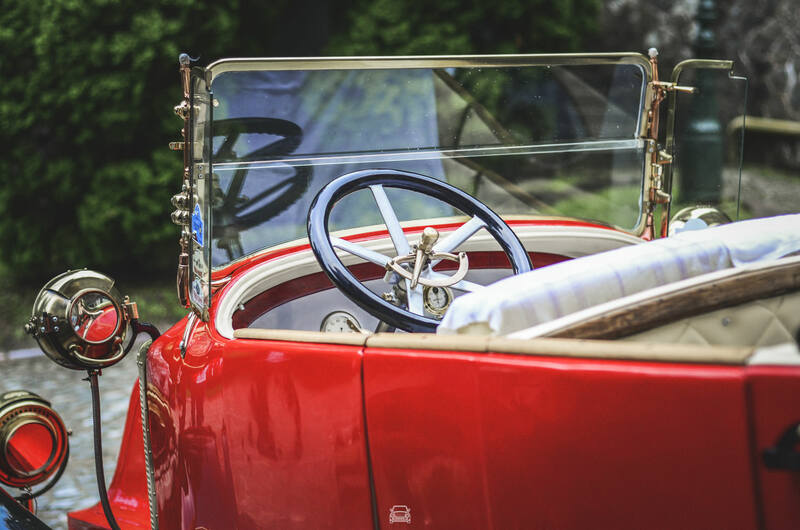 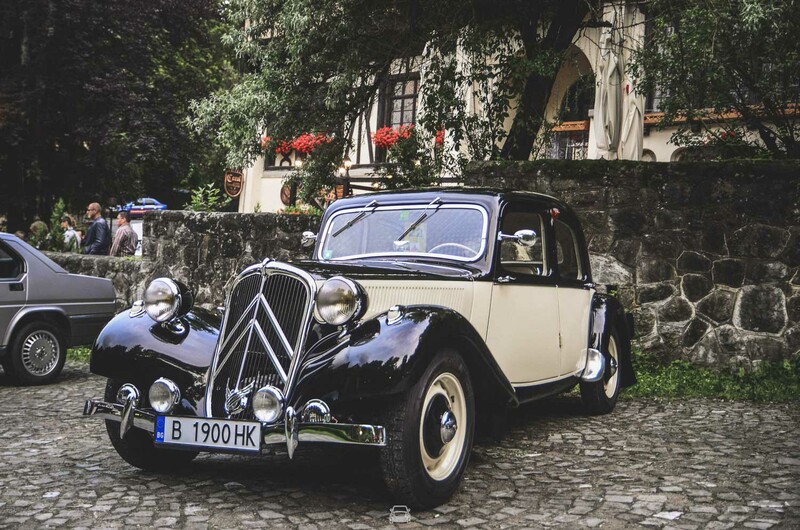 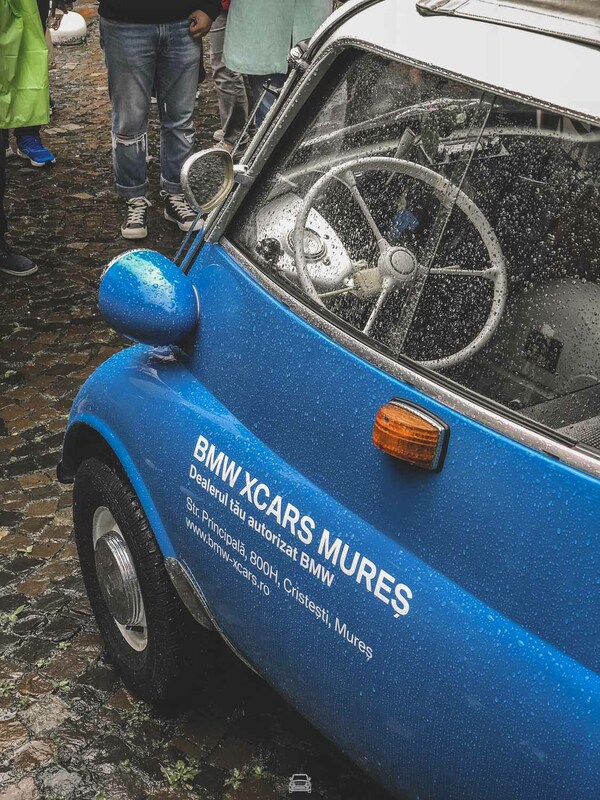 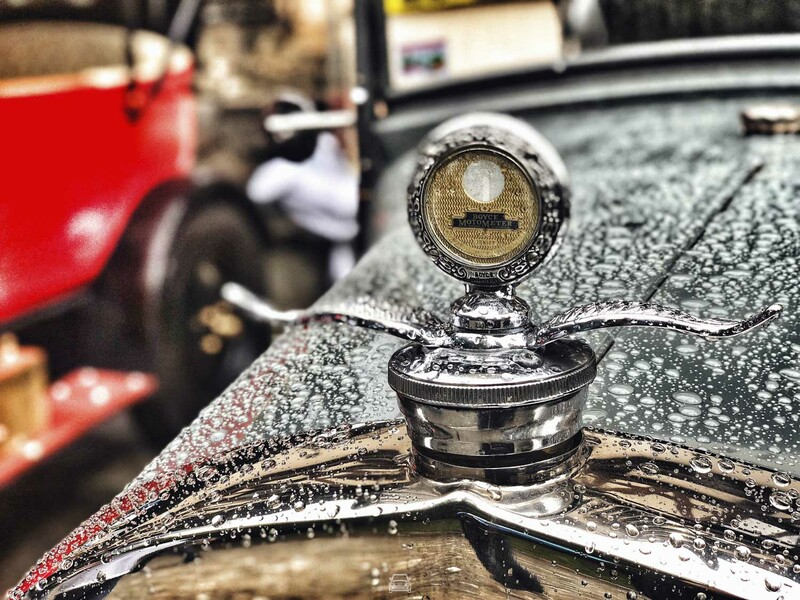 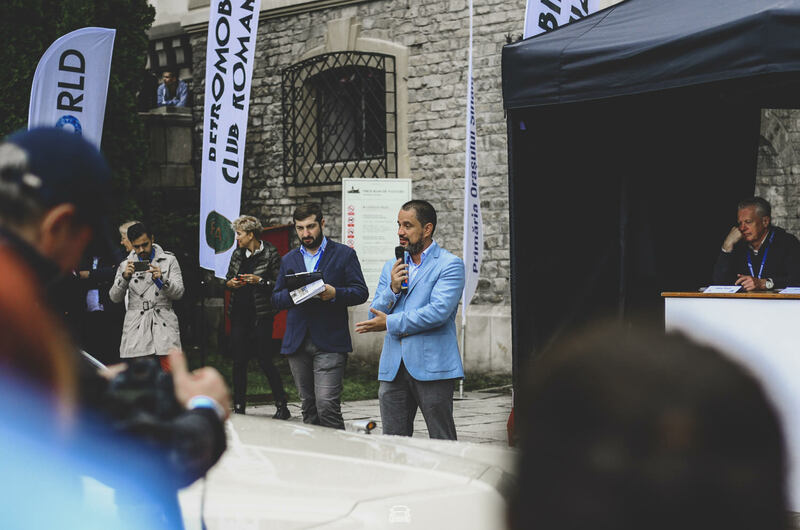 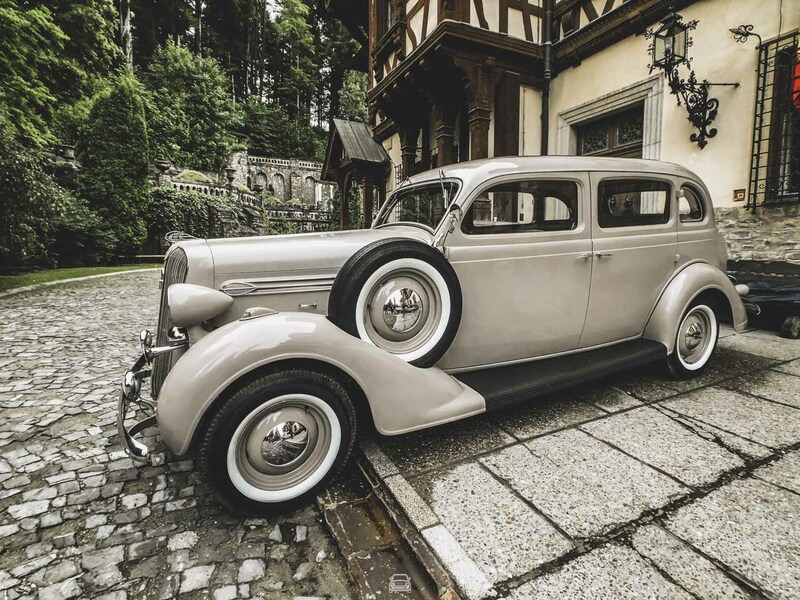 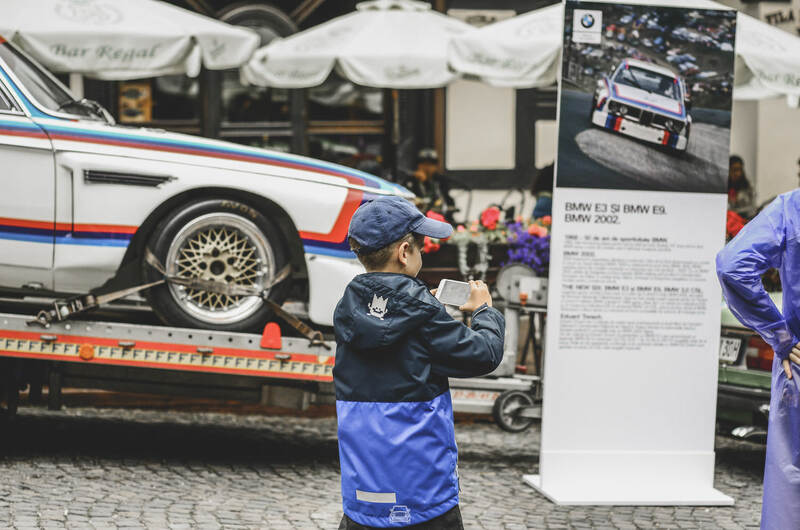 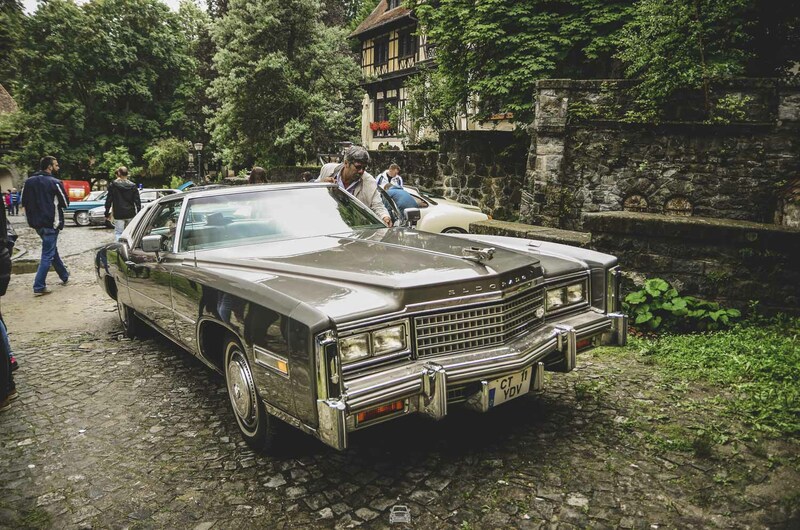 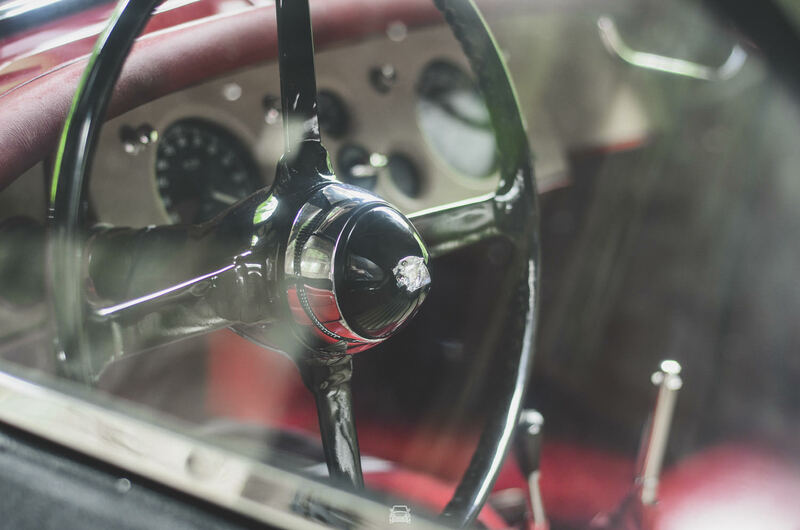 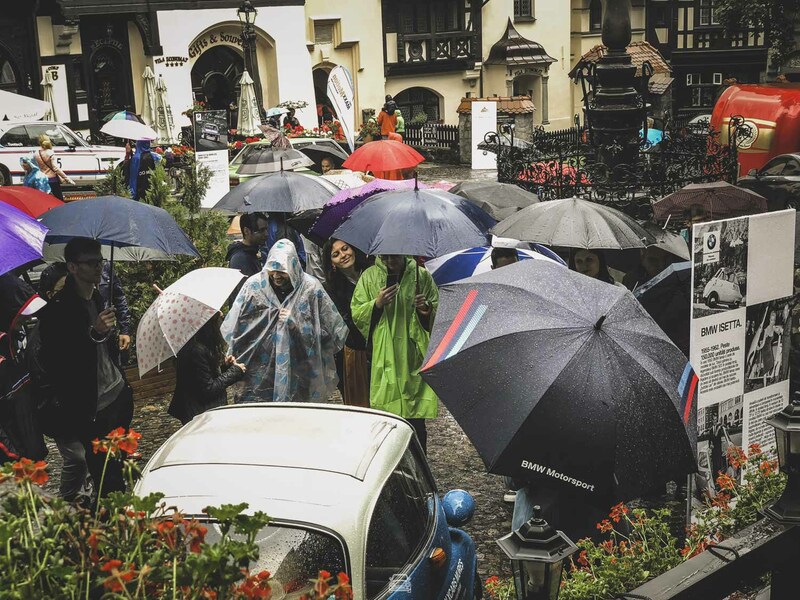 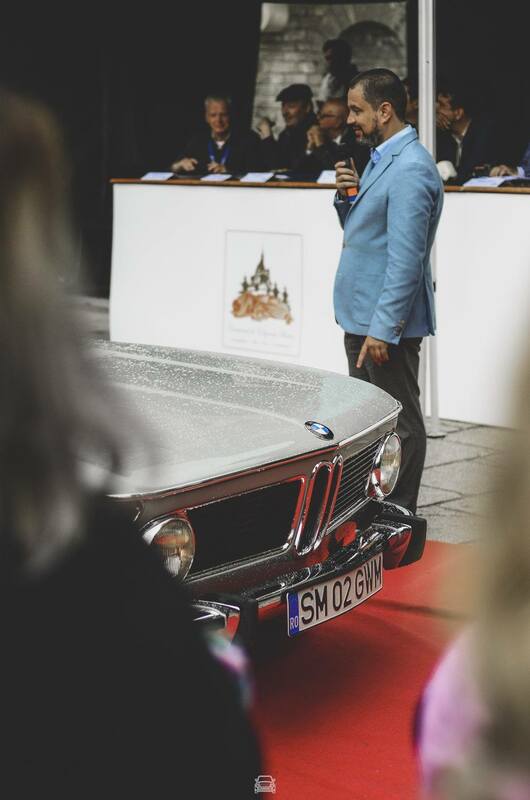 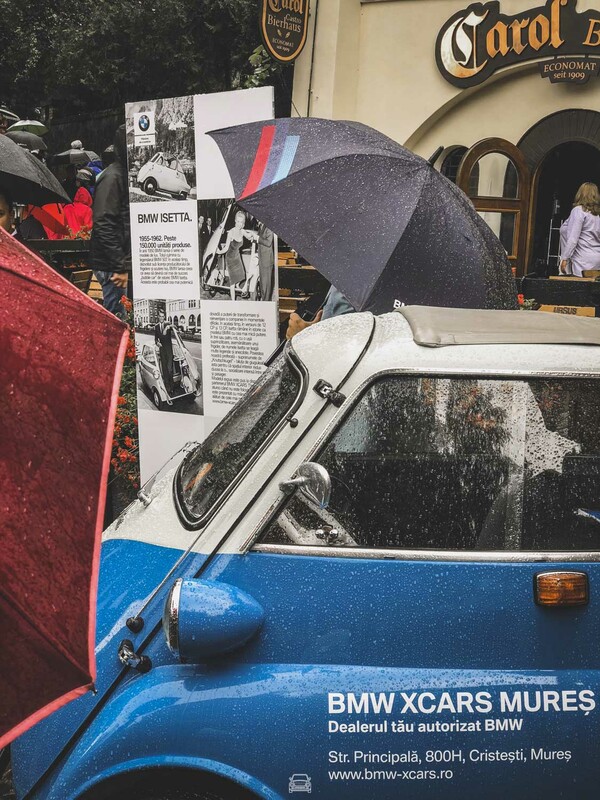 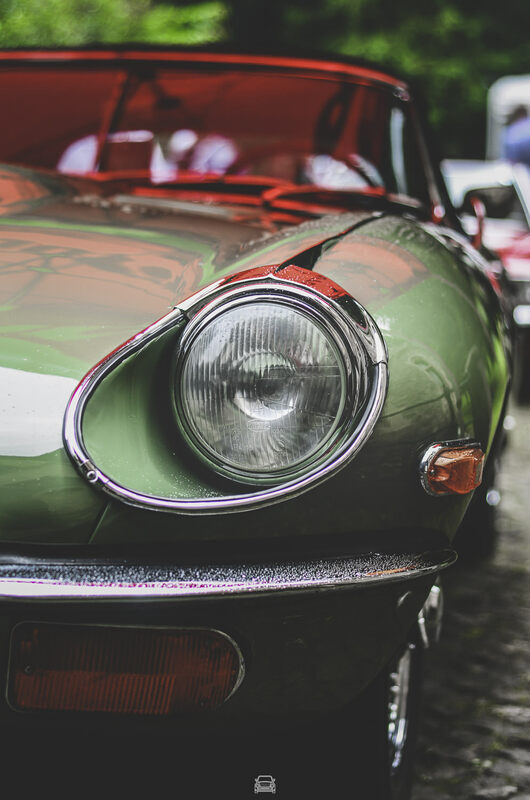 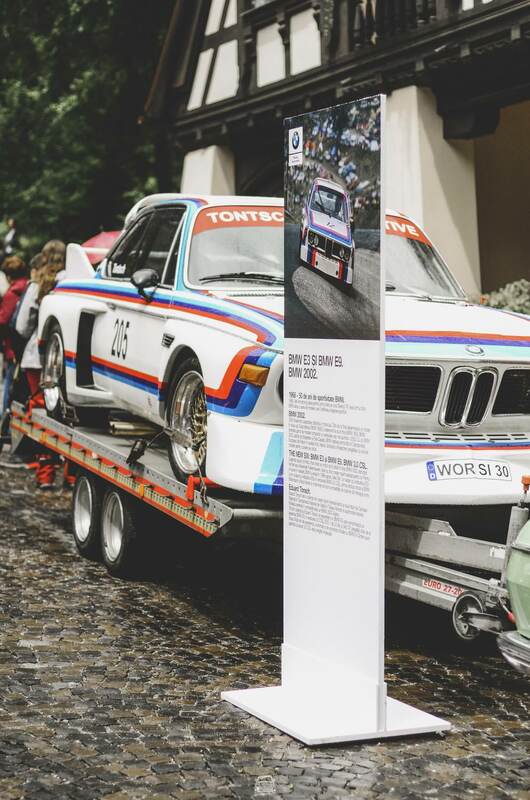 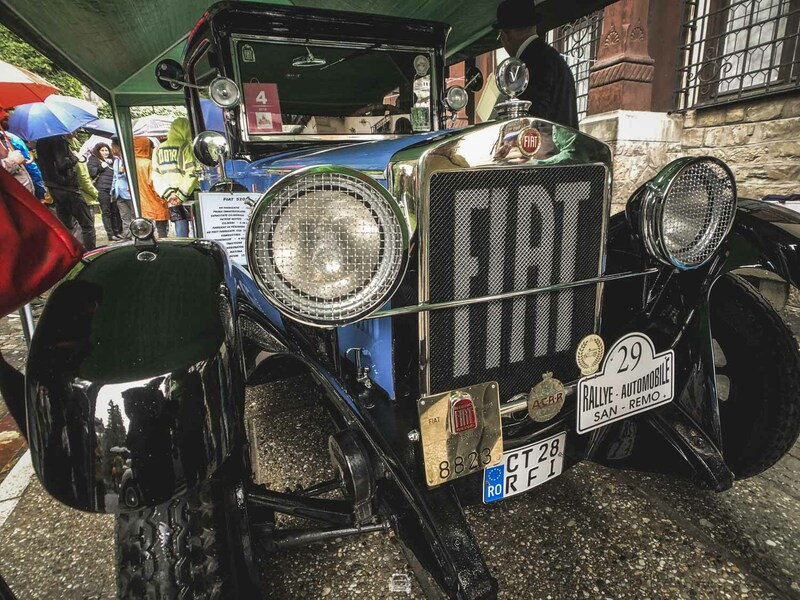 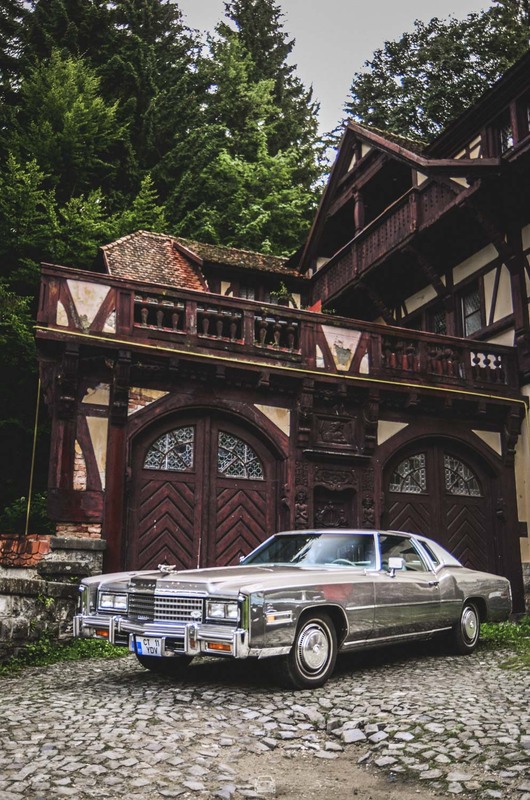 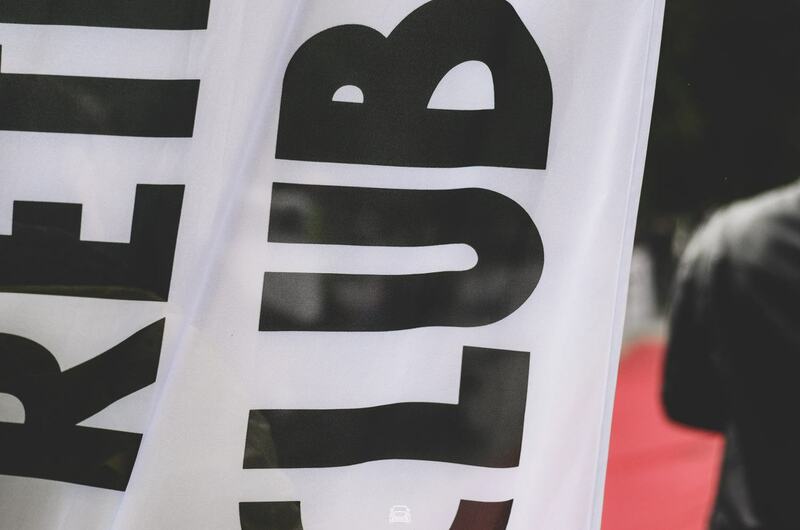 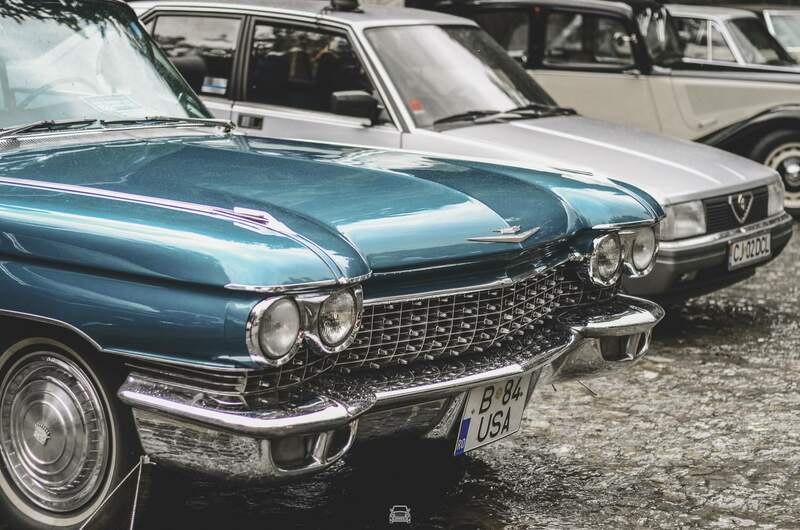 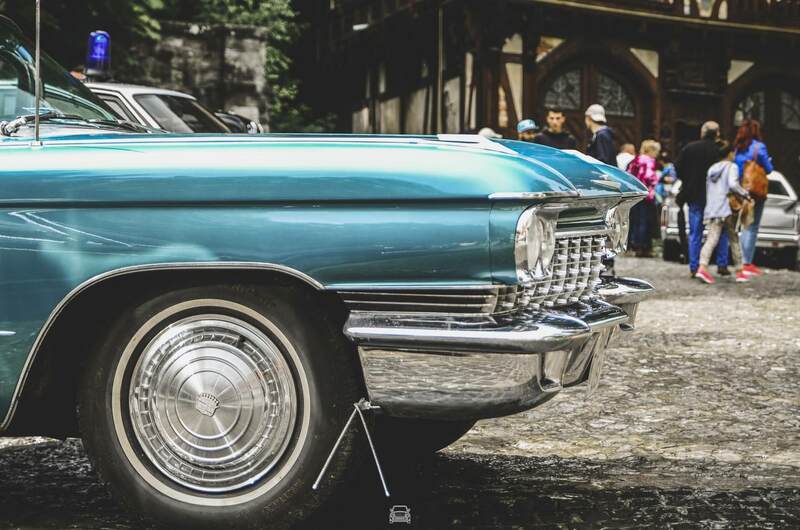 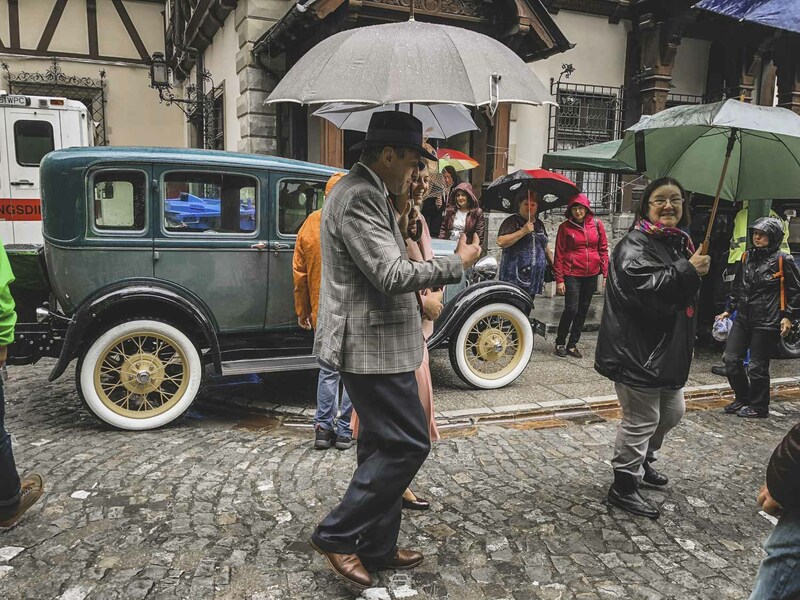 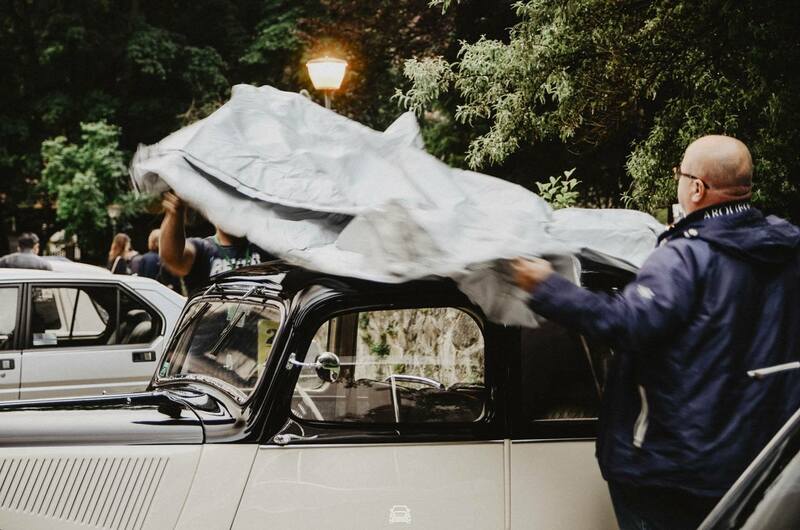 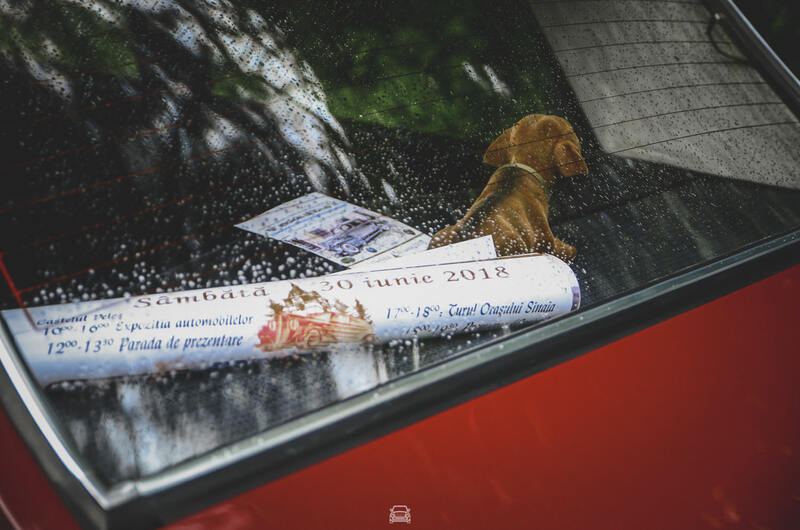 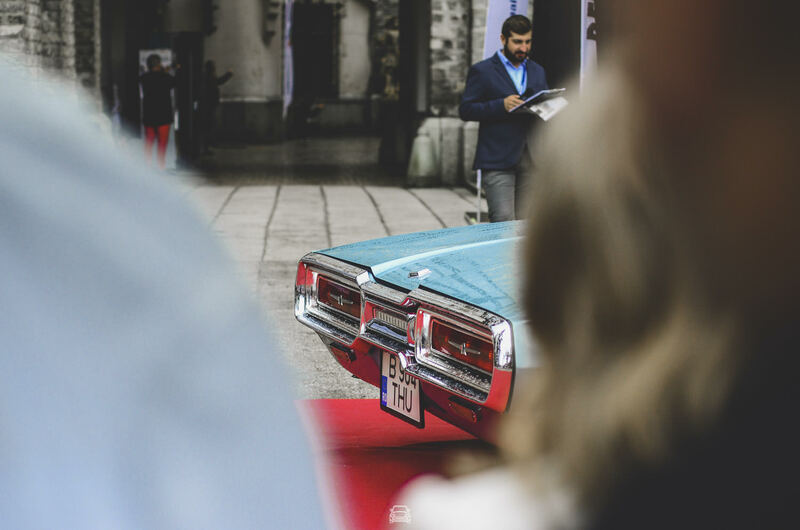 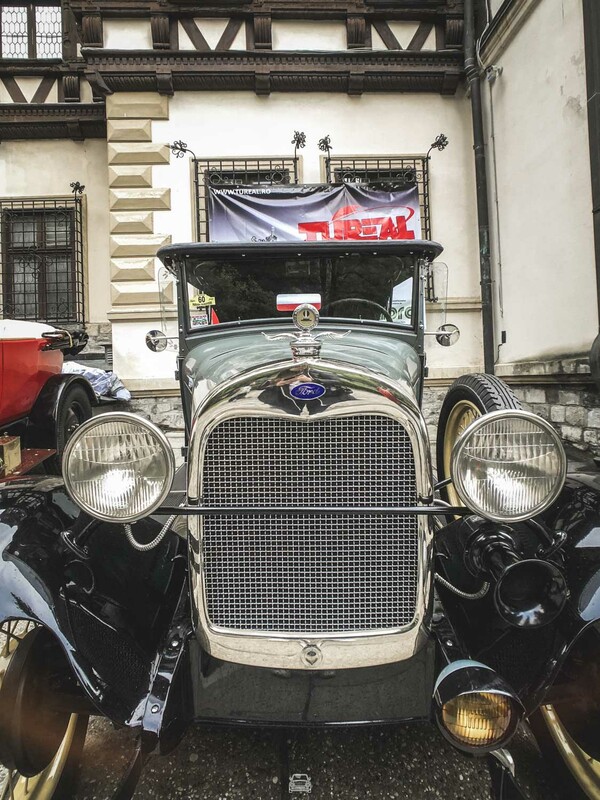 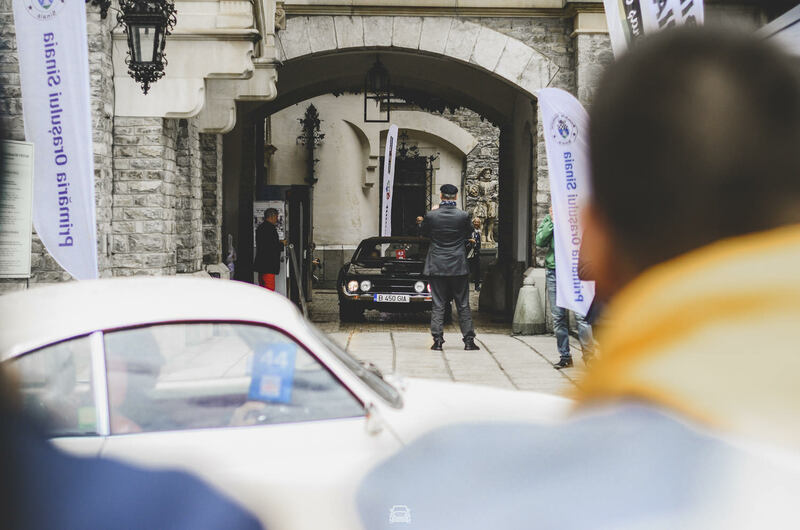 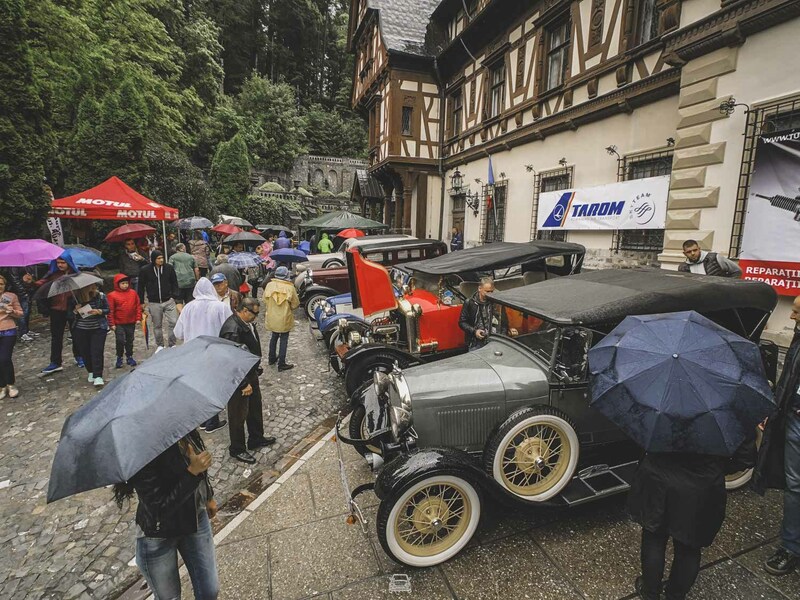 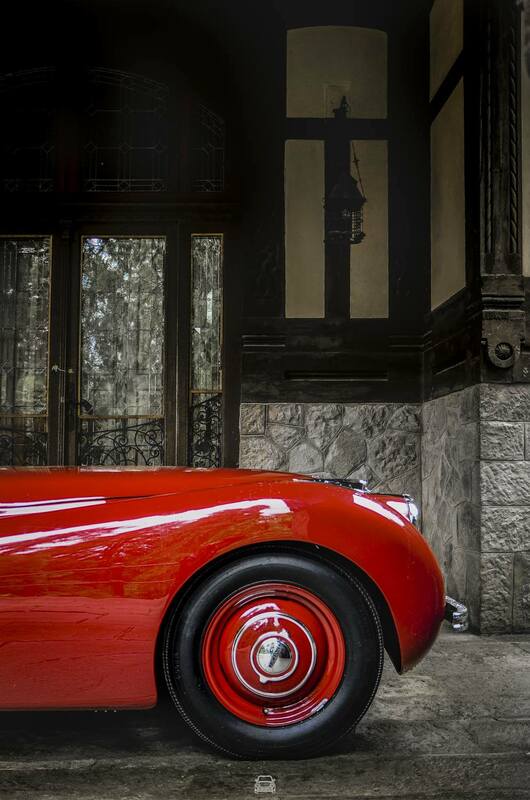 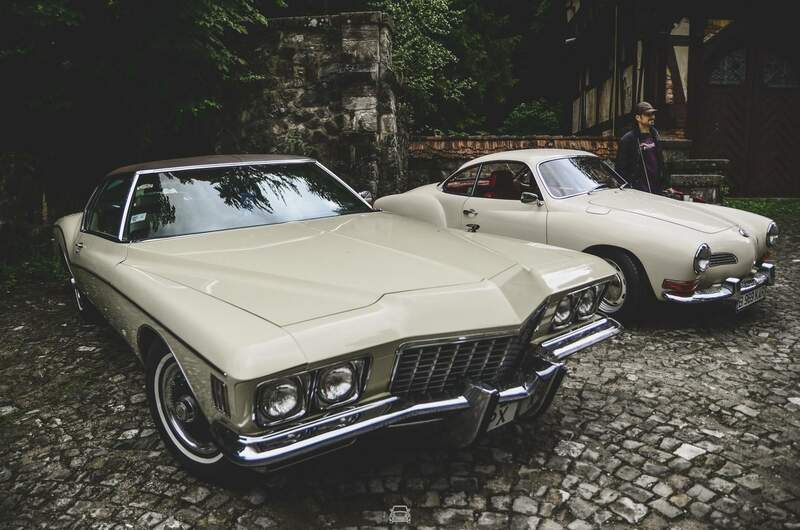 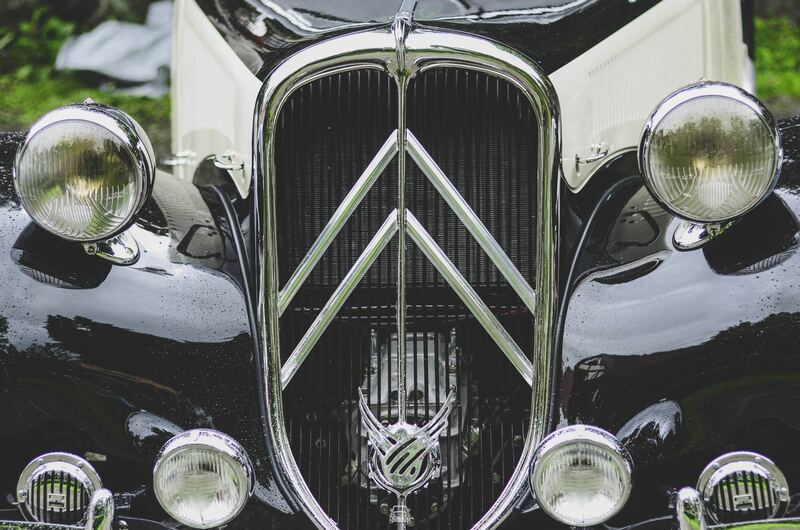 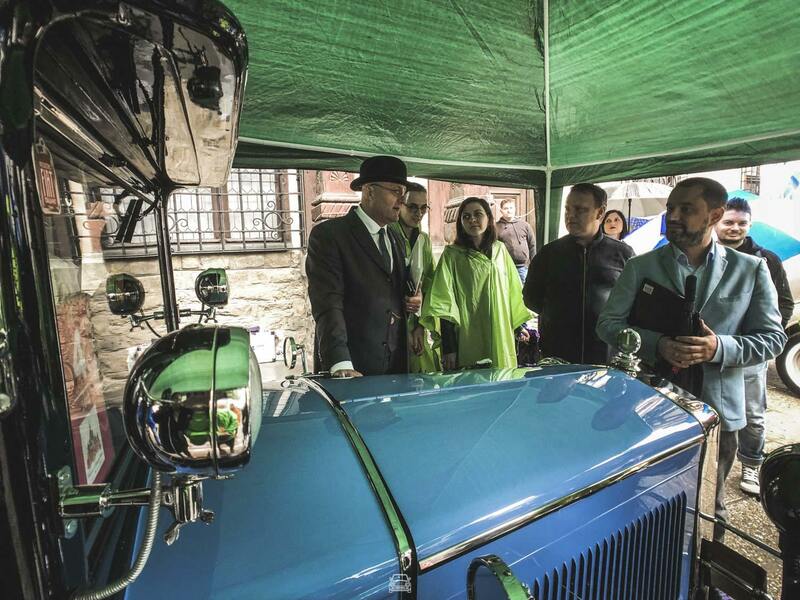 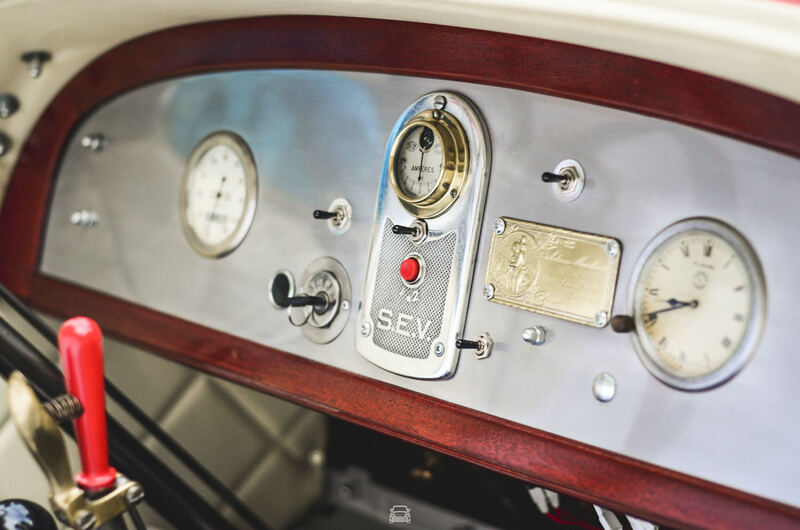 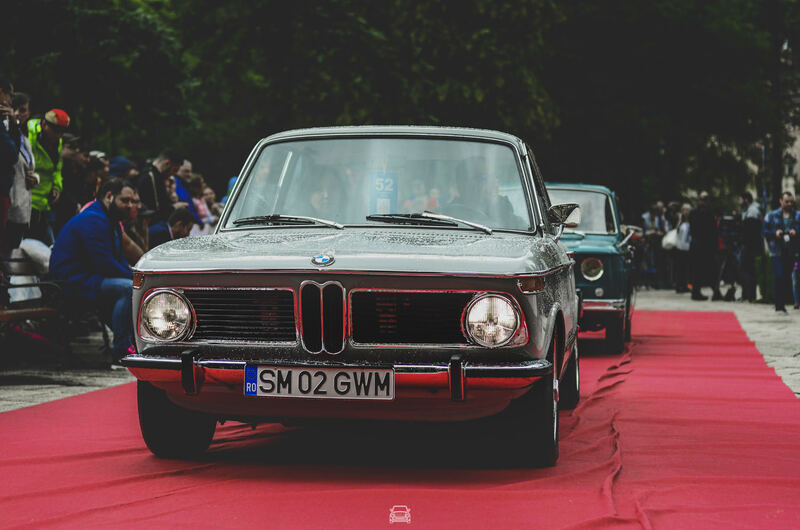 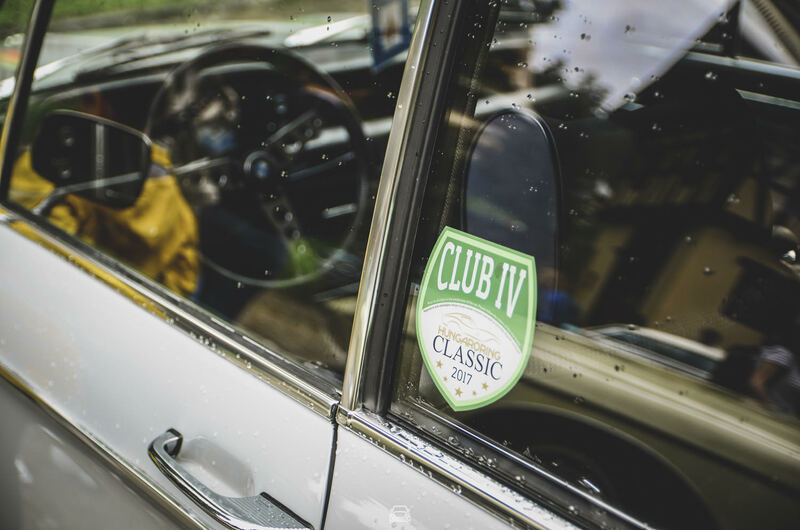 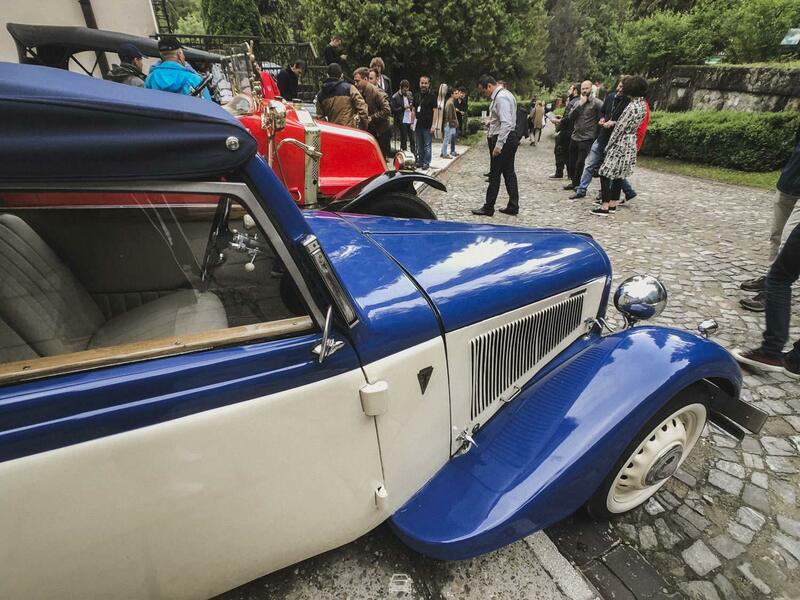 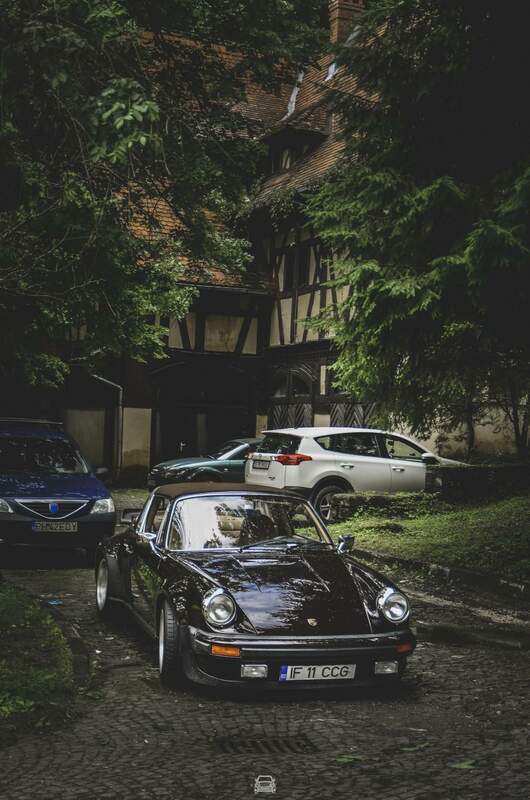 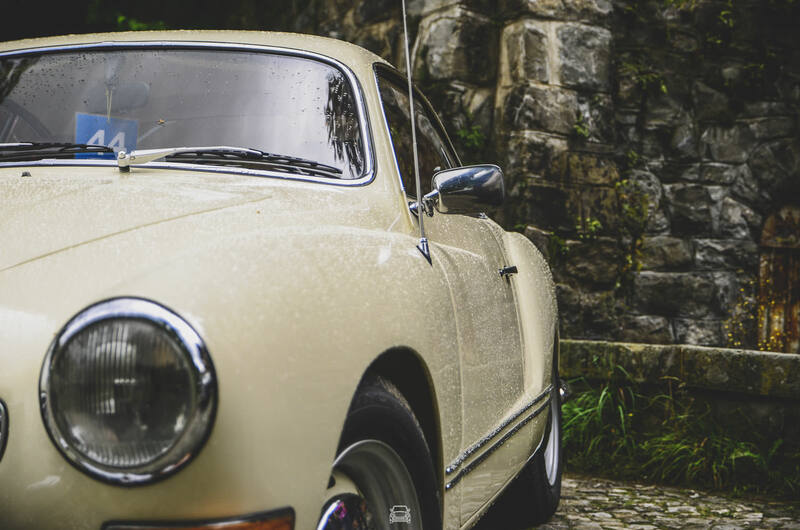 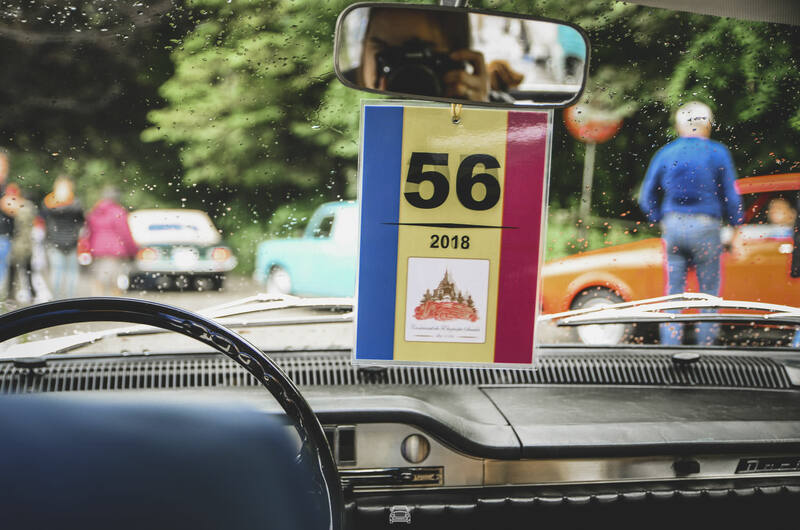 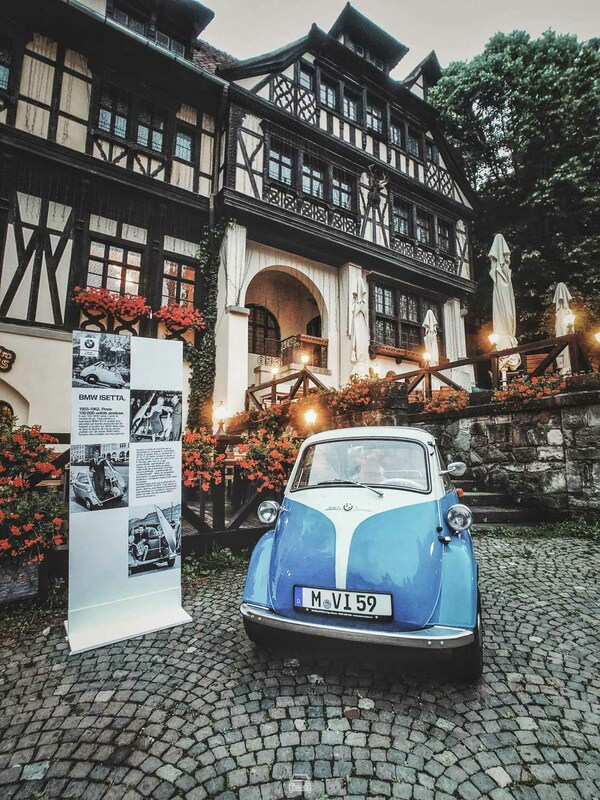 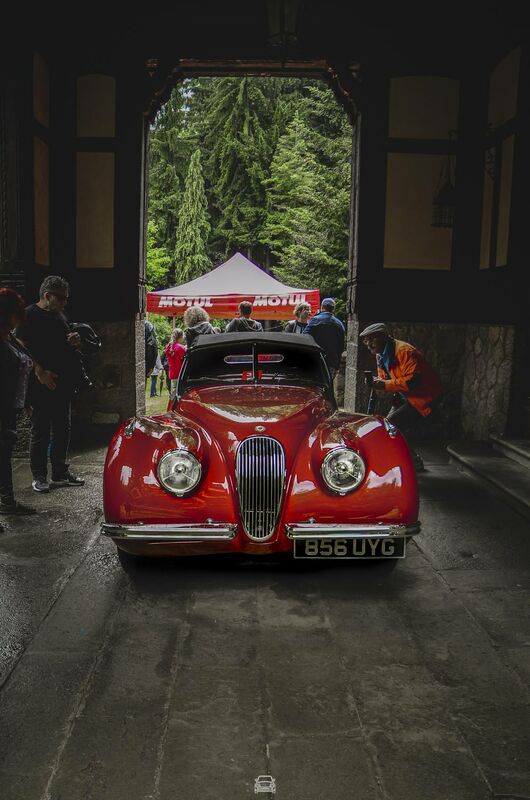 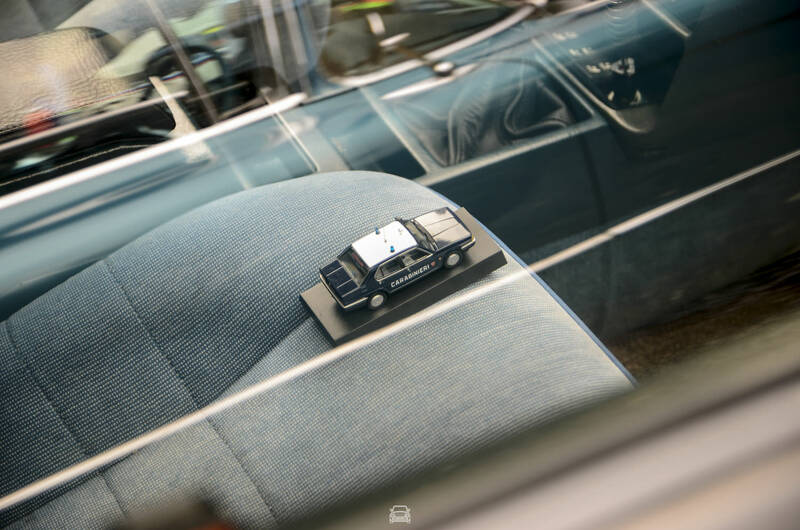 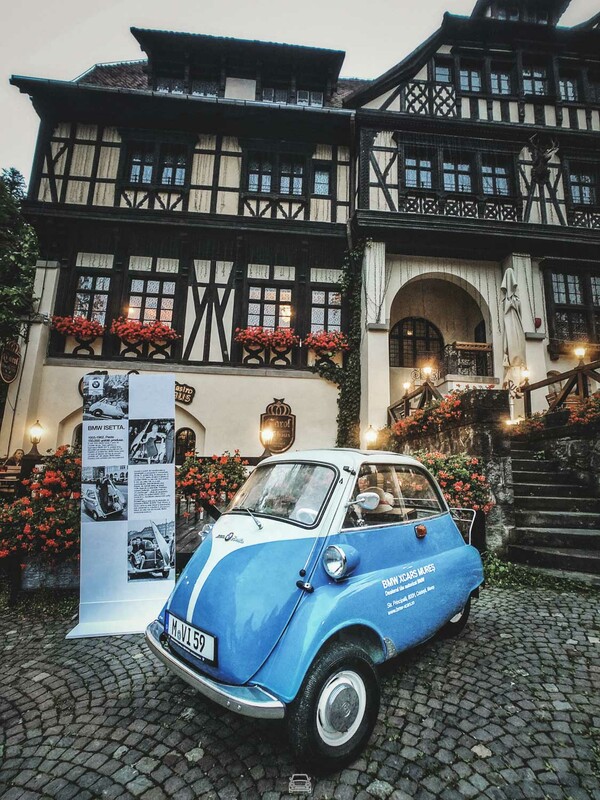 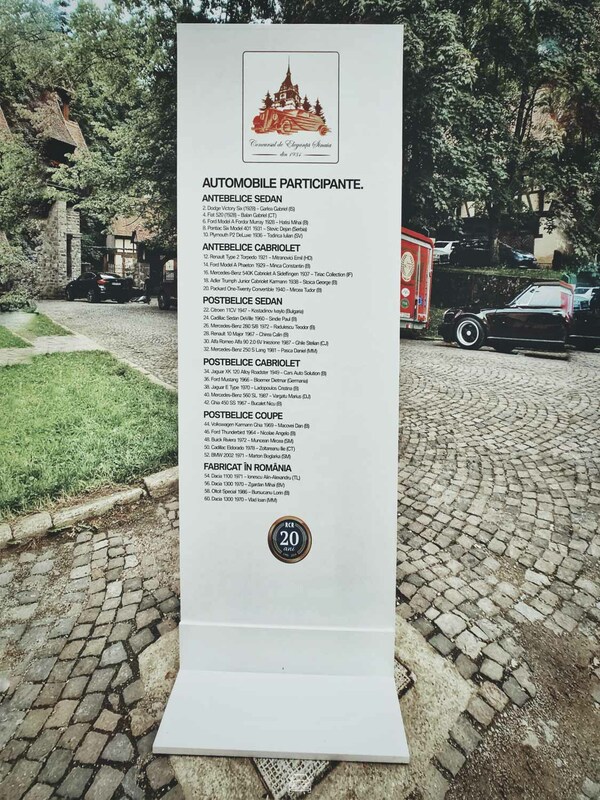 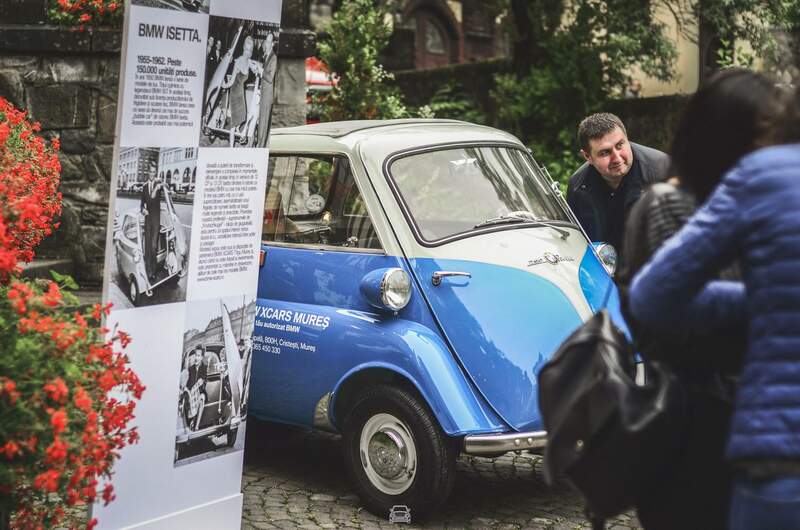 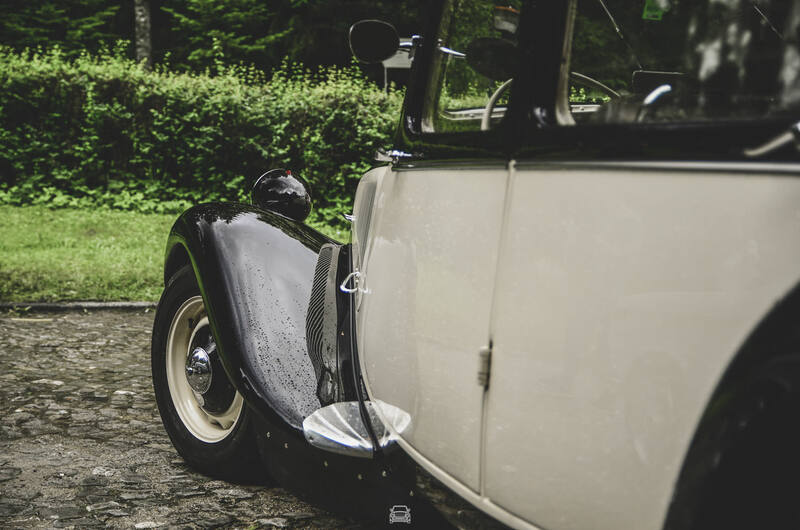 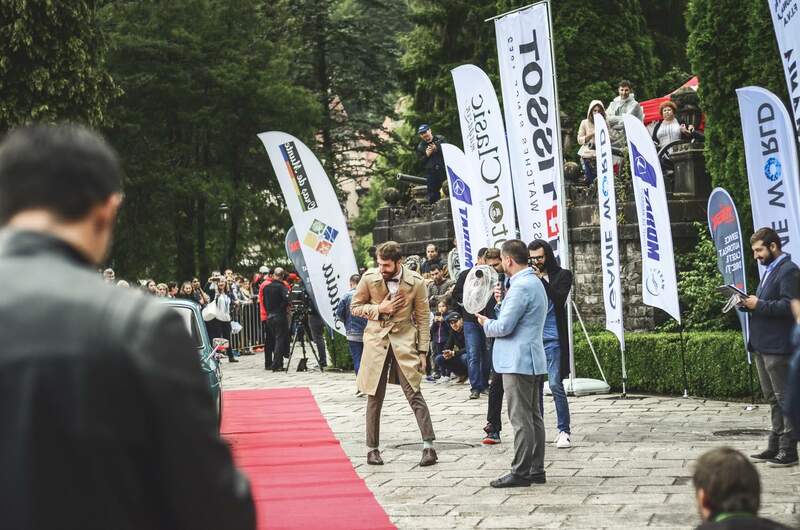 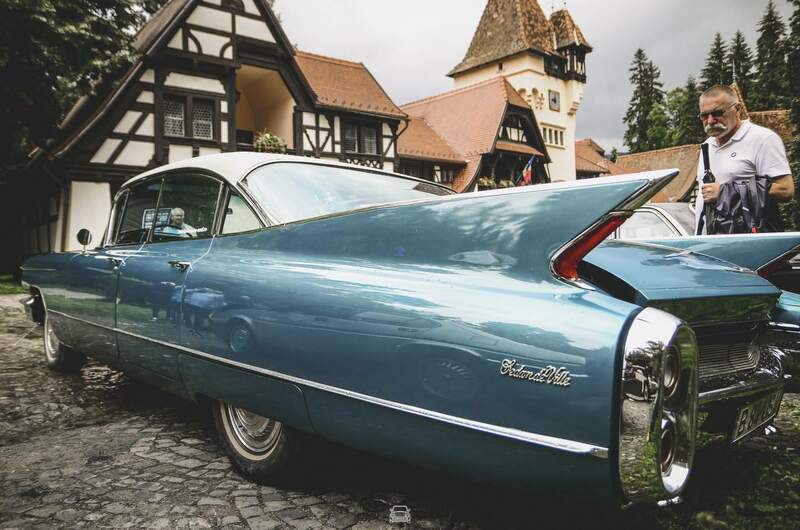 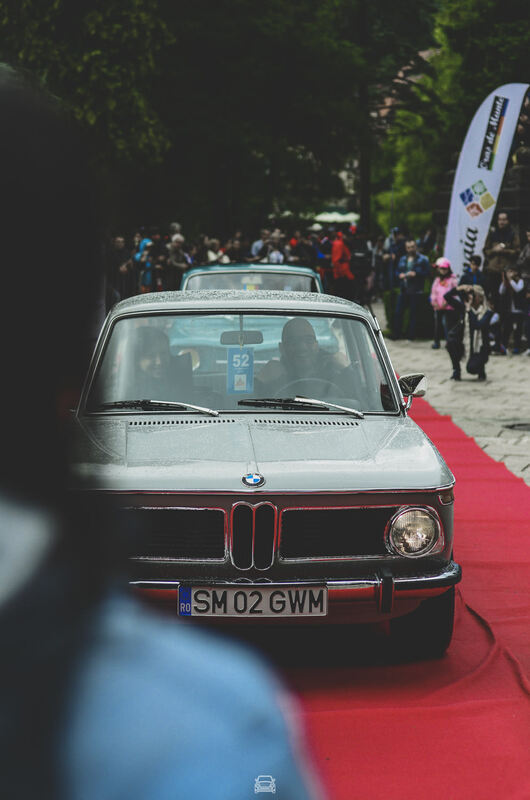 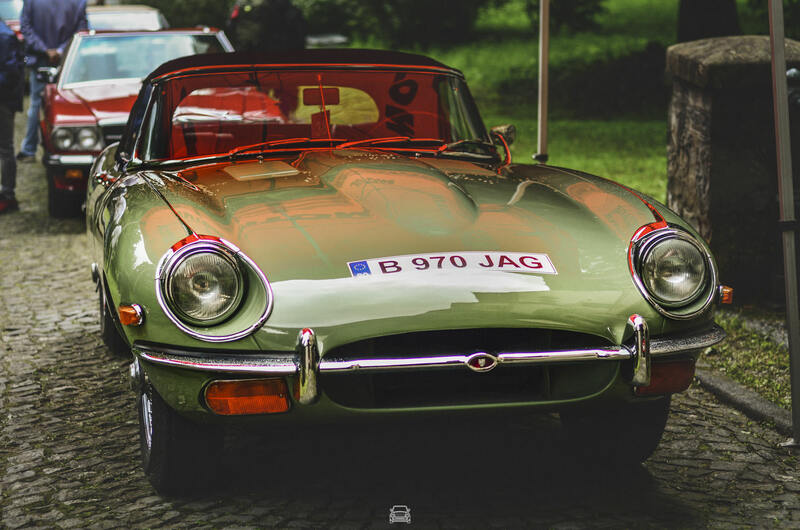 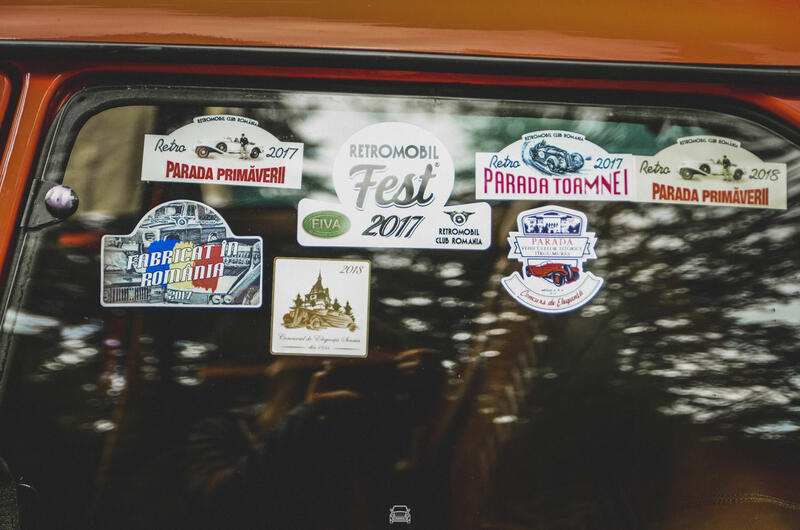 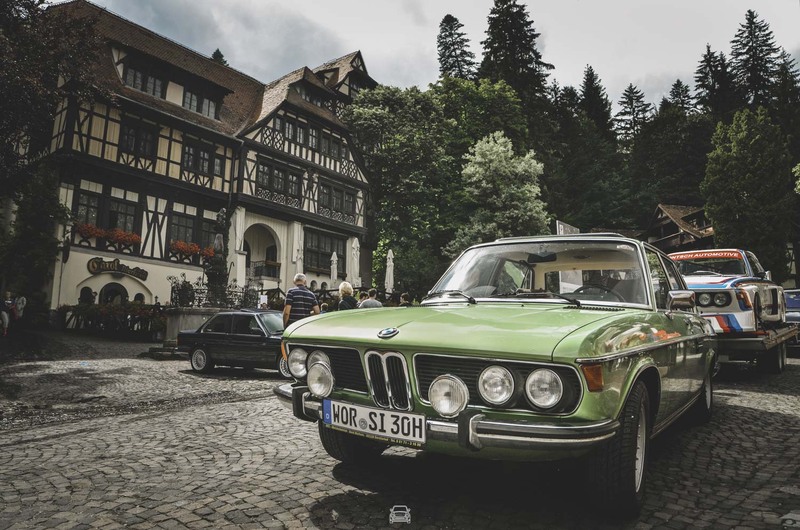 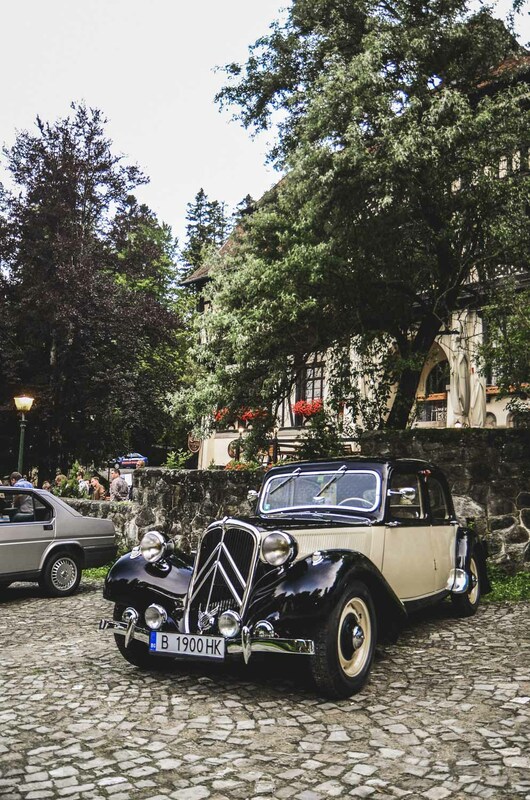 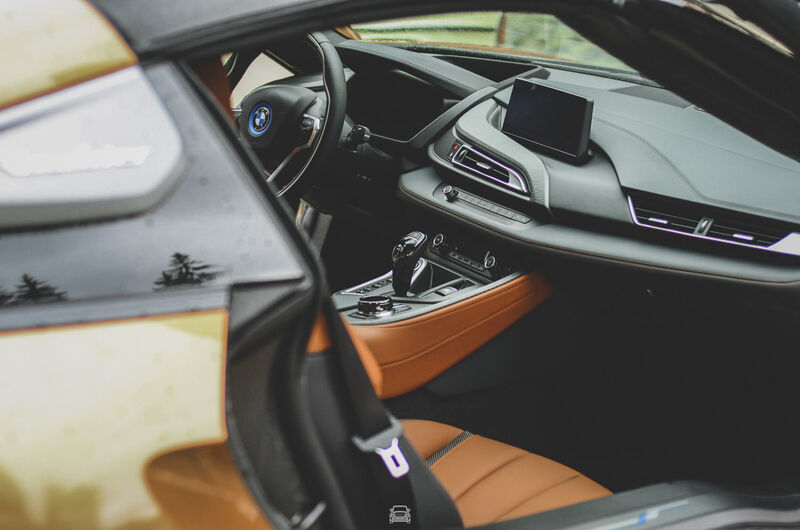 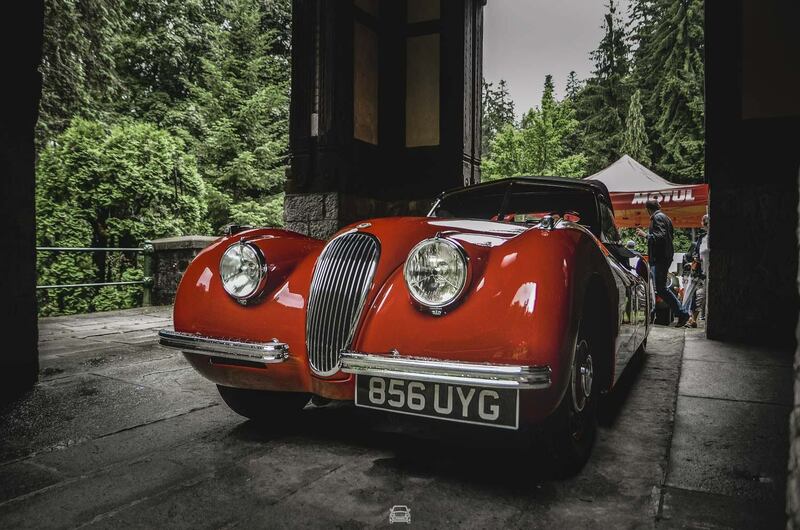 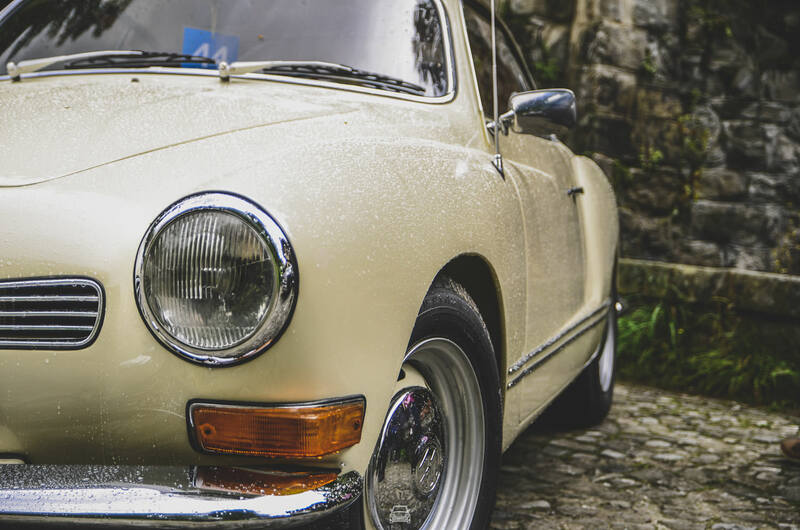 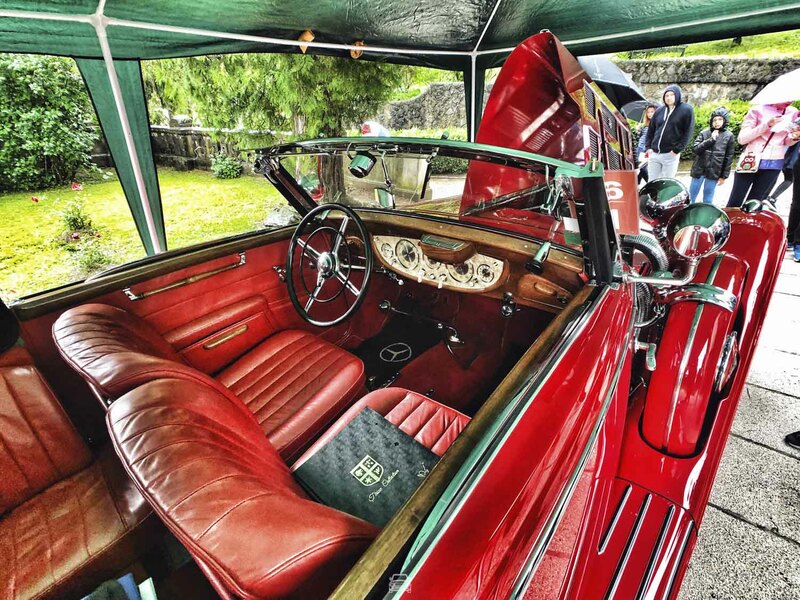 About the stars of the event and the ‘people among the cars’ you can find more info in the gallery bellow – or, even better, see you at the Concourse d’Elegance Sinaia 2019!